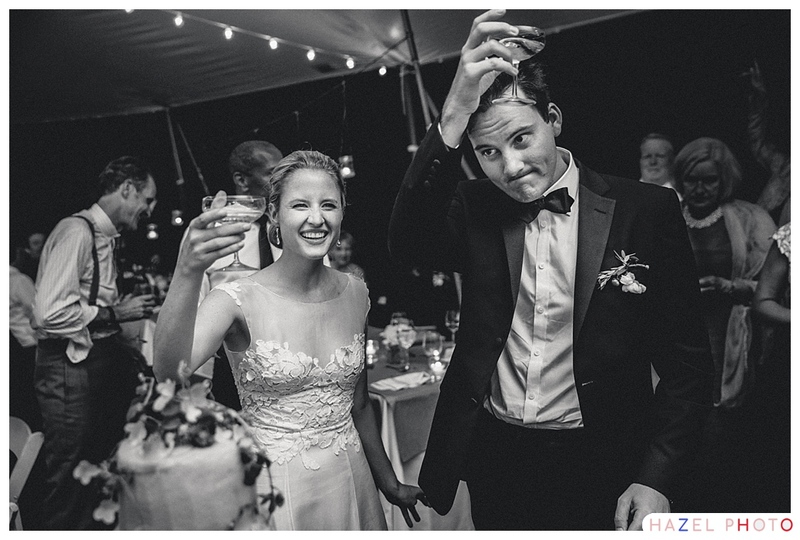 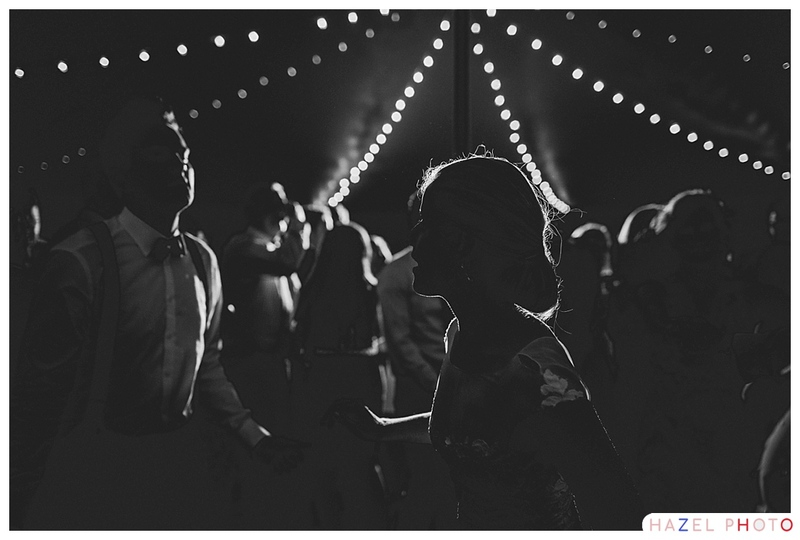 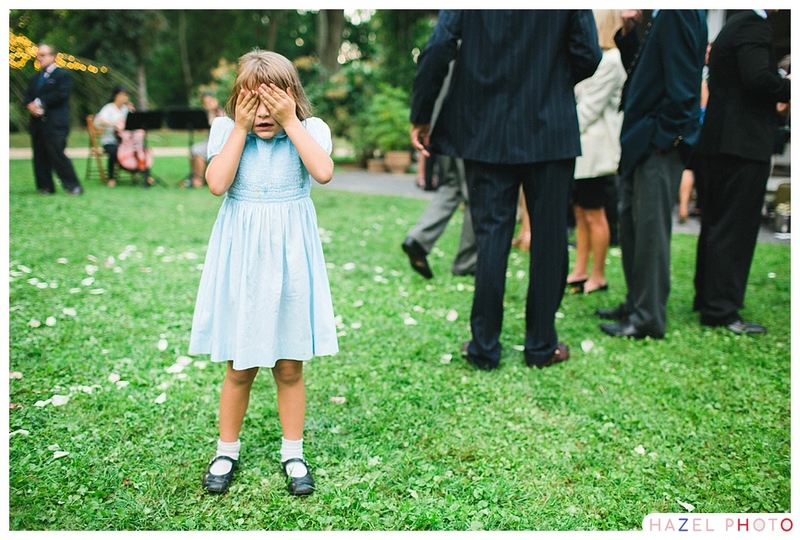 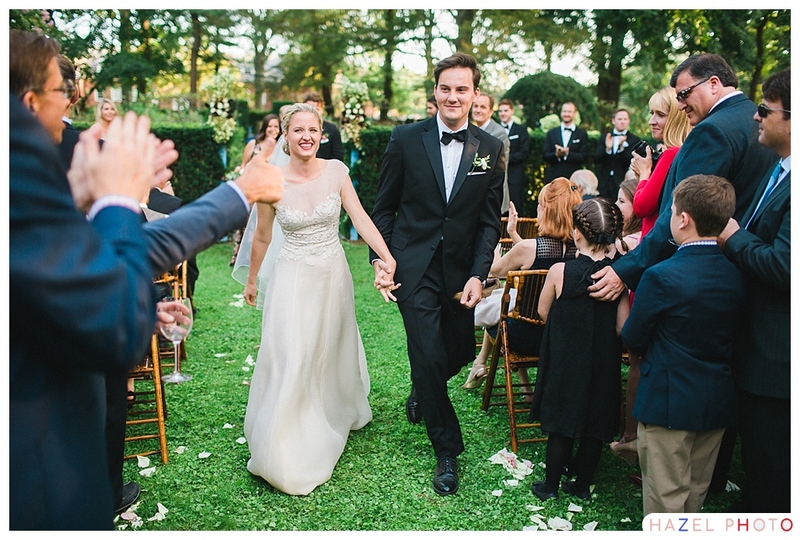 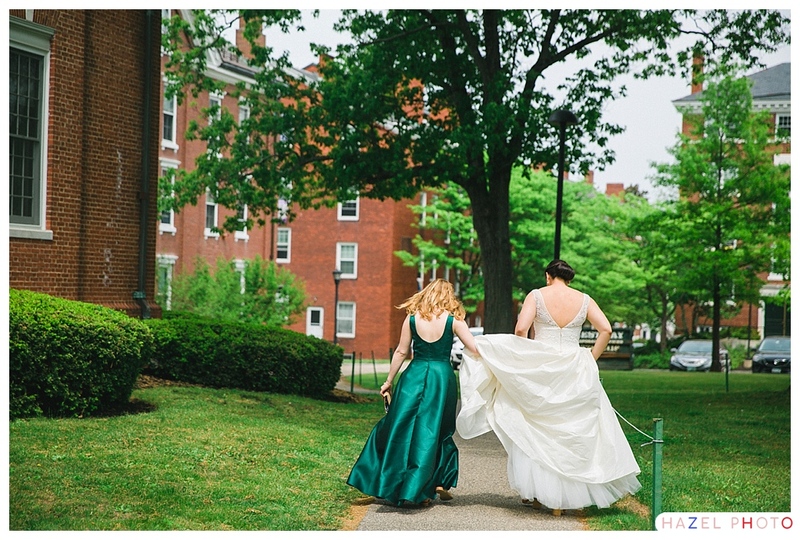 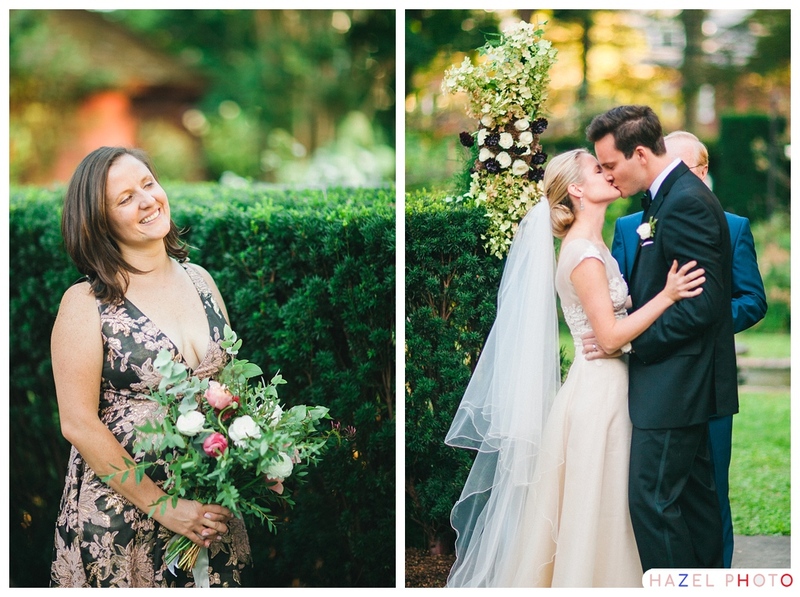 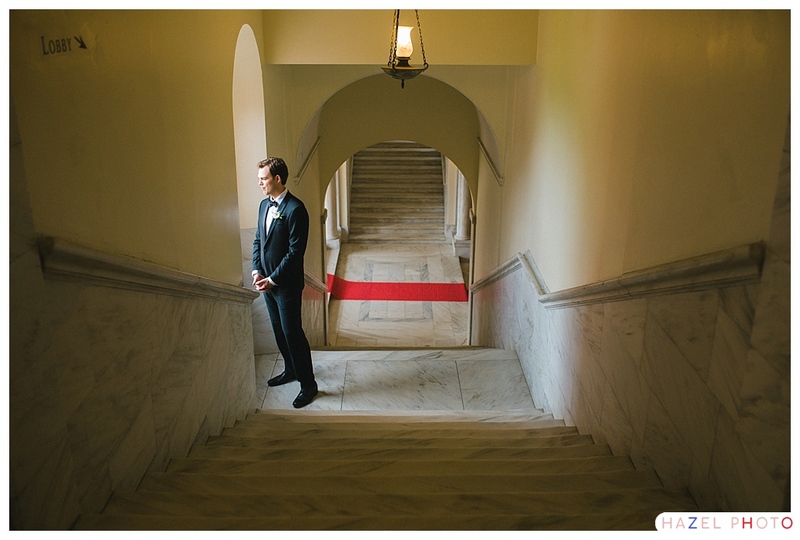 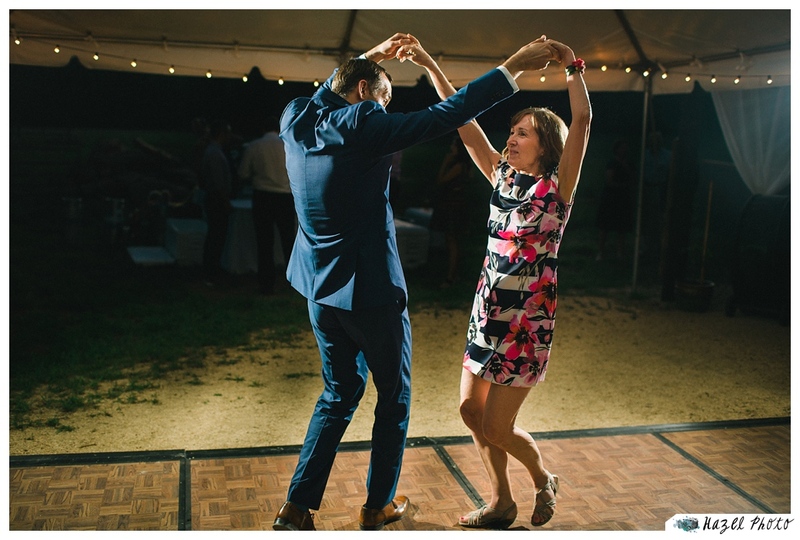 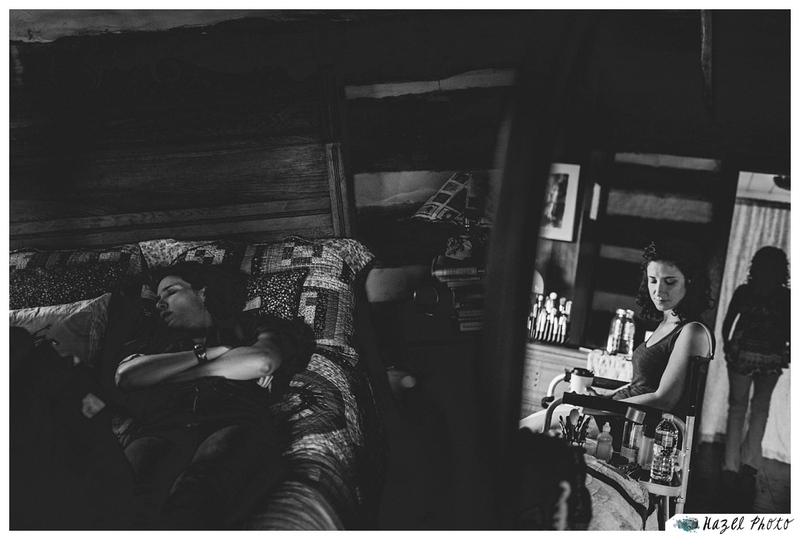 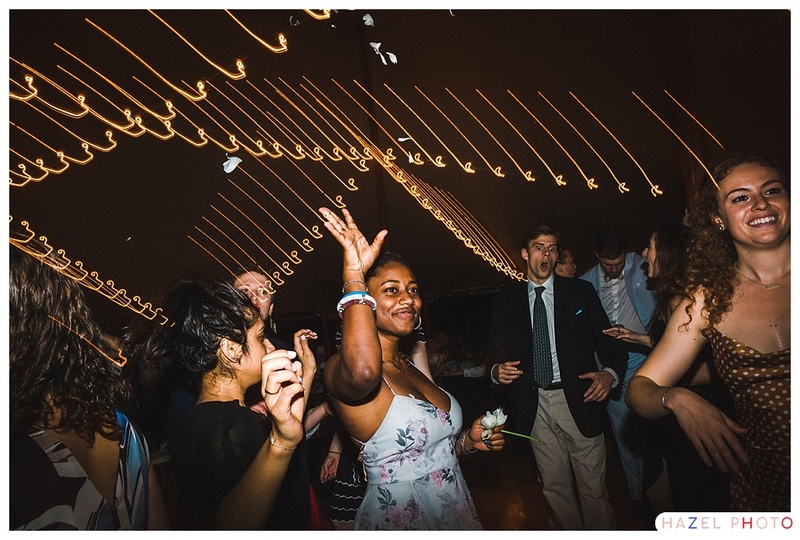 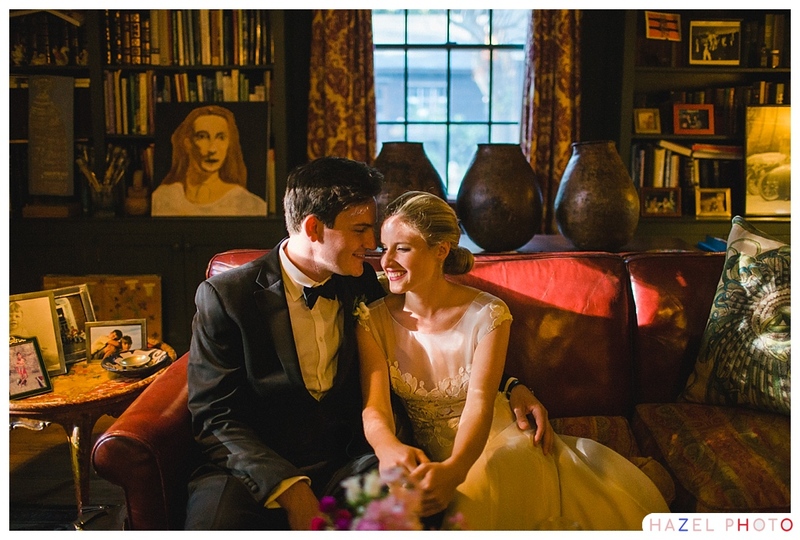 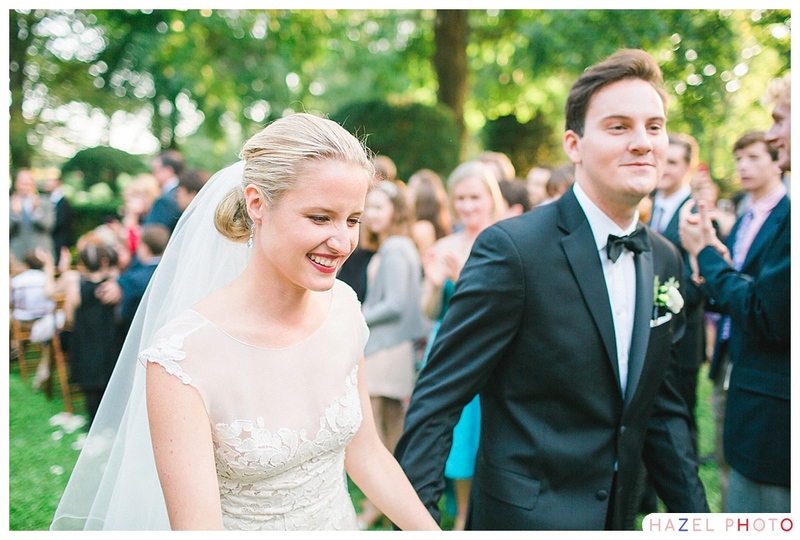 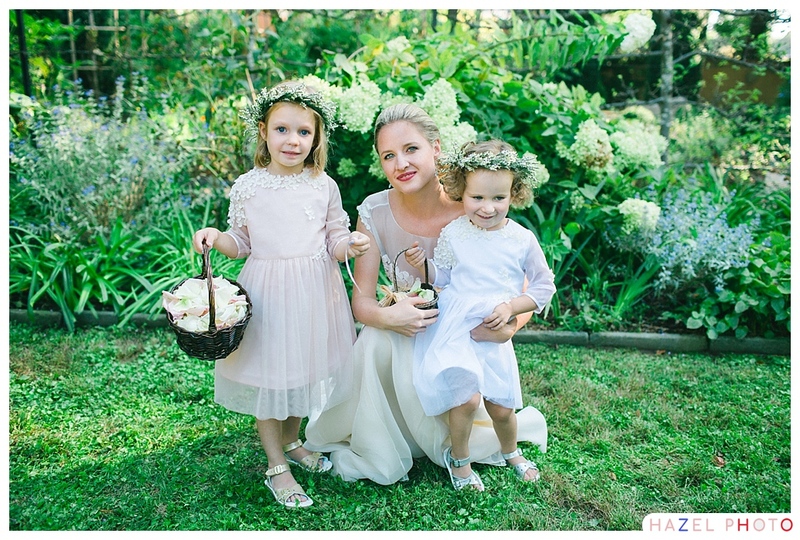 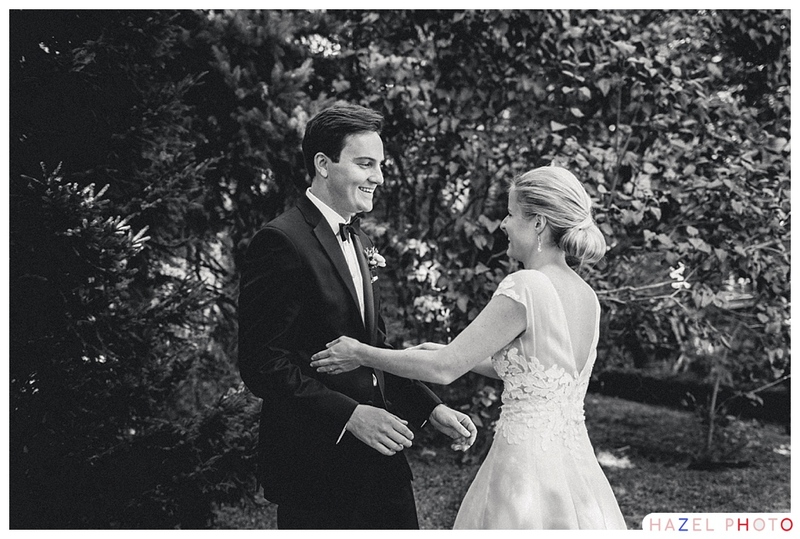 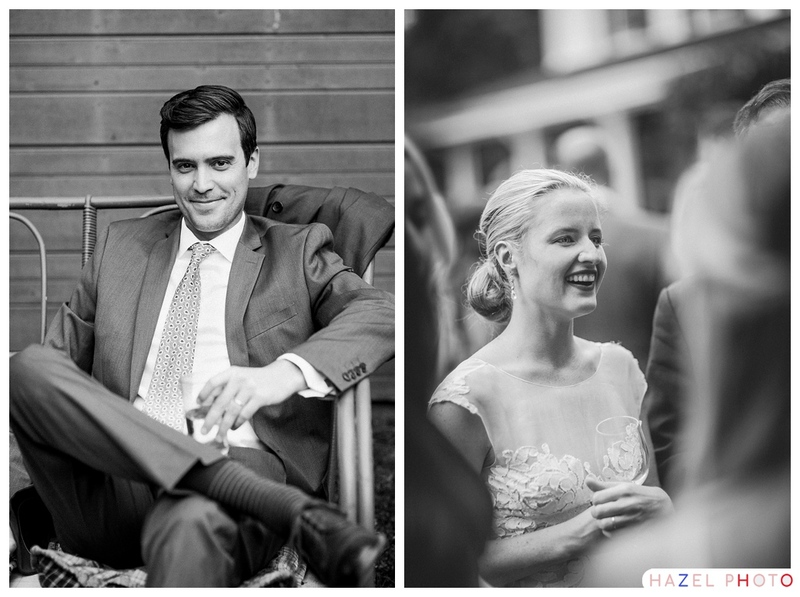 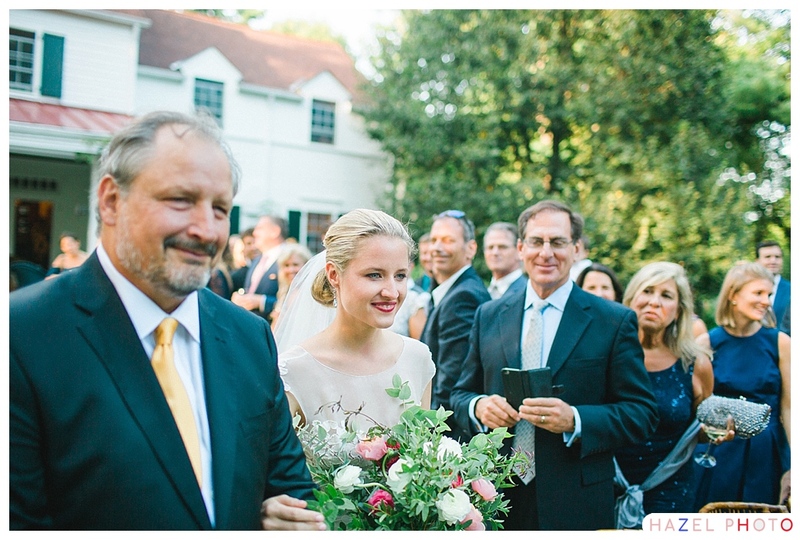 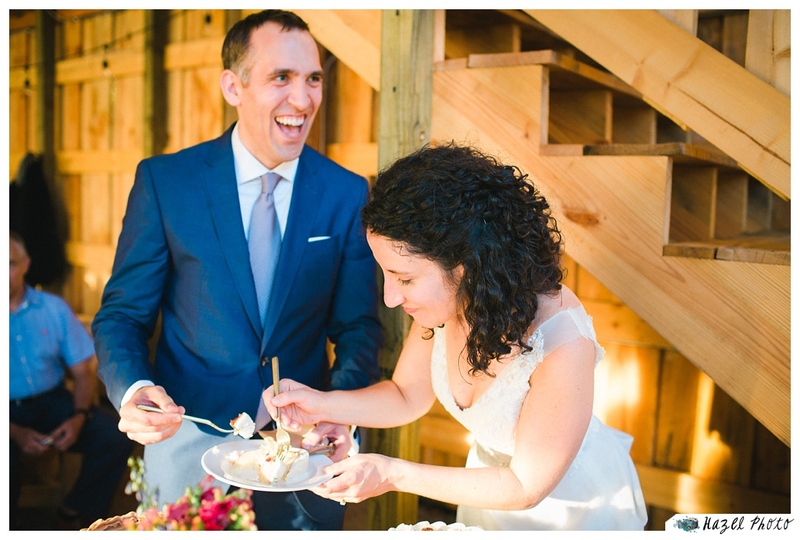 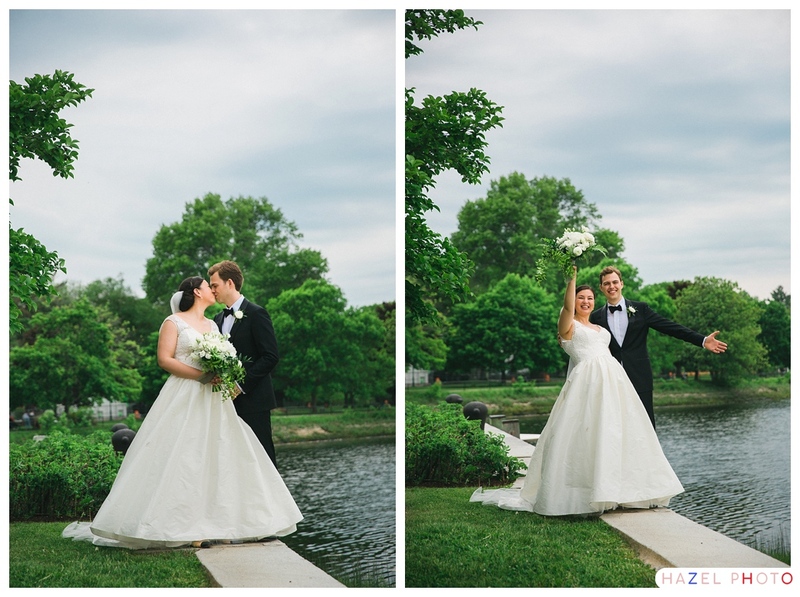 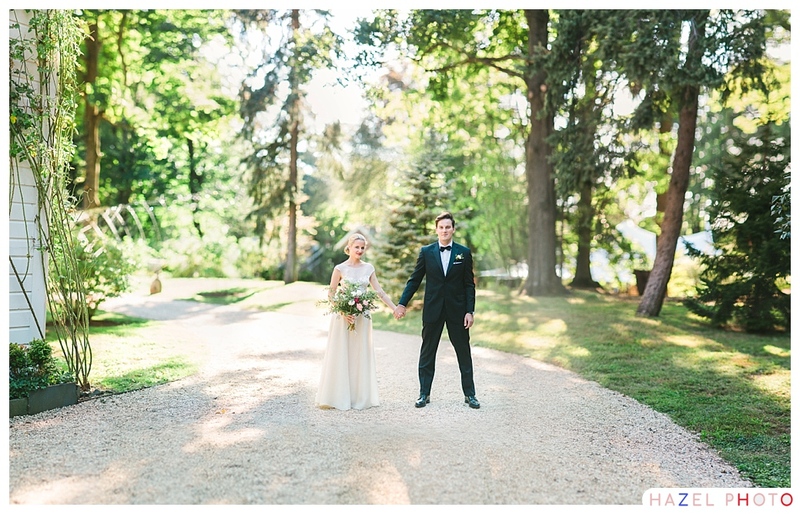 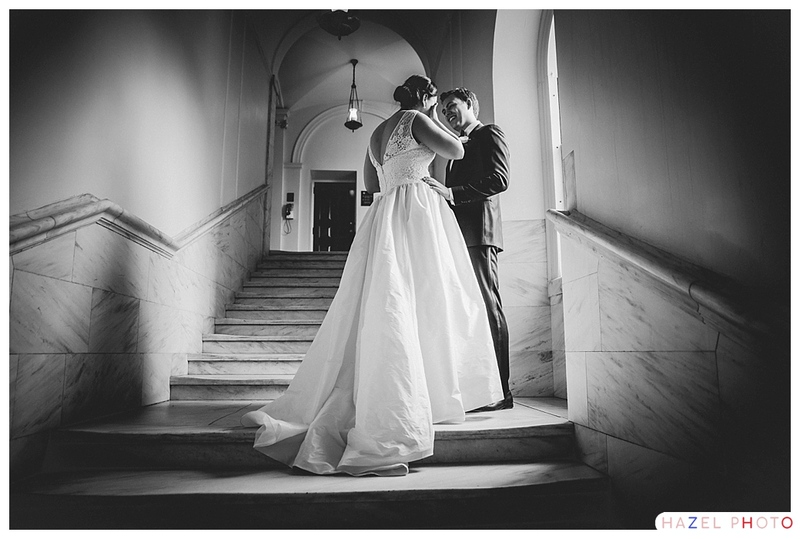 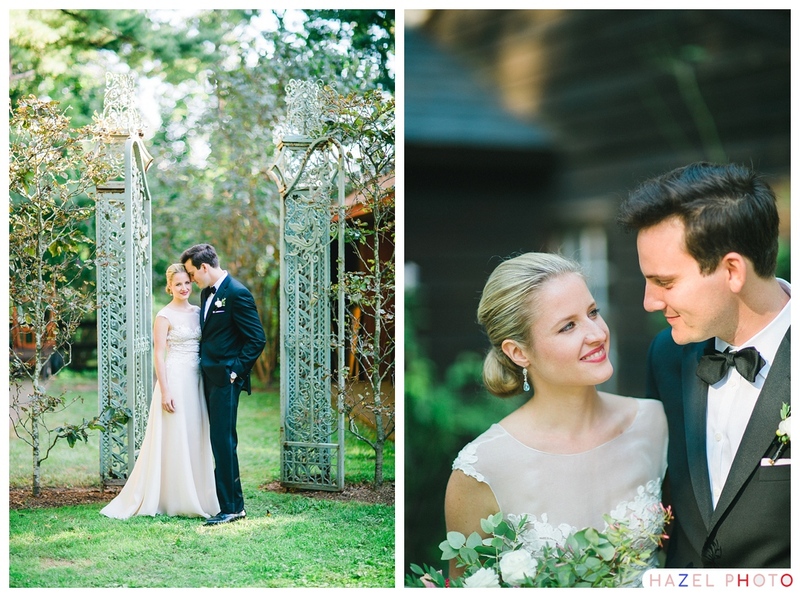 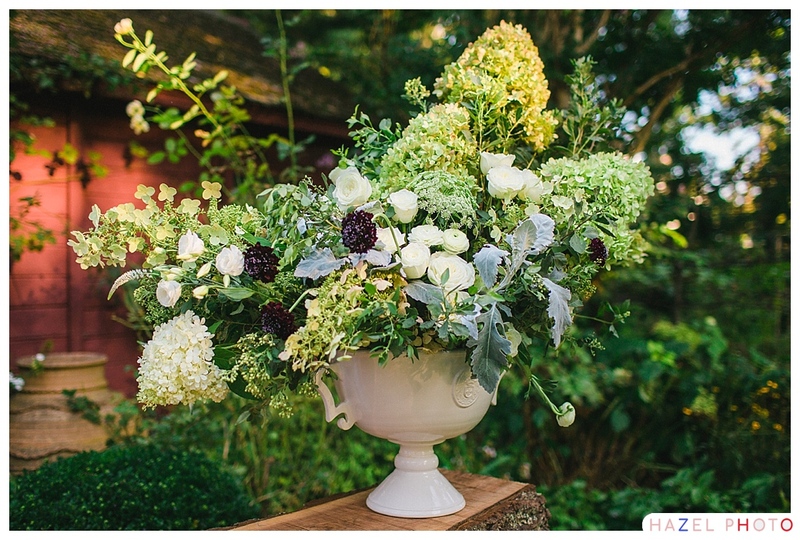 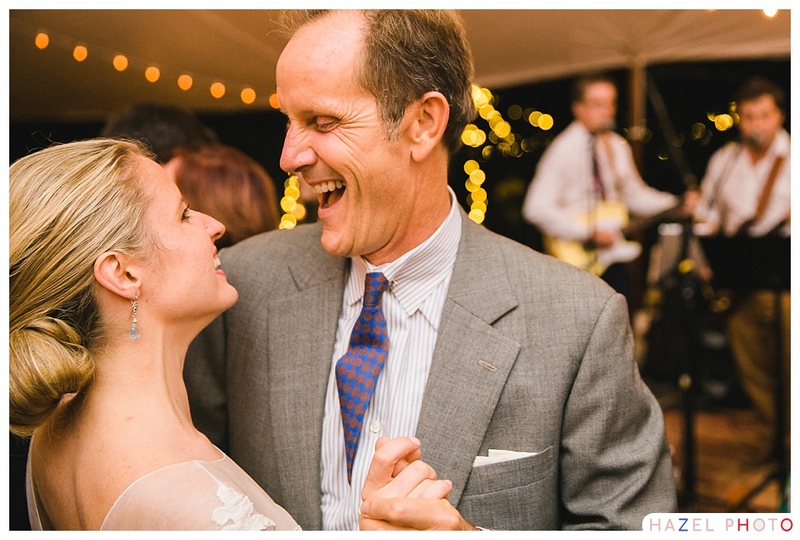 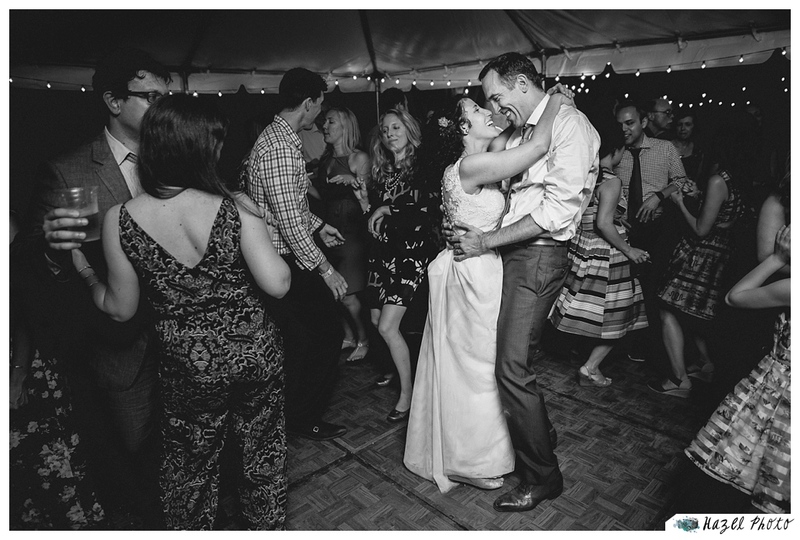 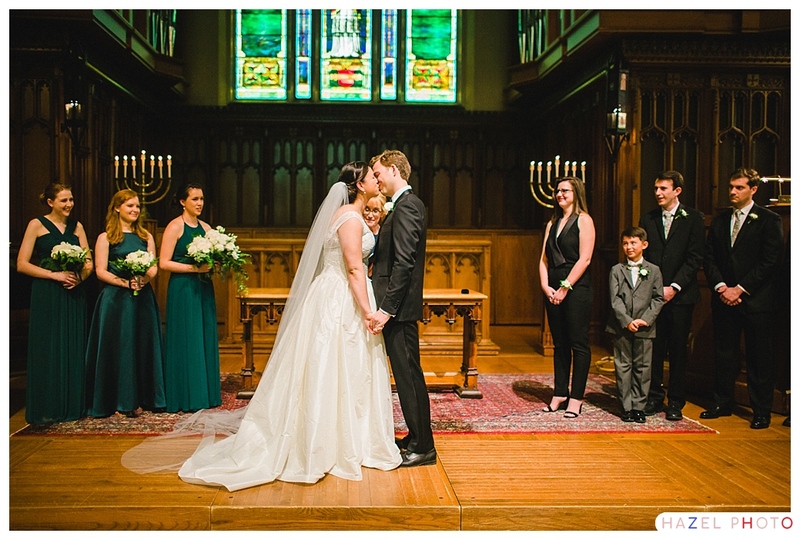 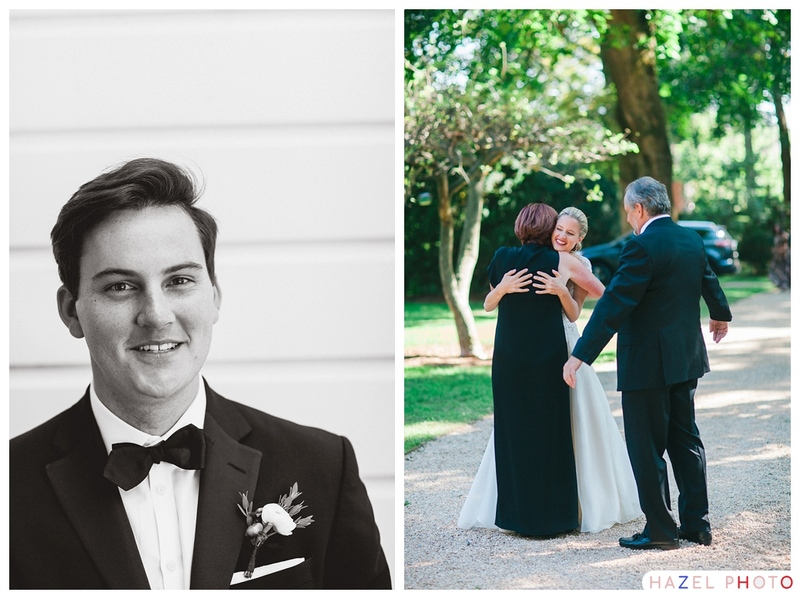 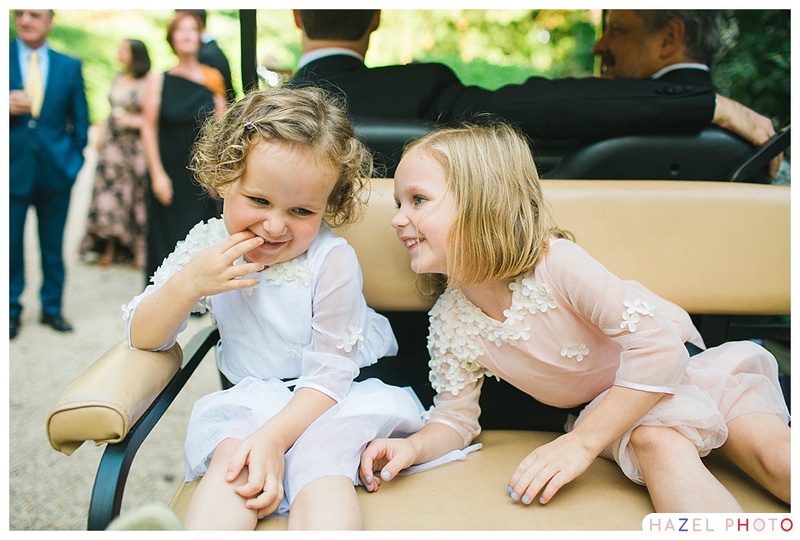 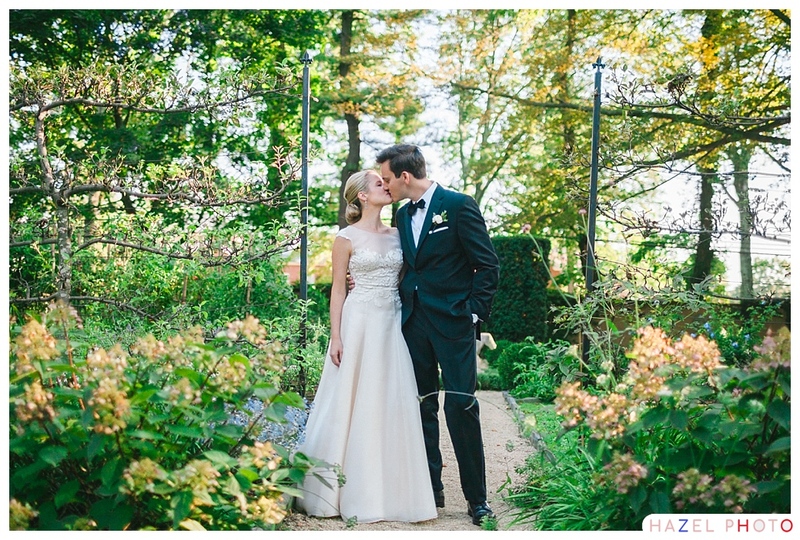 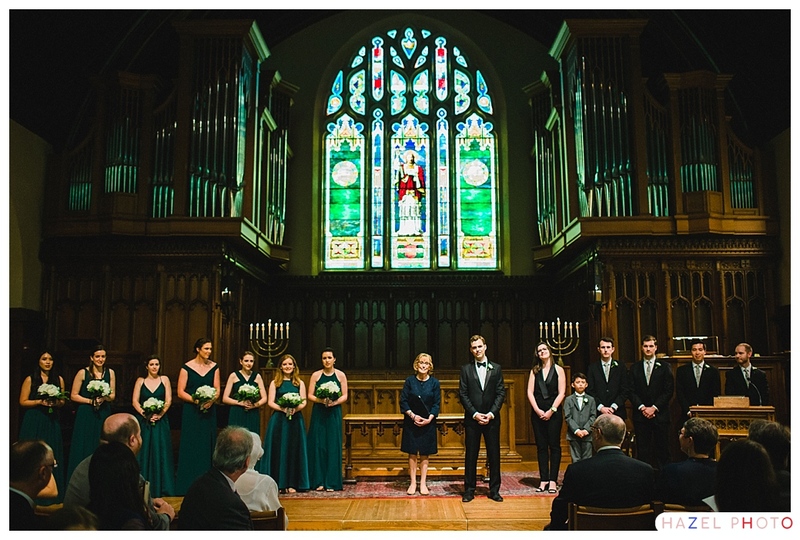 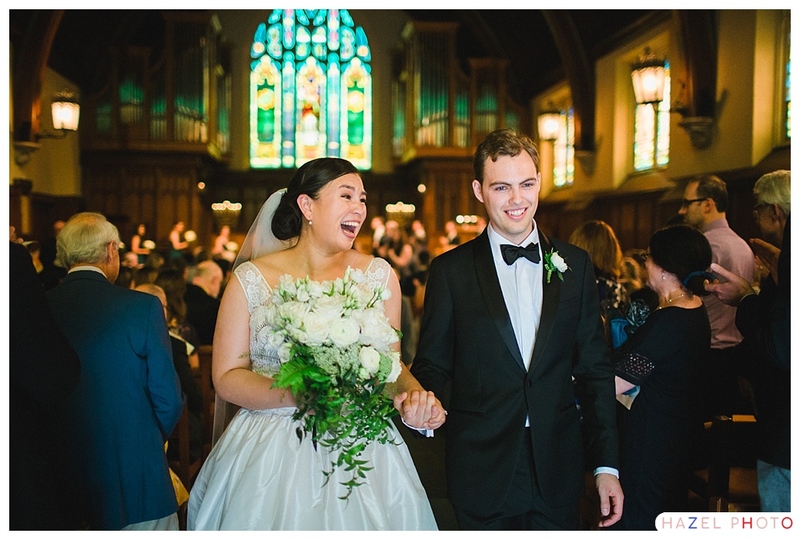 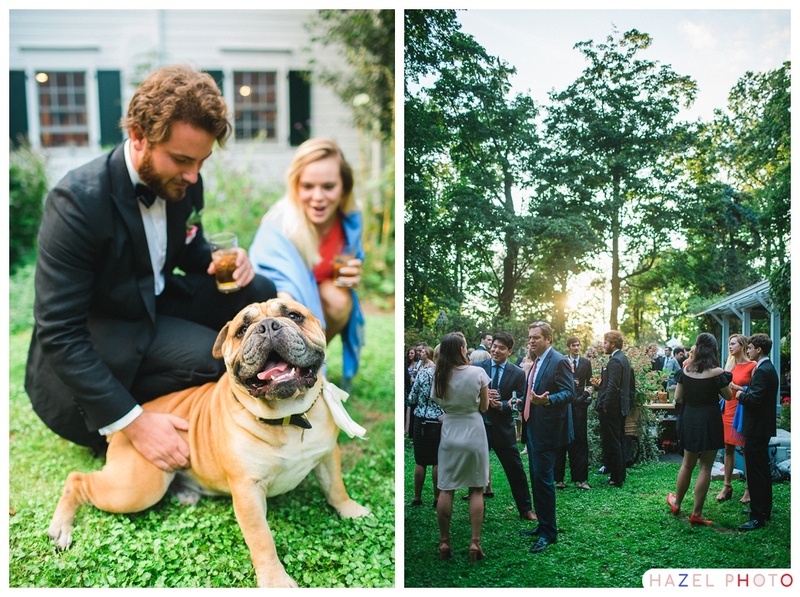 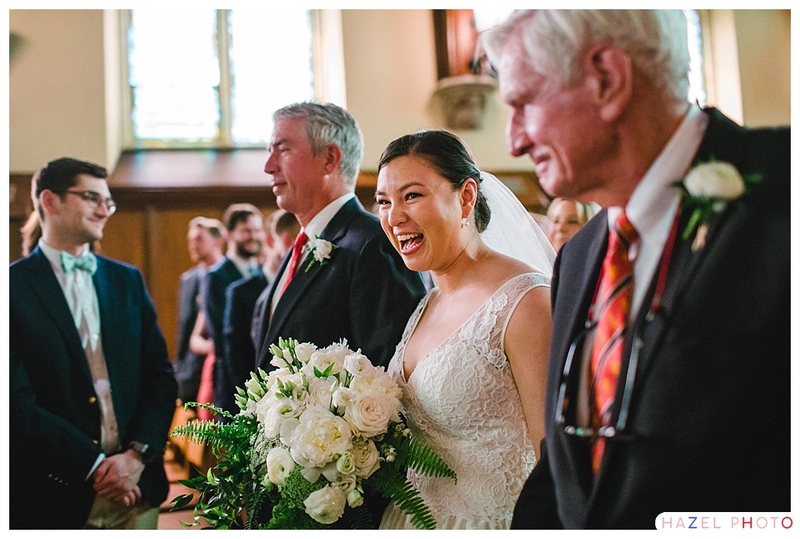 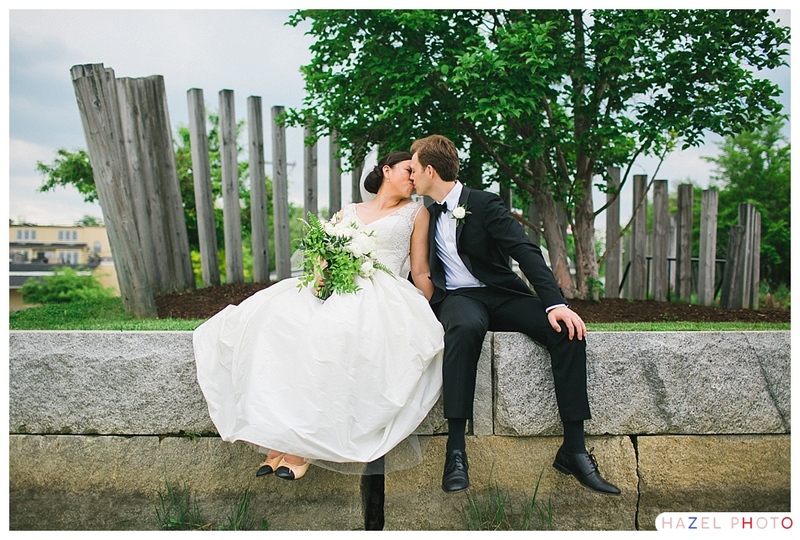 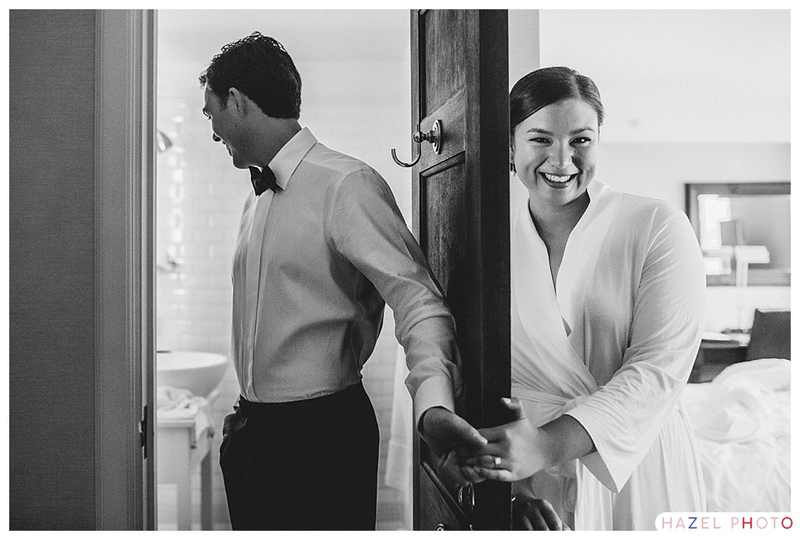 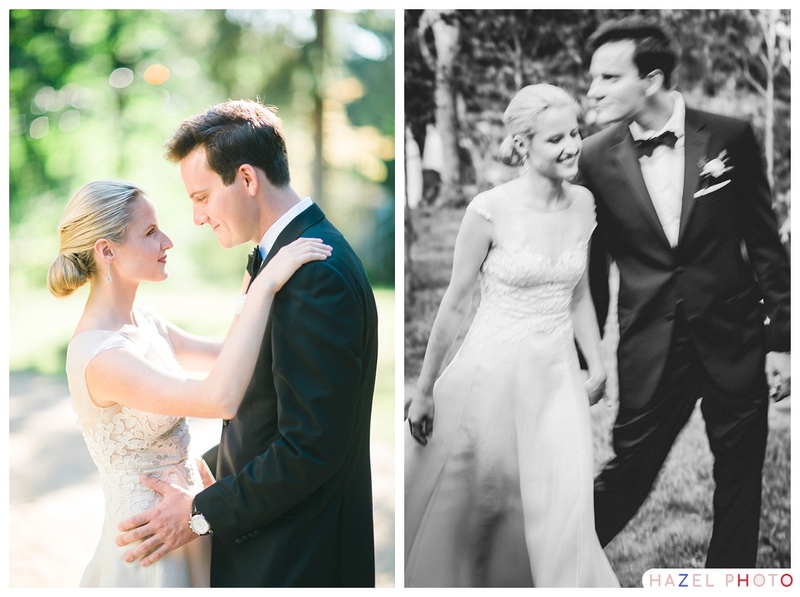 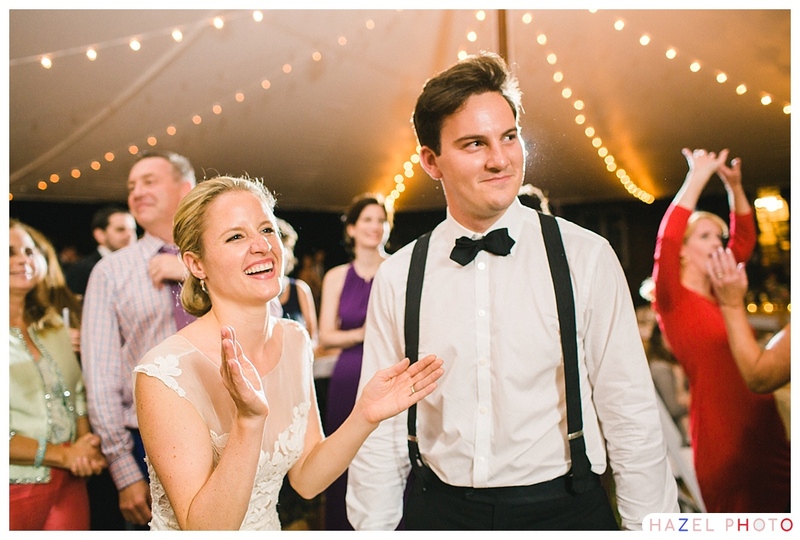 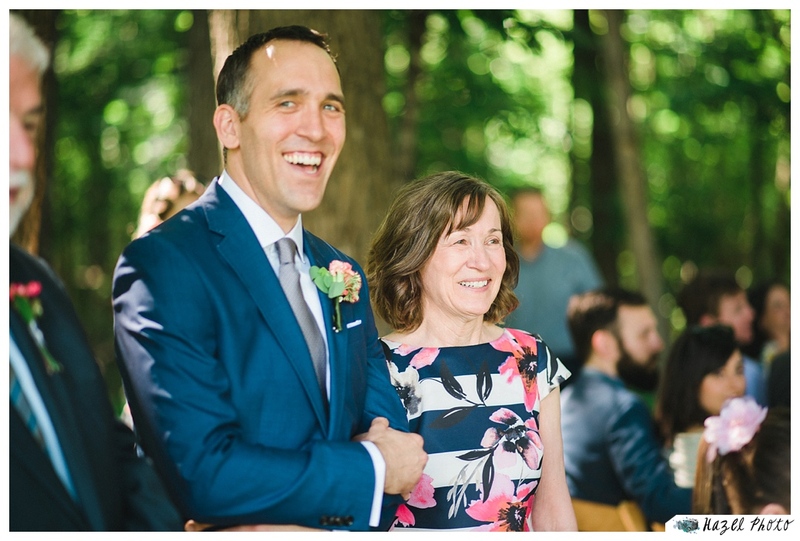 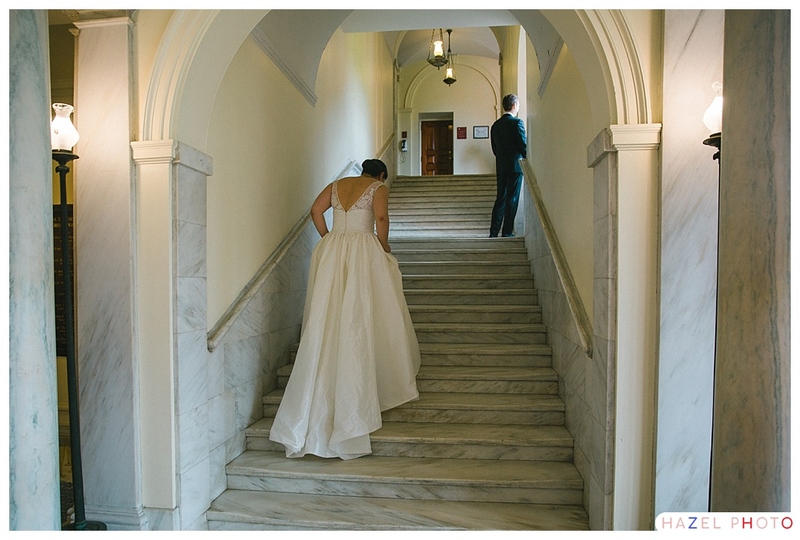 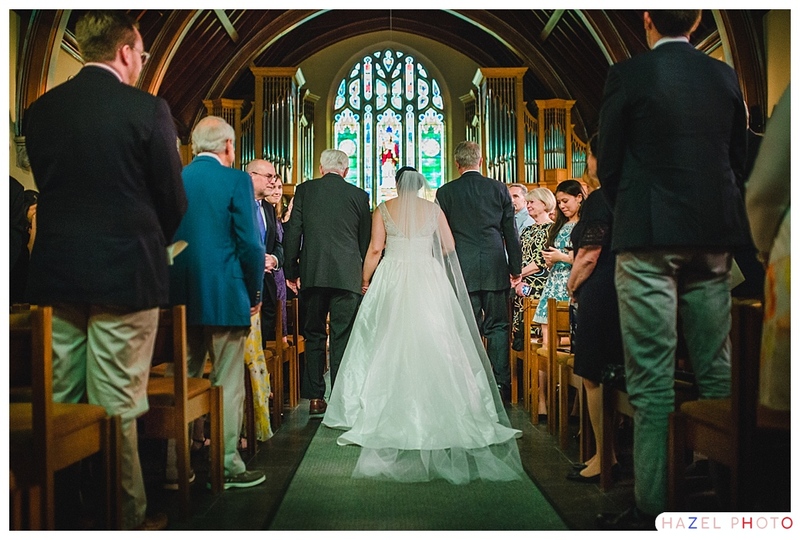 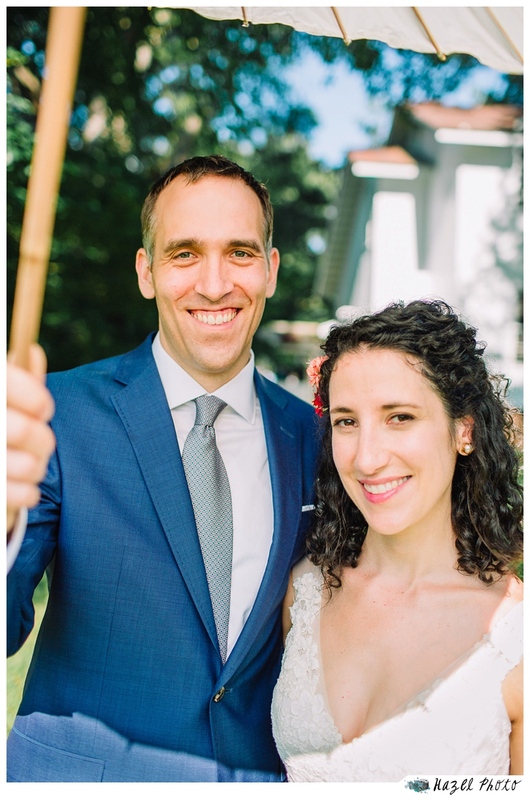 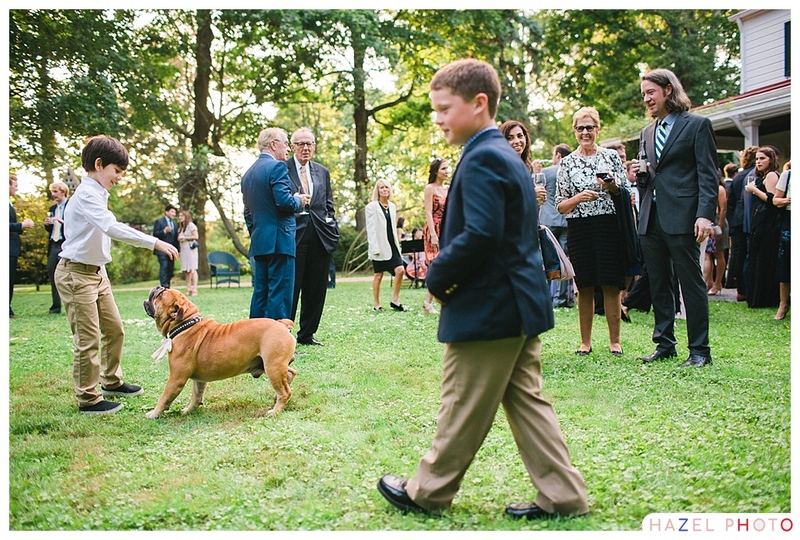 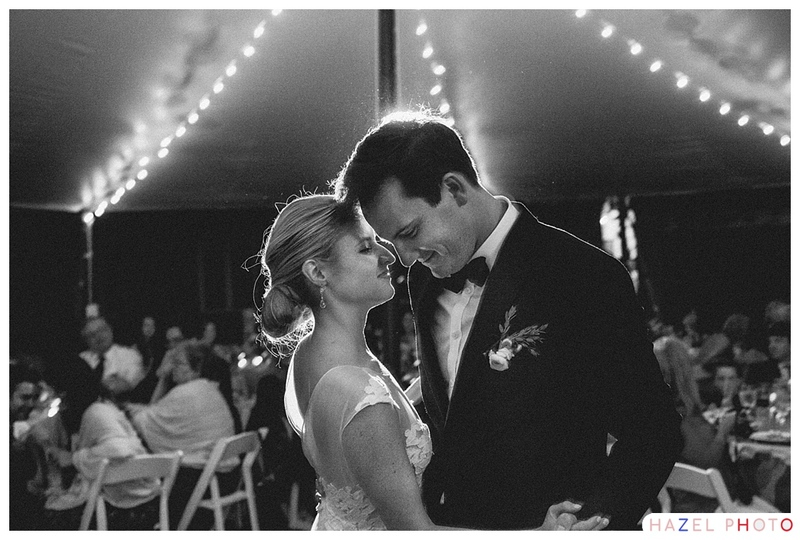 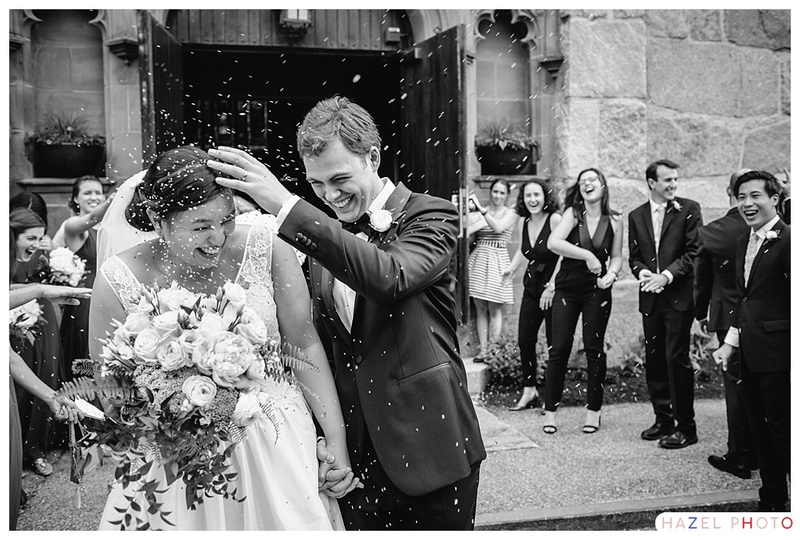 Maggie and August’s wedding day was one of those days that stretches on, blissfully, for years instead of hours. 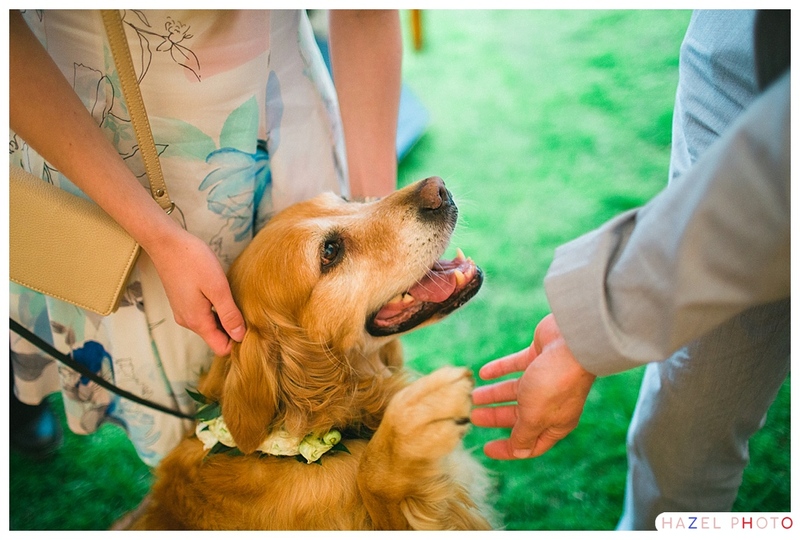 The confidence, the comfort, the certainty of their love put us all at ease, meaning us humans, me included. 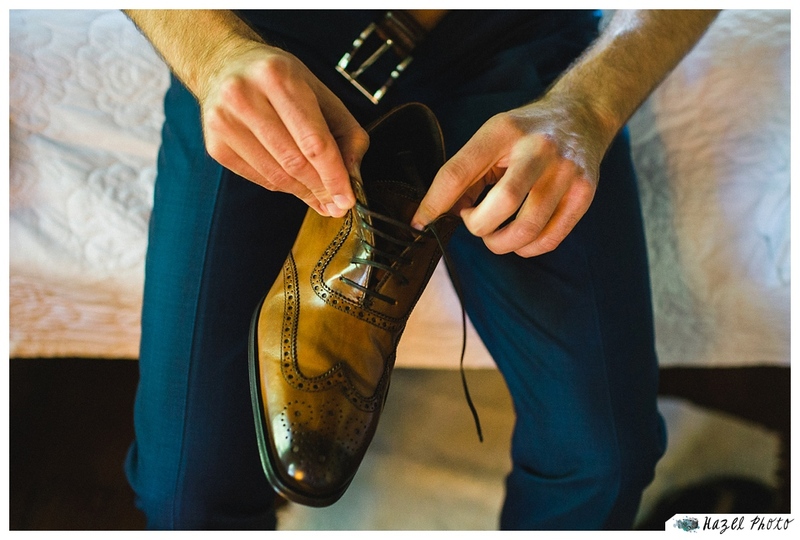 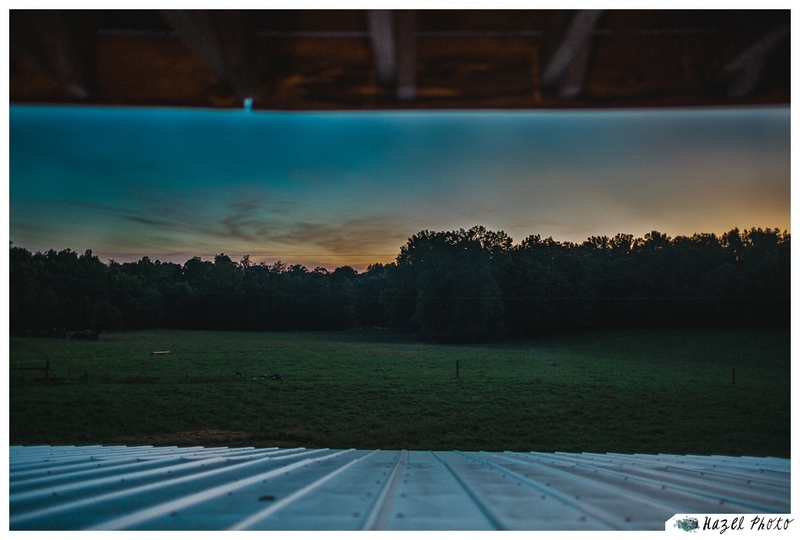 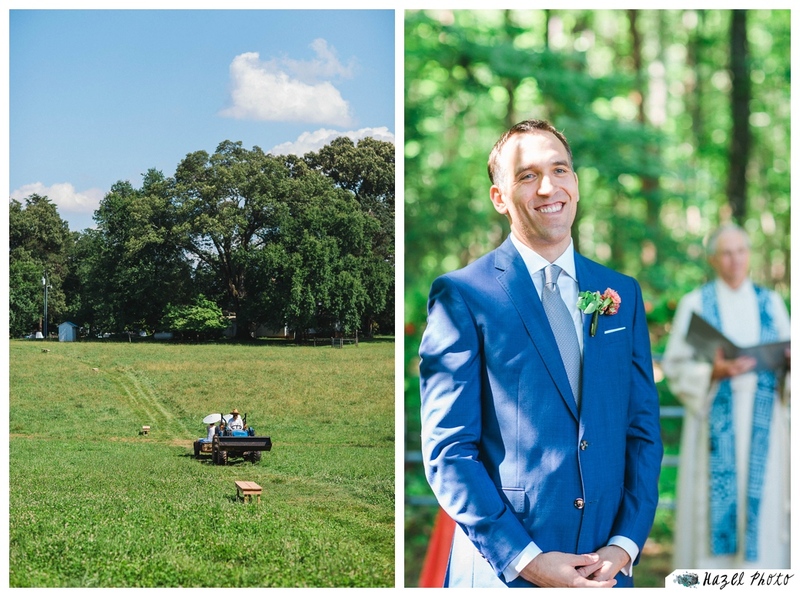 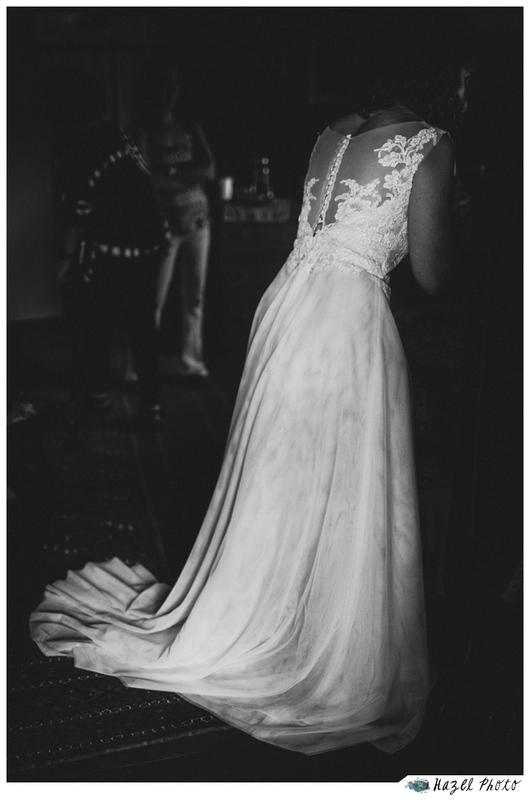 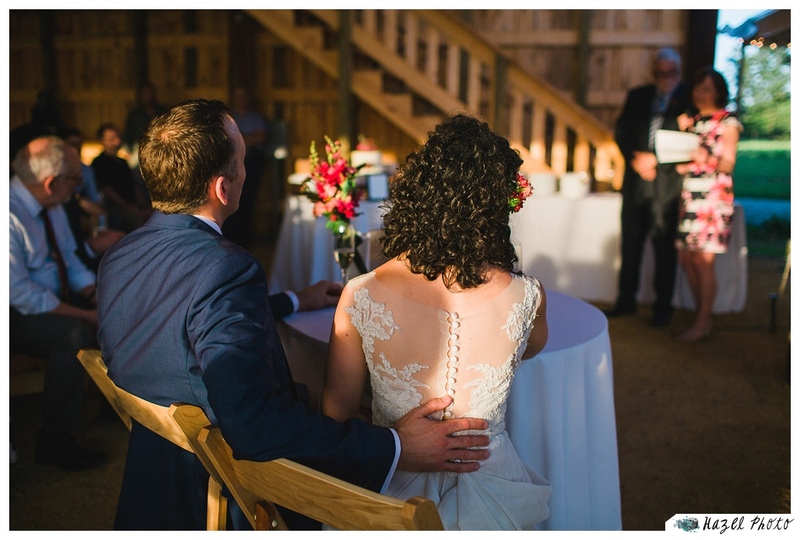 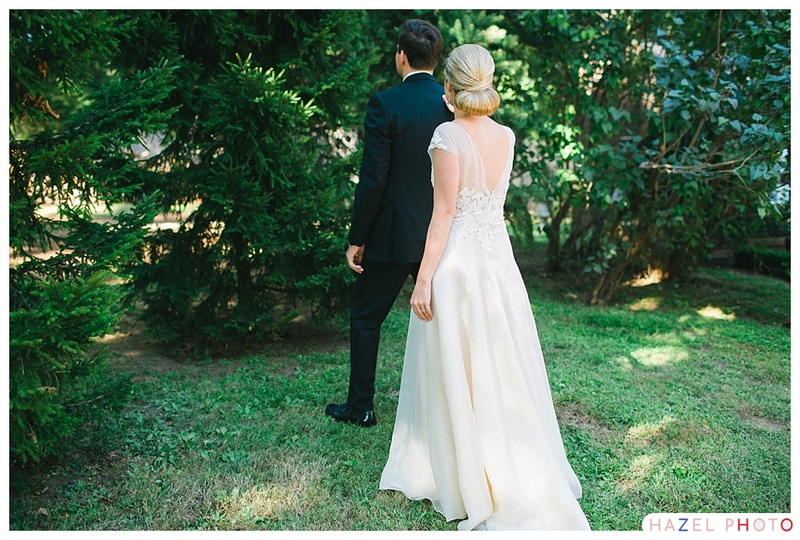 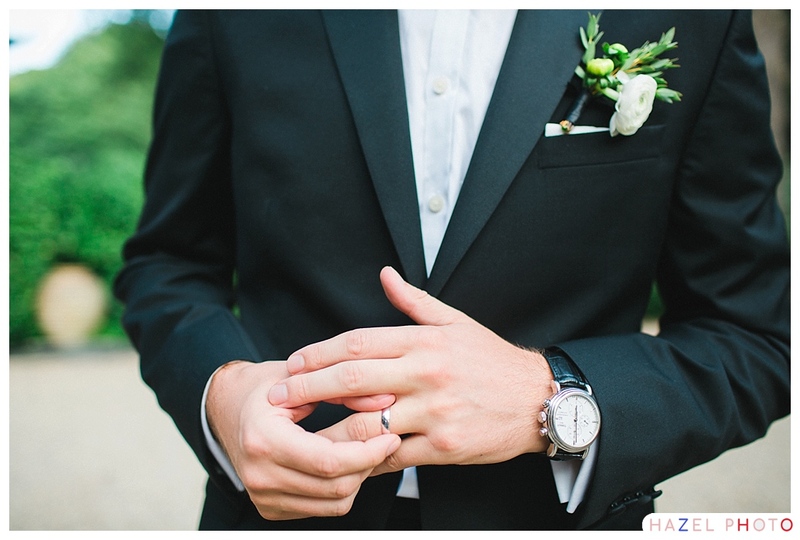 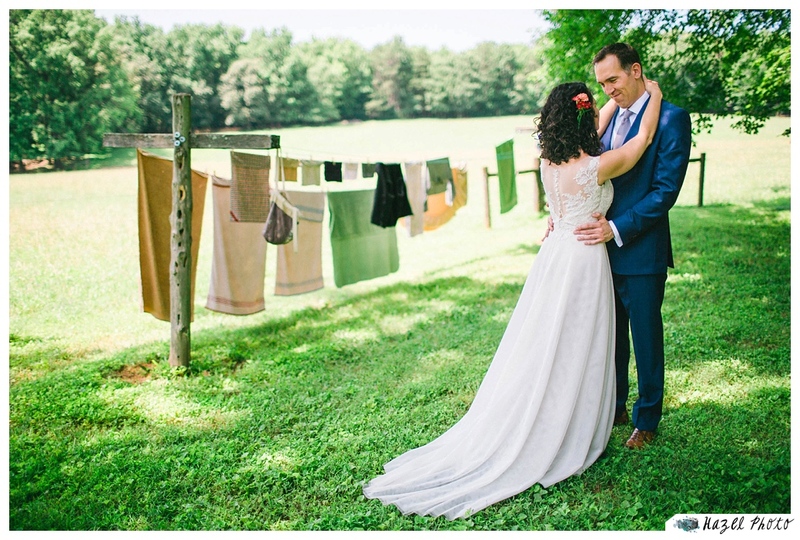 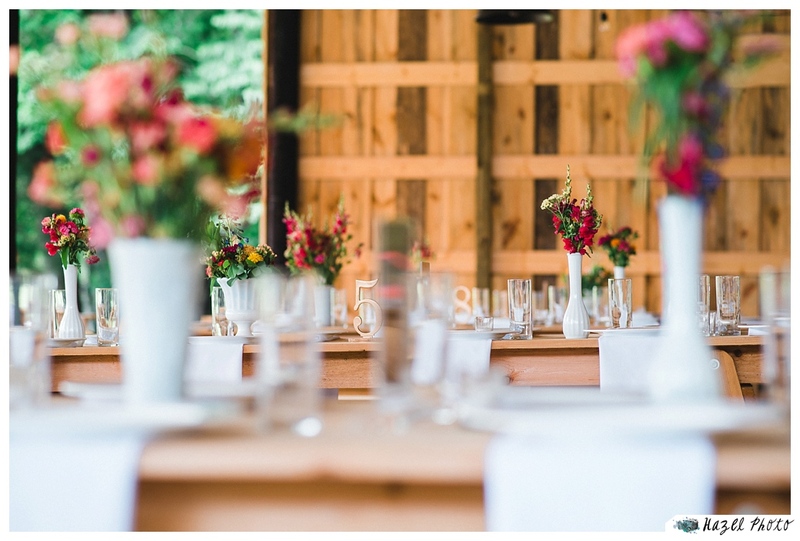 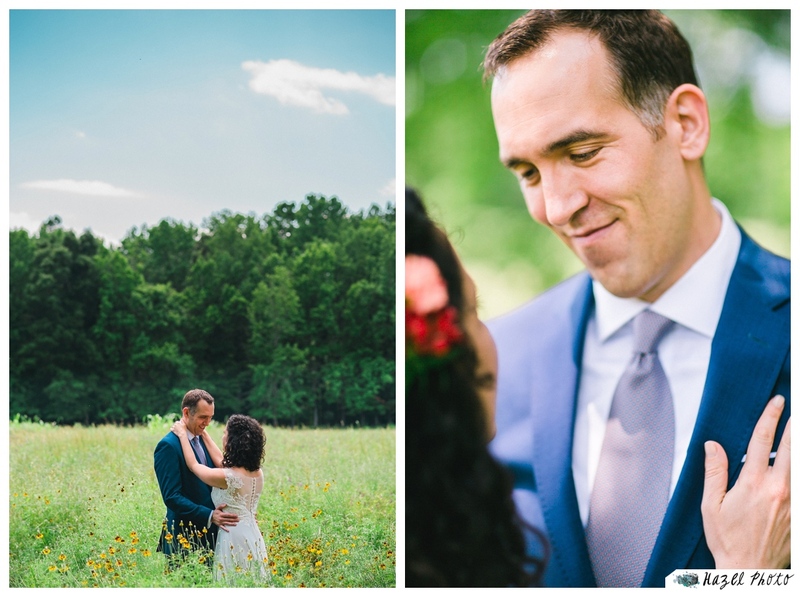 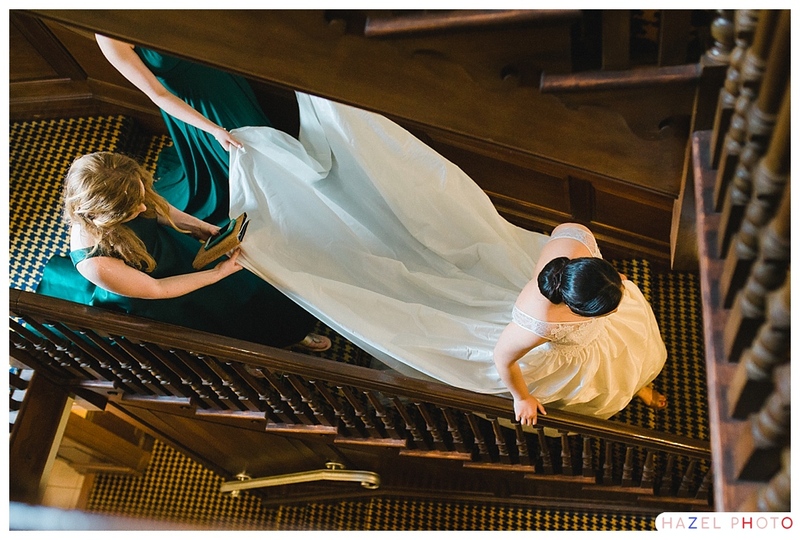 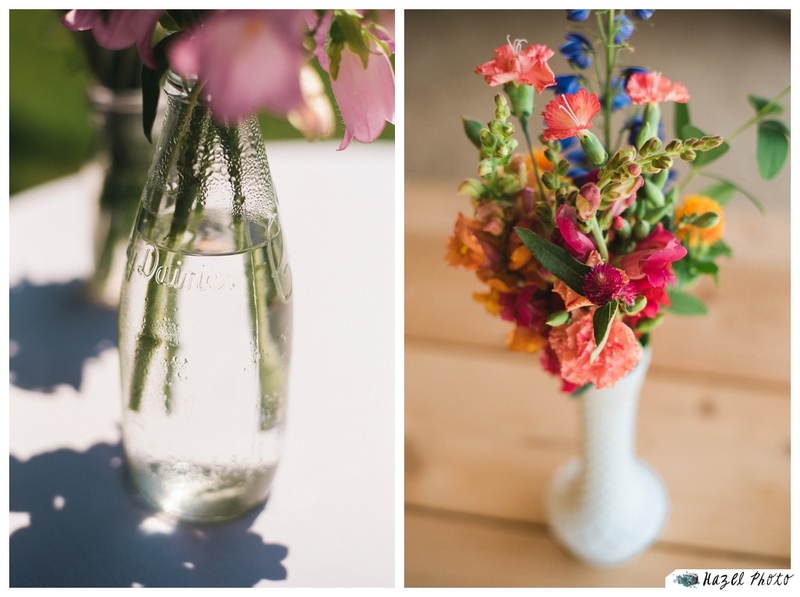 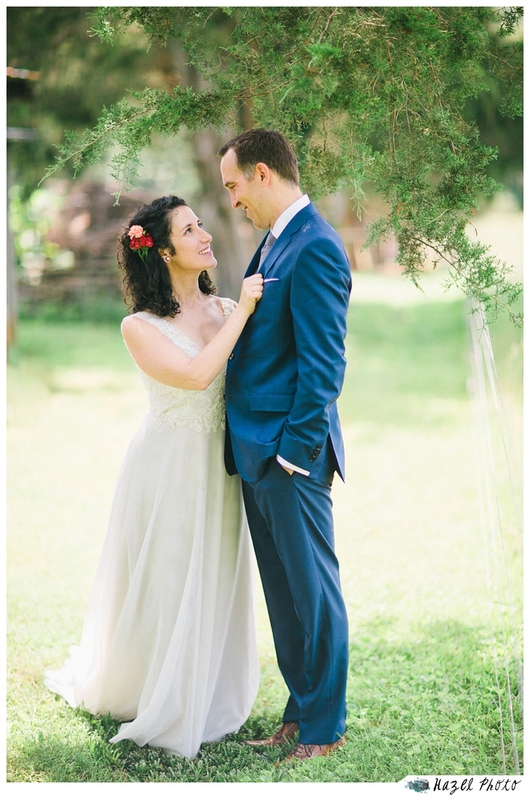 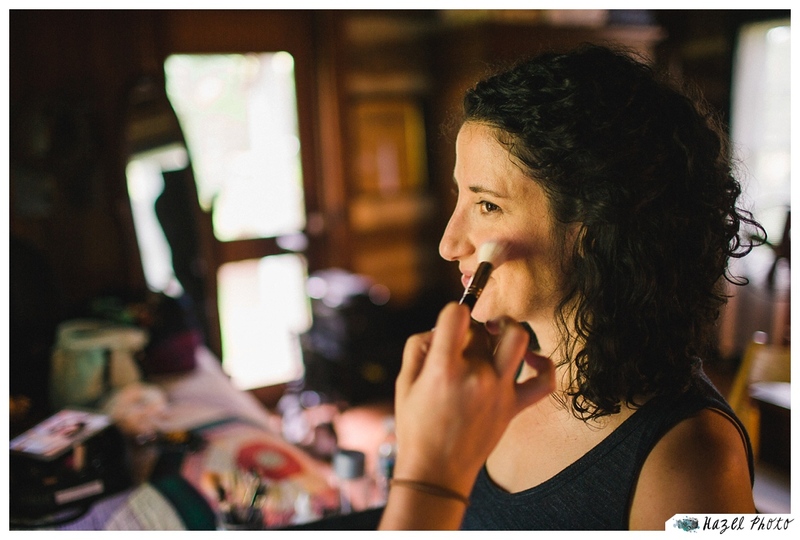 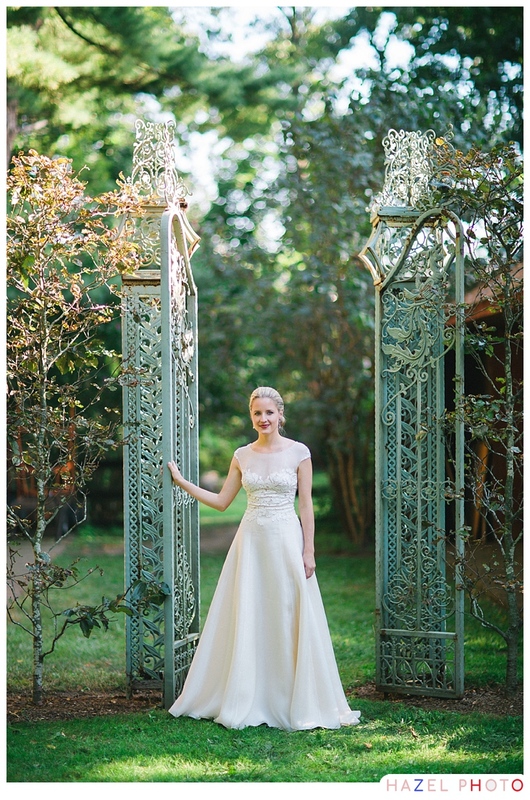 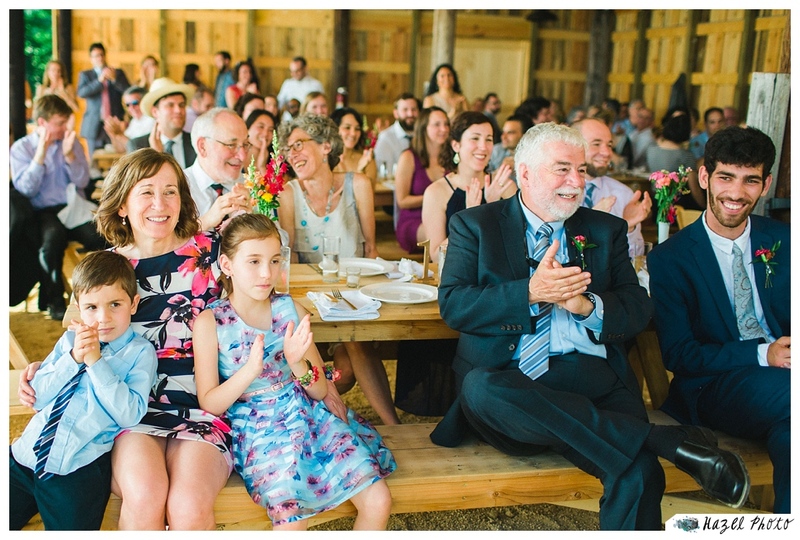 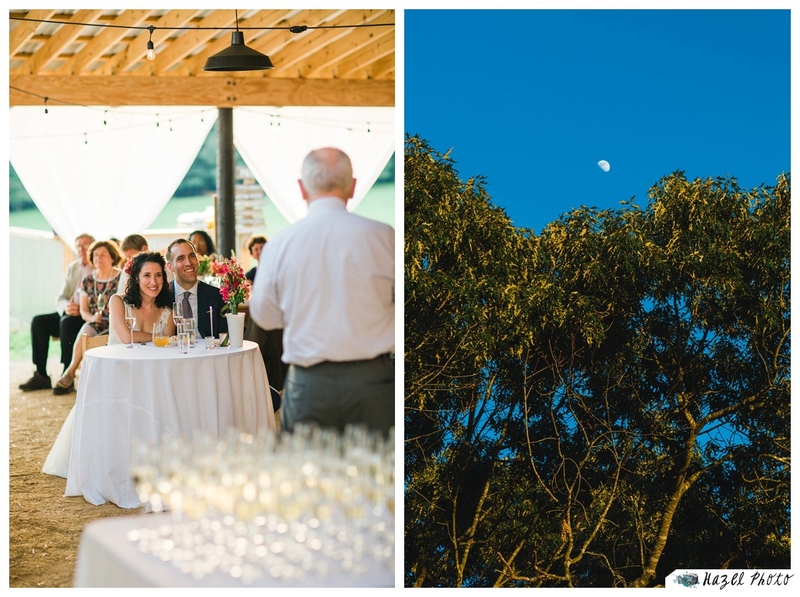 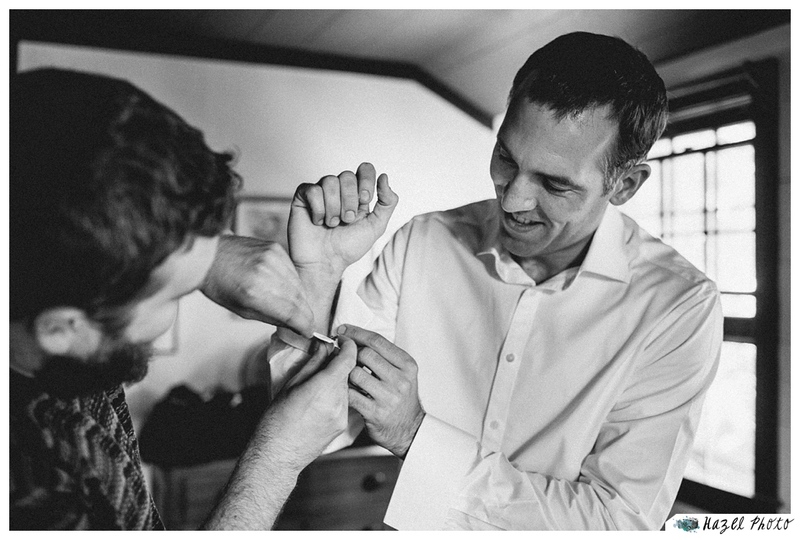 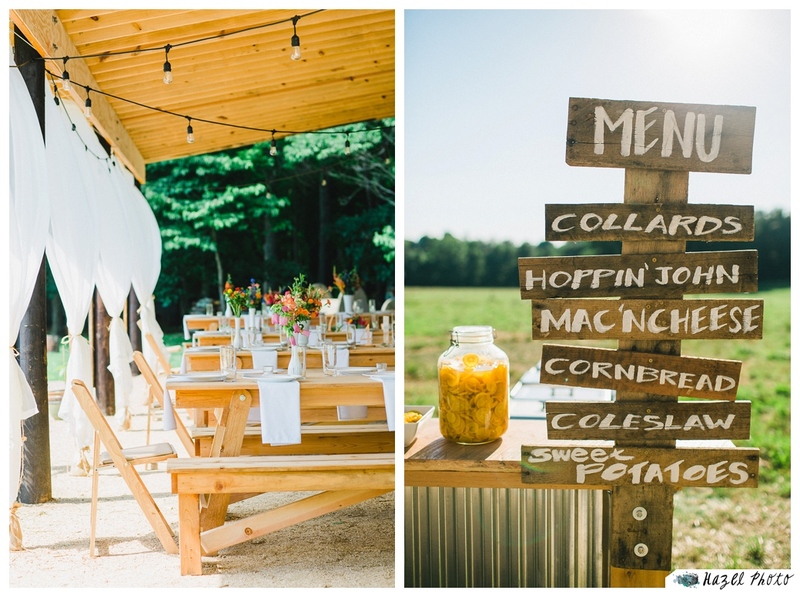 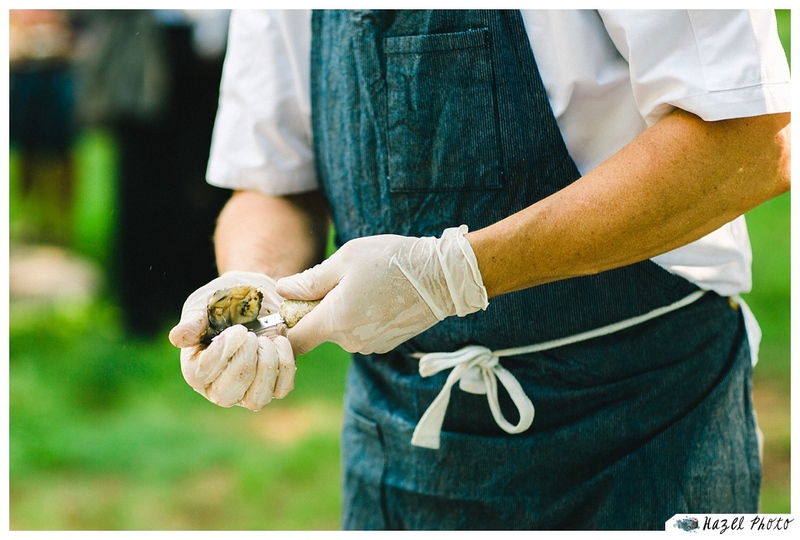 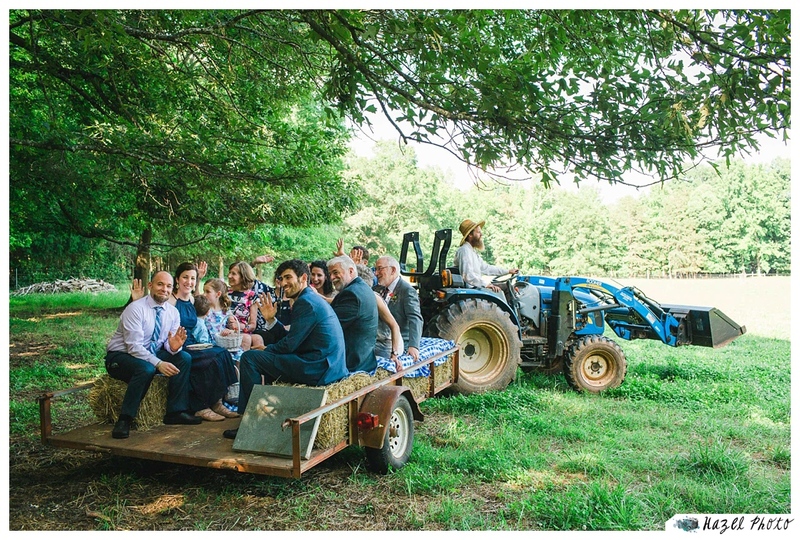 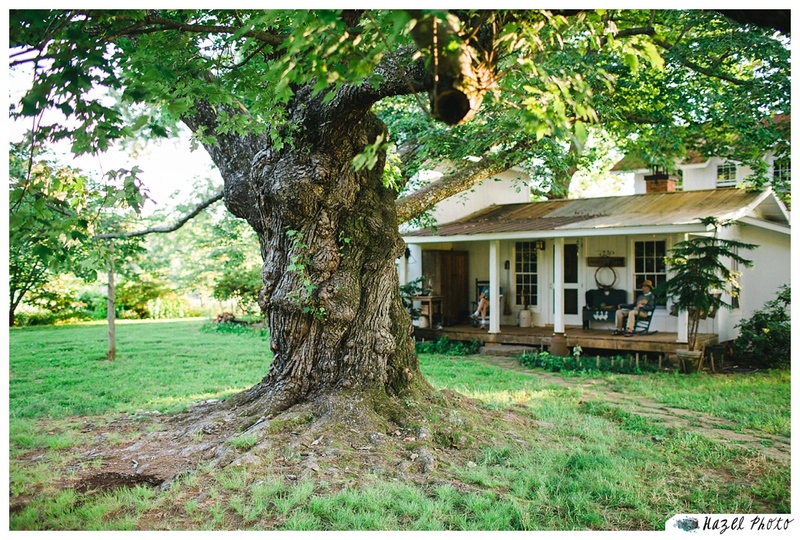 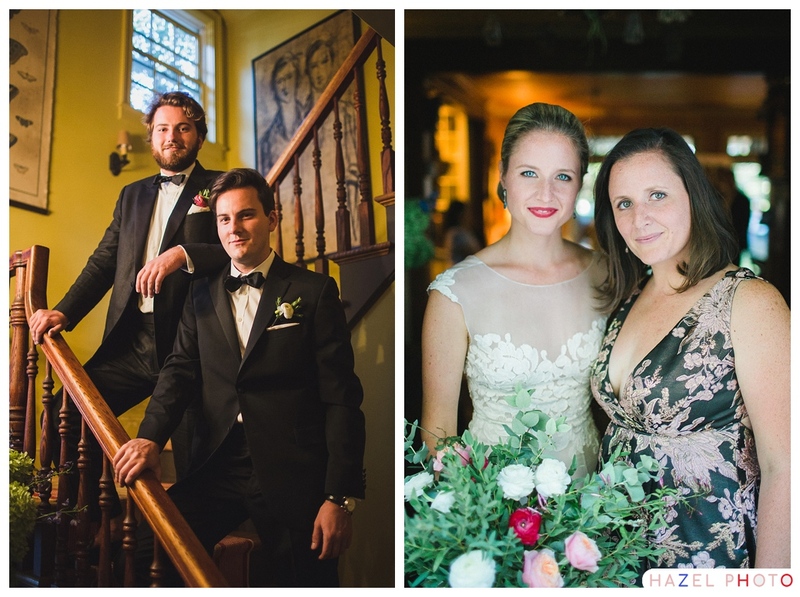 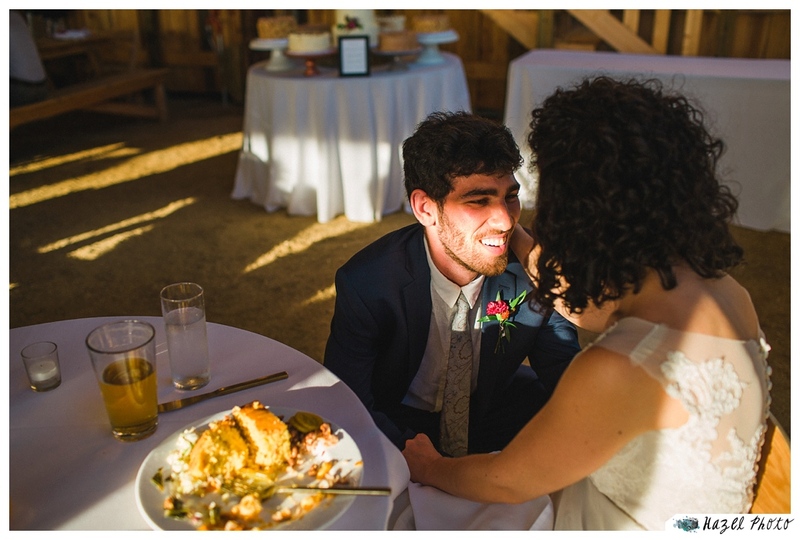 Amelia and Mark were married on a warm June day at Windy Hill Farm in Cedar Grove, North Carolina not far from Chapel Hill. 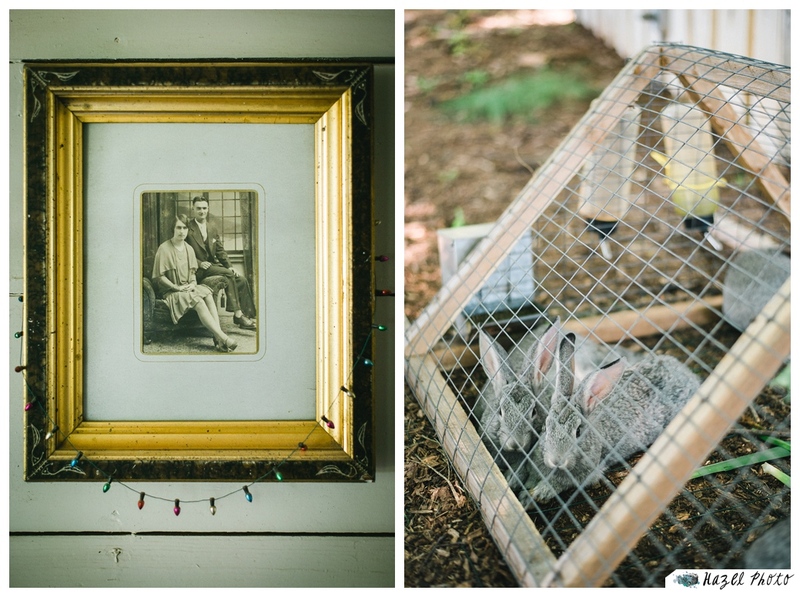 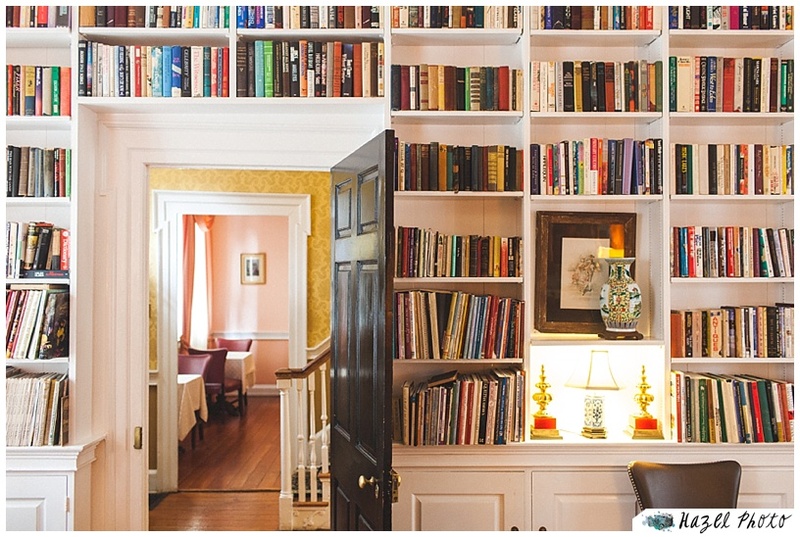 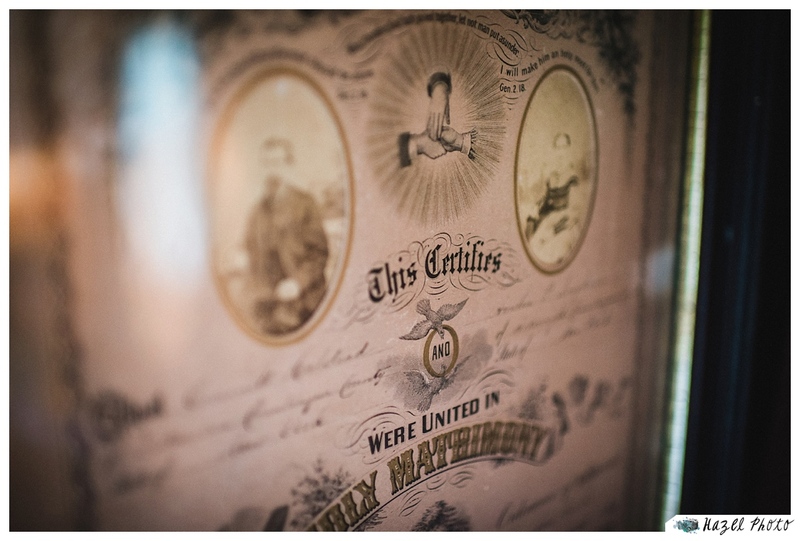 The two prepared for the day in a sweet old farmhouse full of antiques and curiosities. 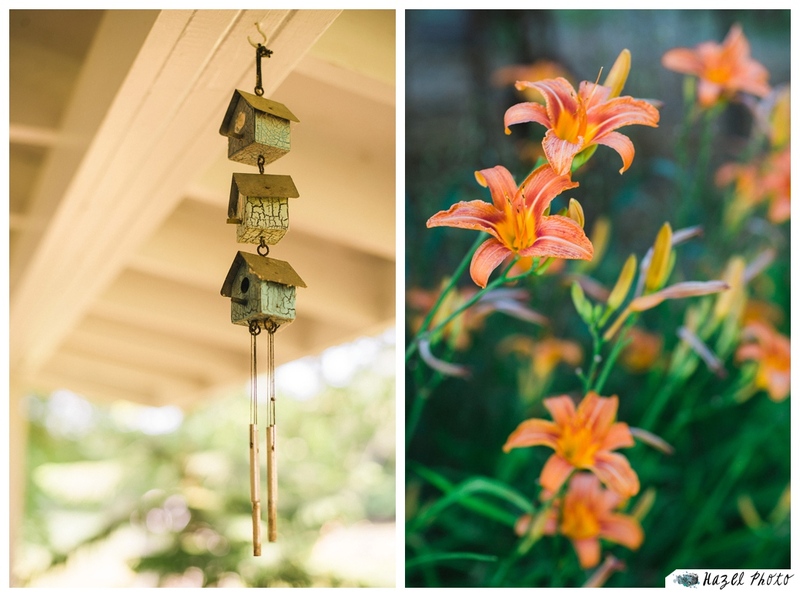 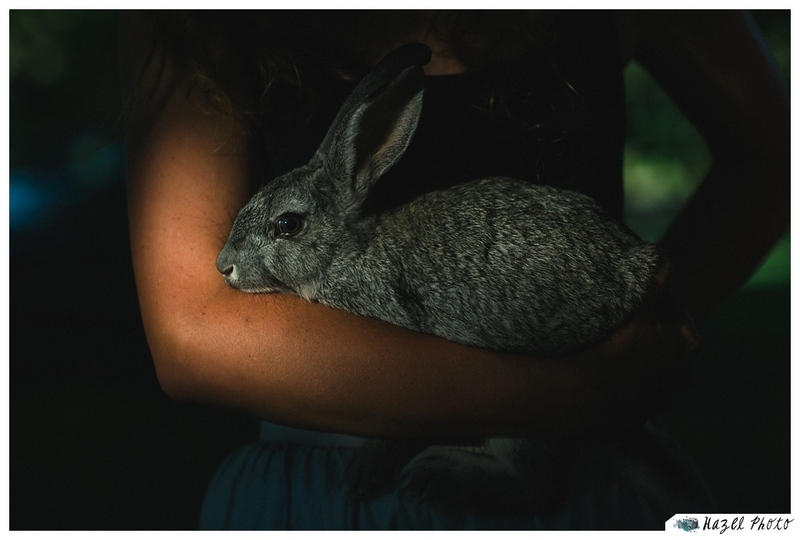 A pair of rabbits dozed in a hutch, Tiger lilies reached for the sun. 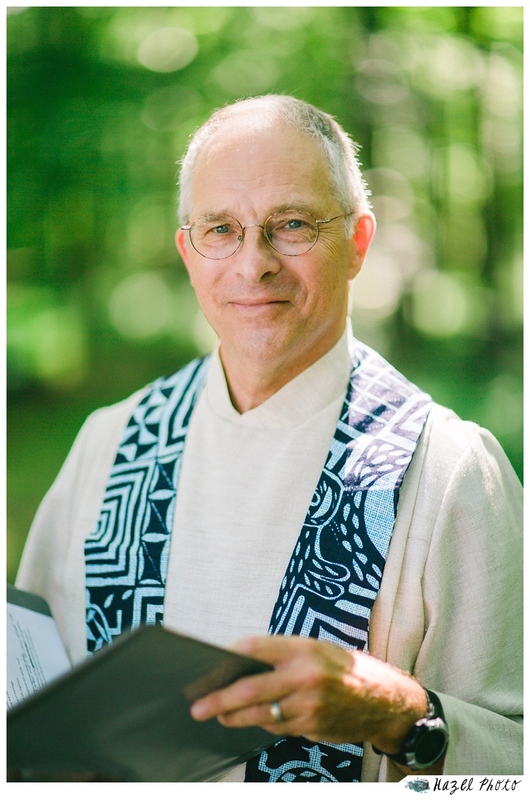 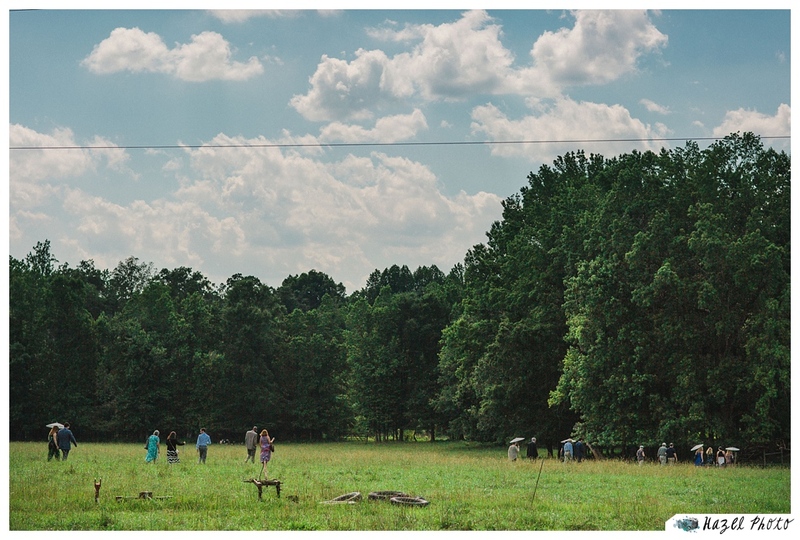 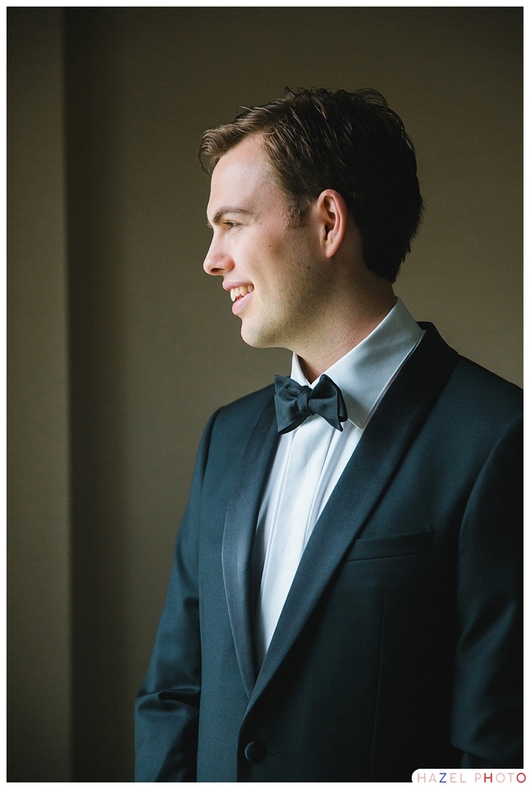 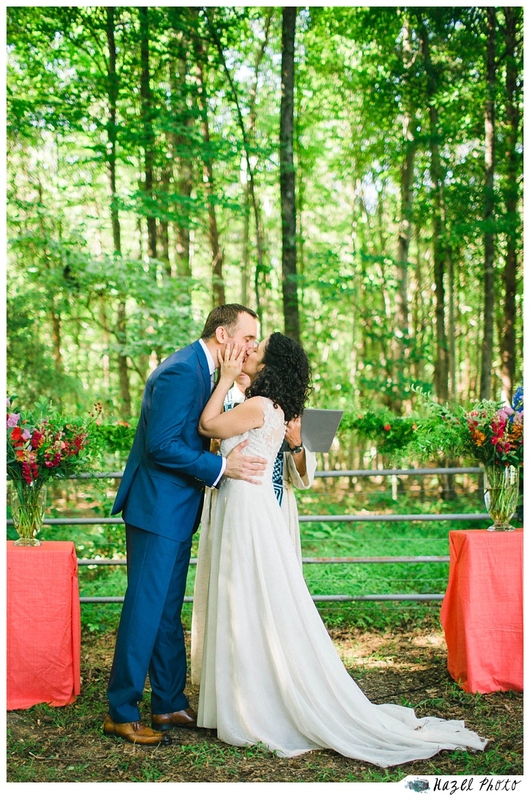 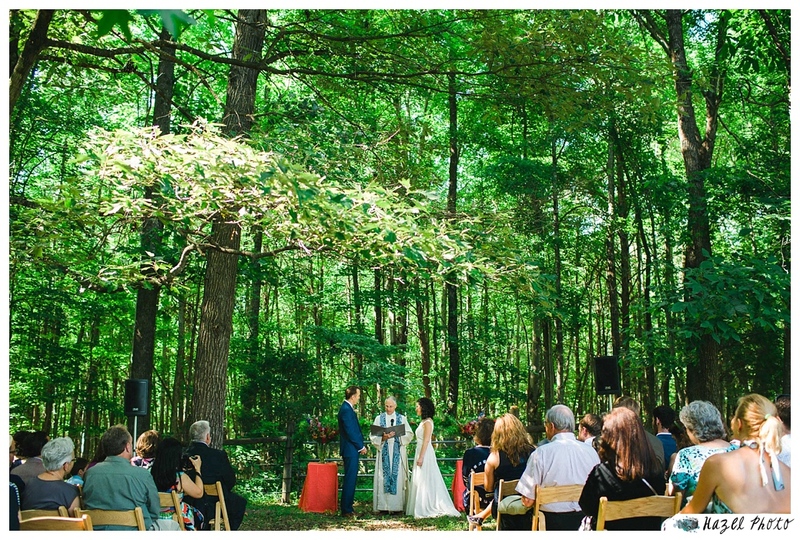 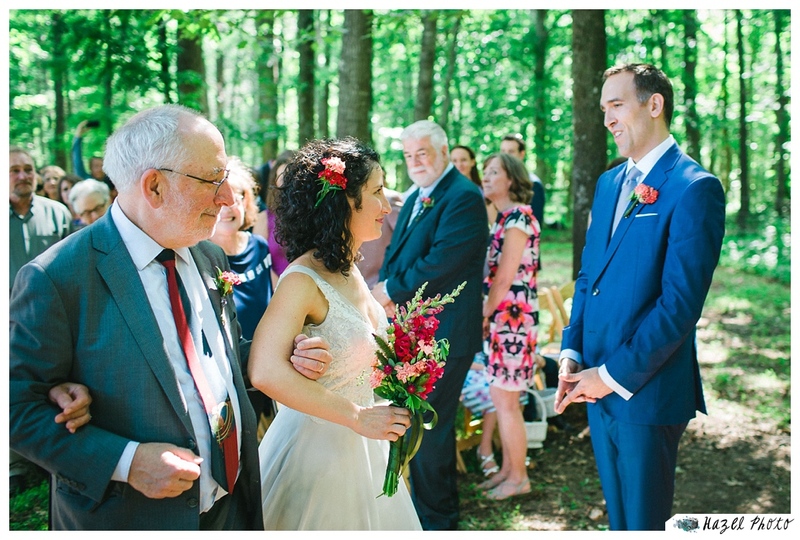 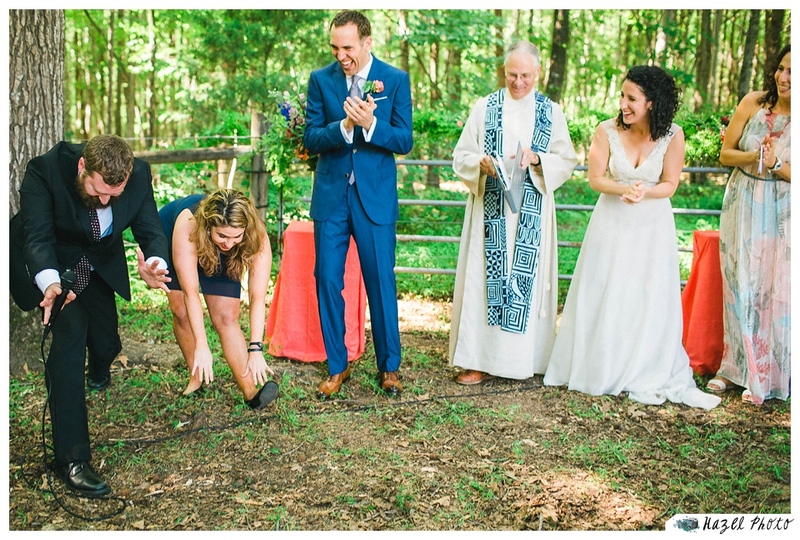 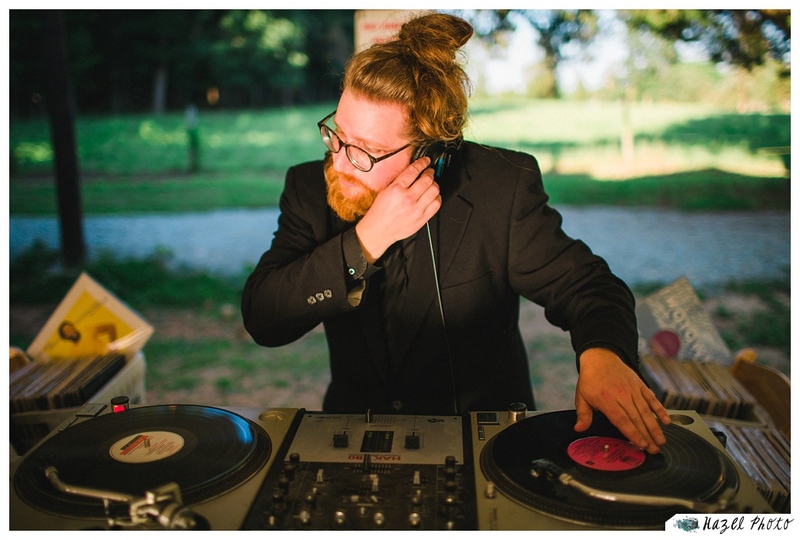 The ceremony was held on the far side of a sun-drenched field under the shade of a gorgeous stand of trees at the edge of a forest. 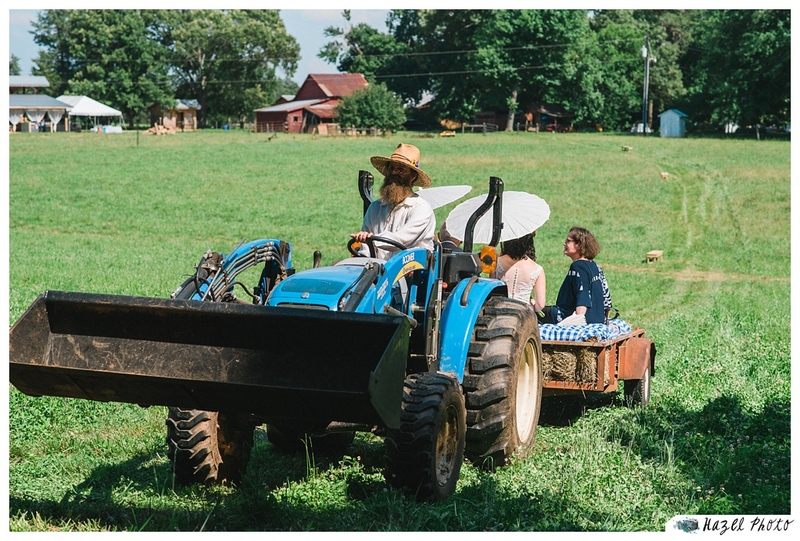 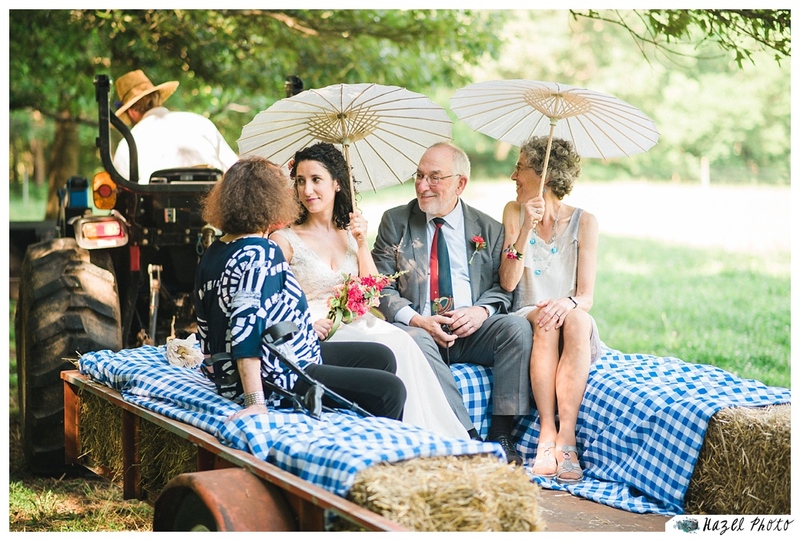 Amelia and her family made their way across the field on the back of a tractor with parasols for cover. 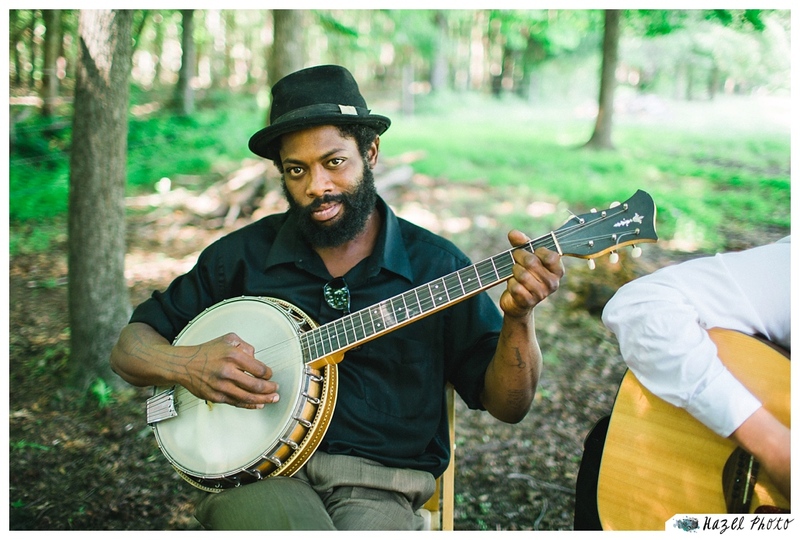 They were met with old time banjo music. 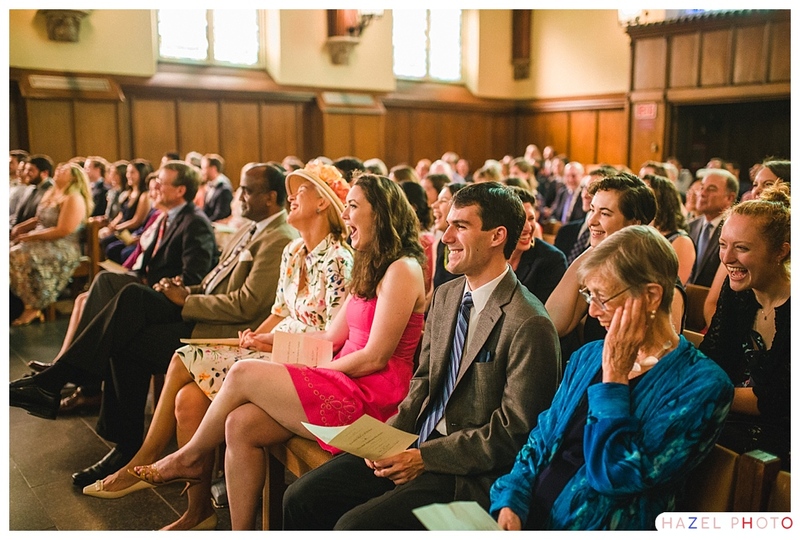 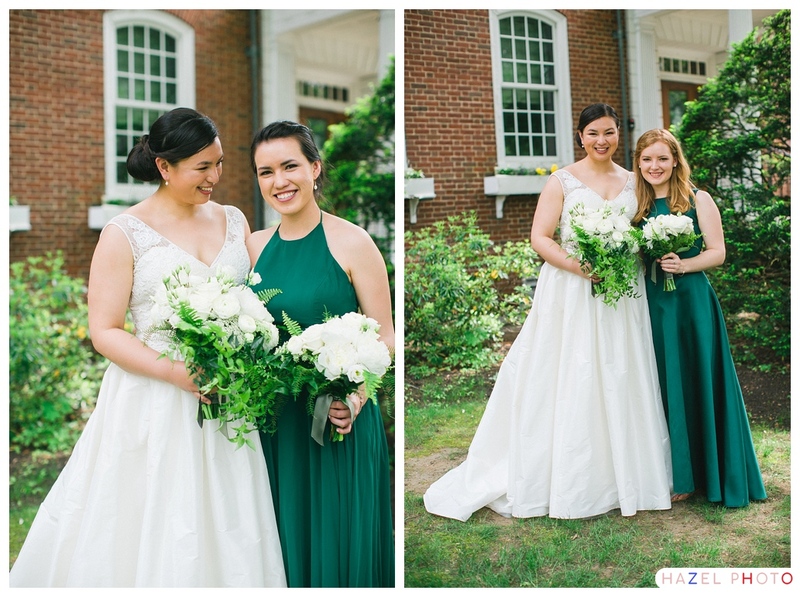 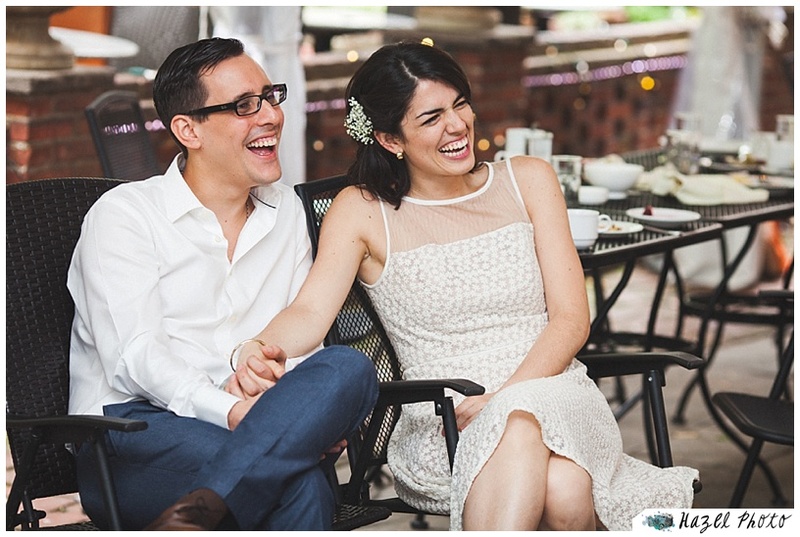 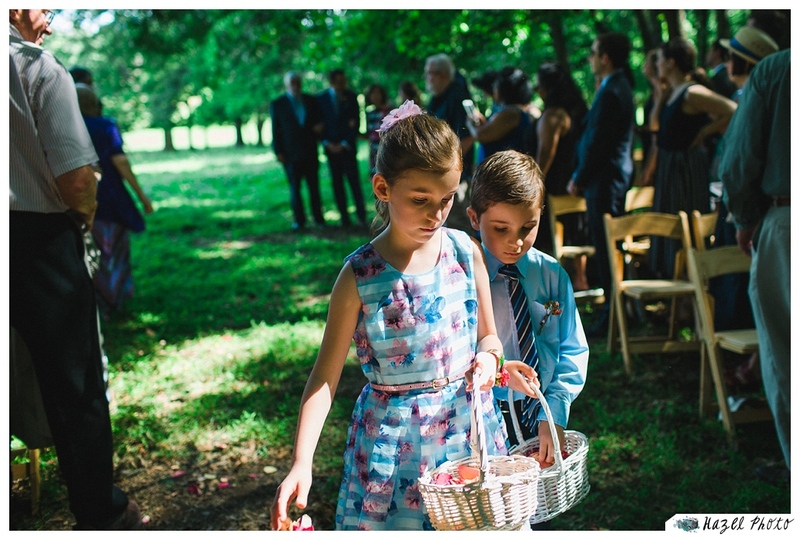 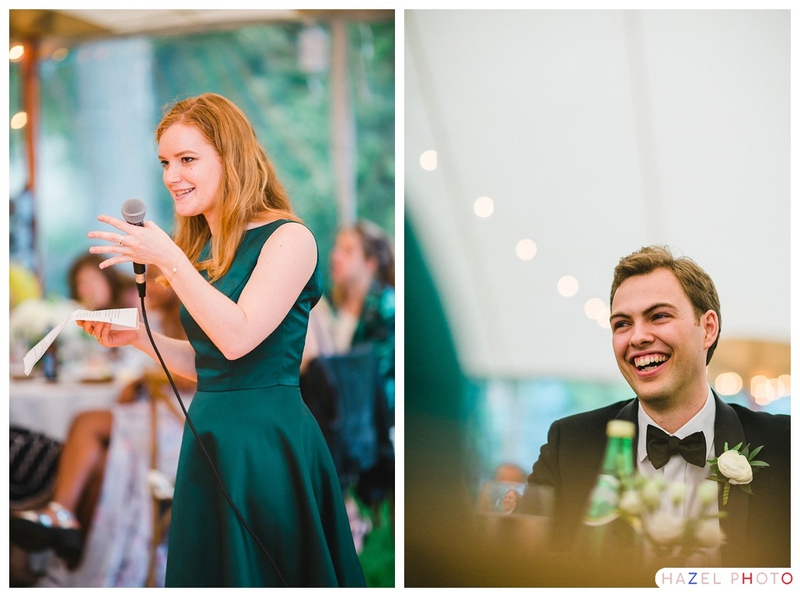 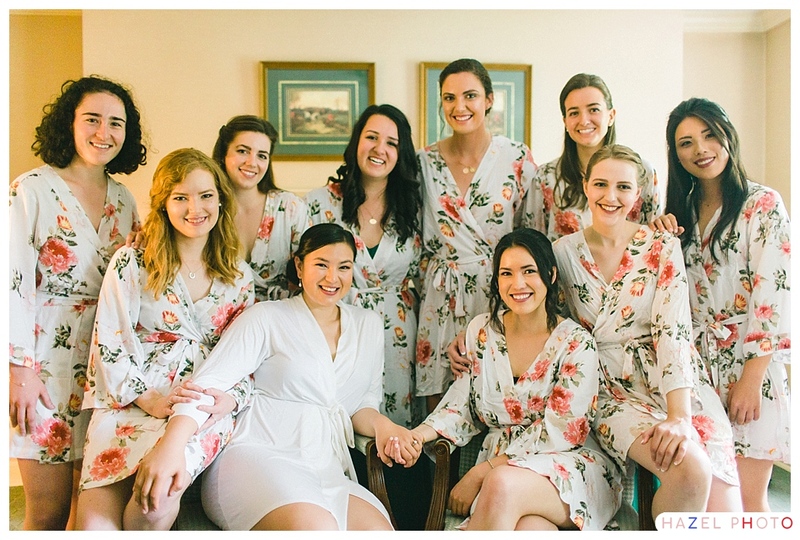 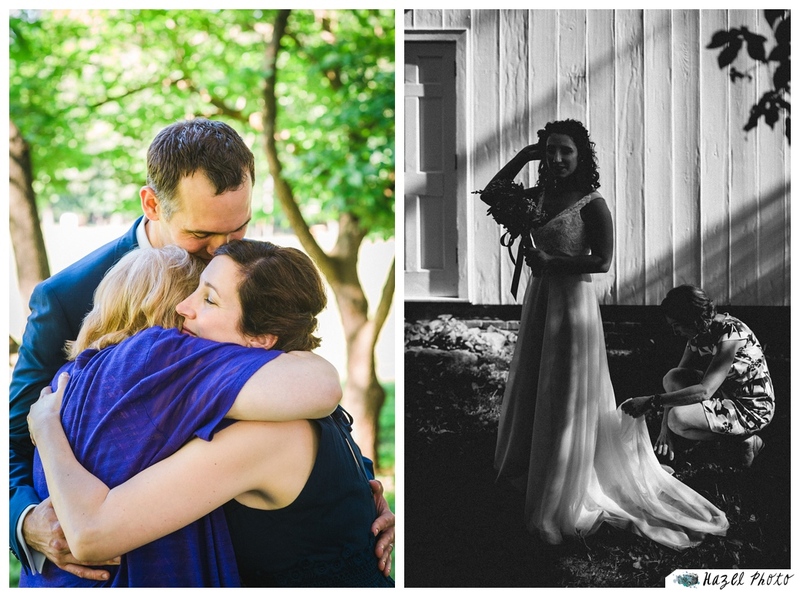 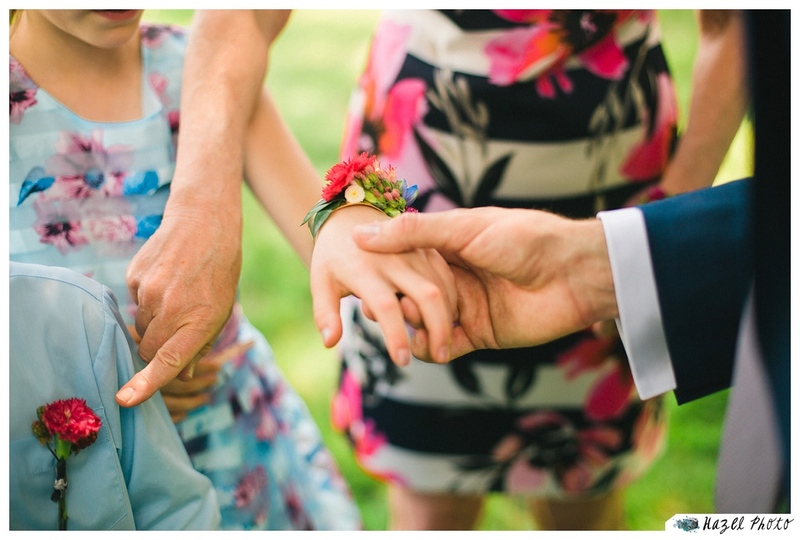 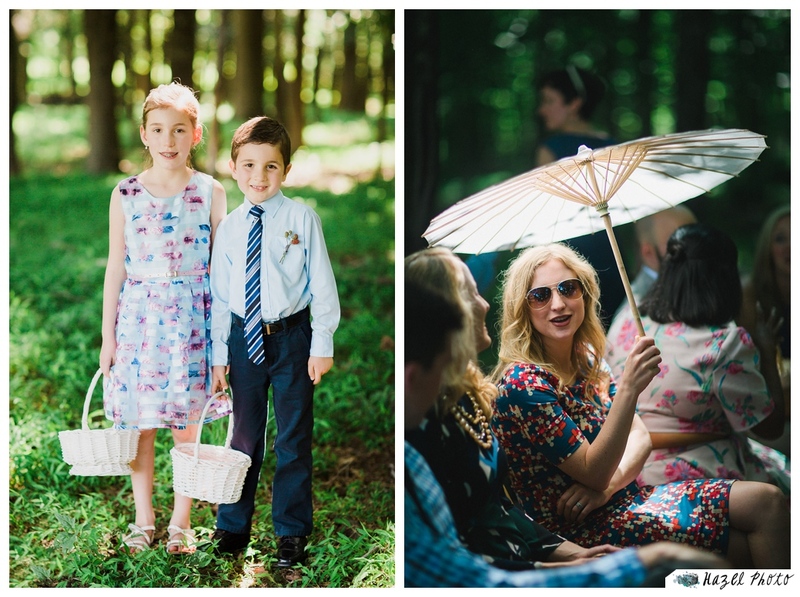 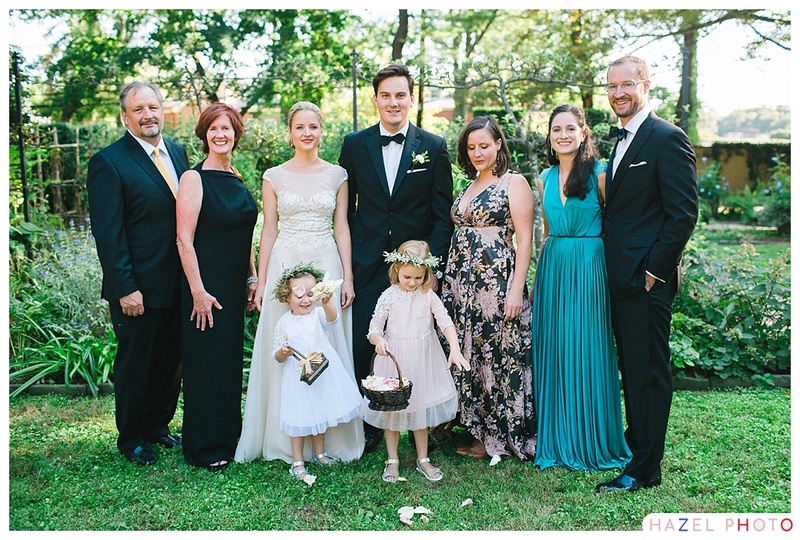 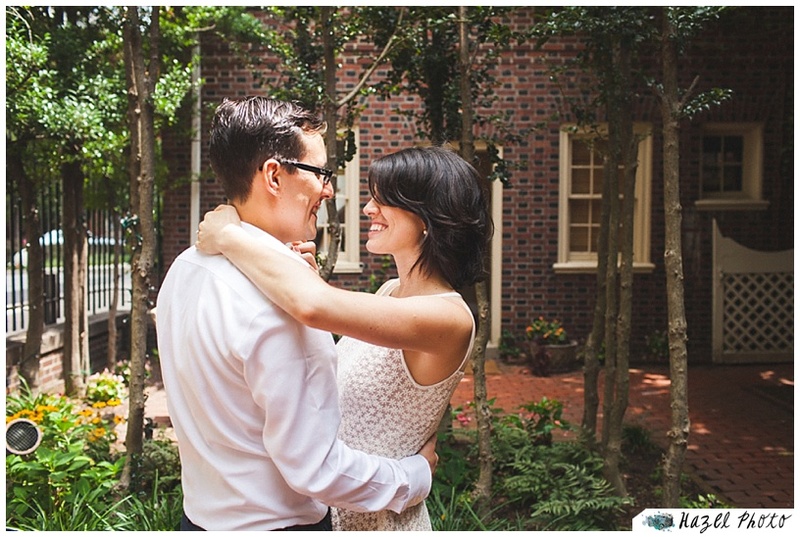 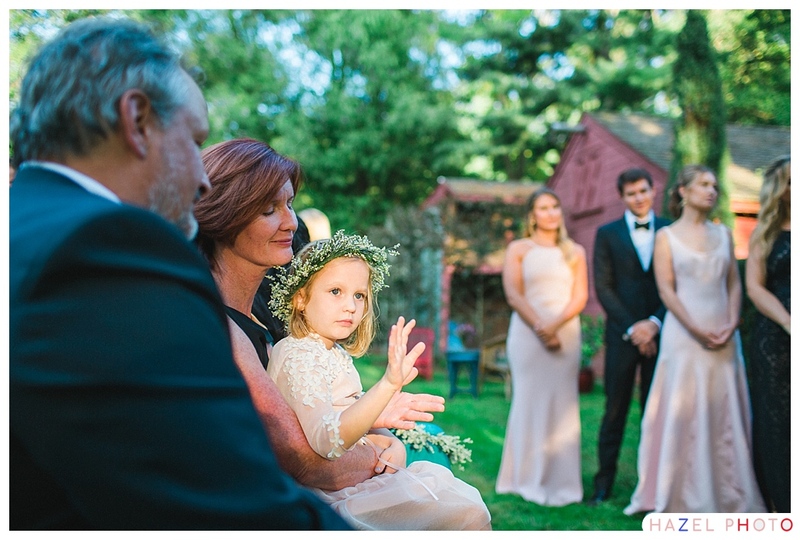 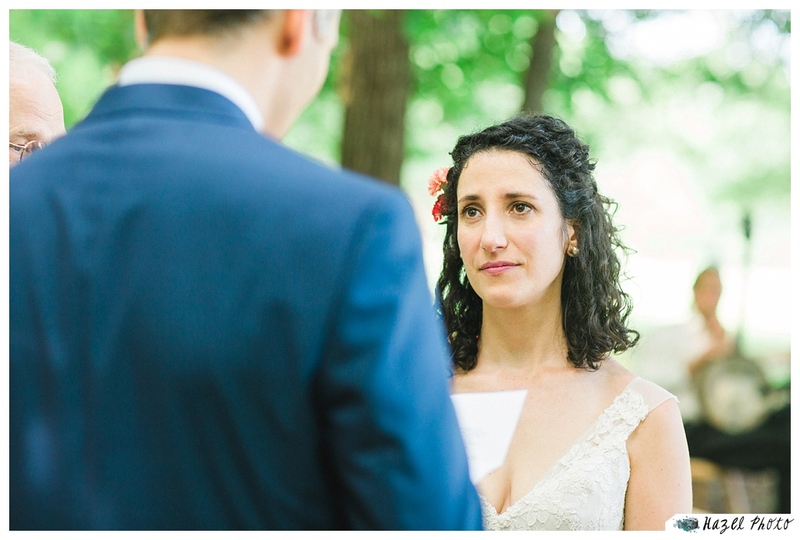 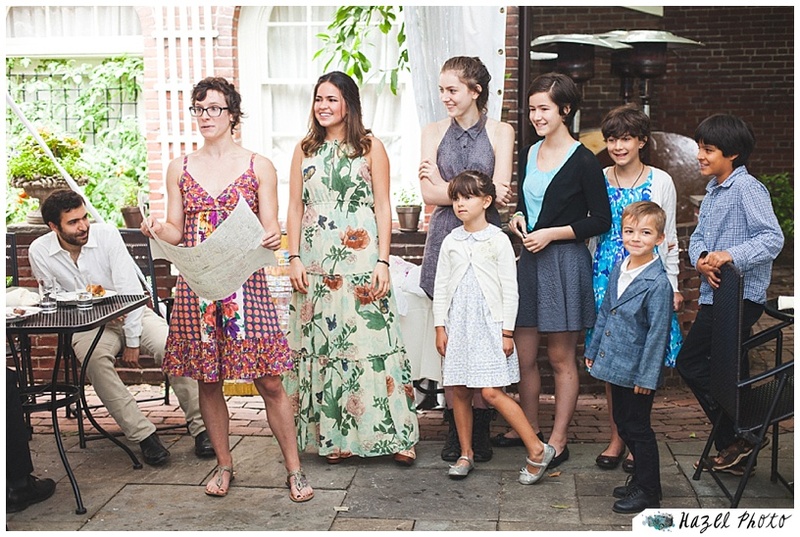 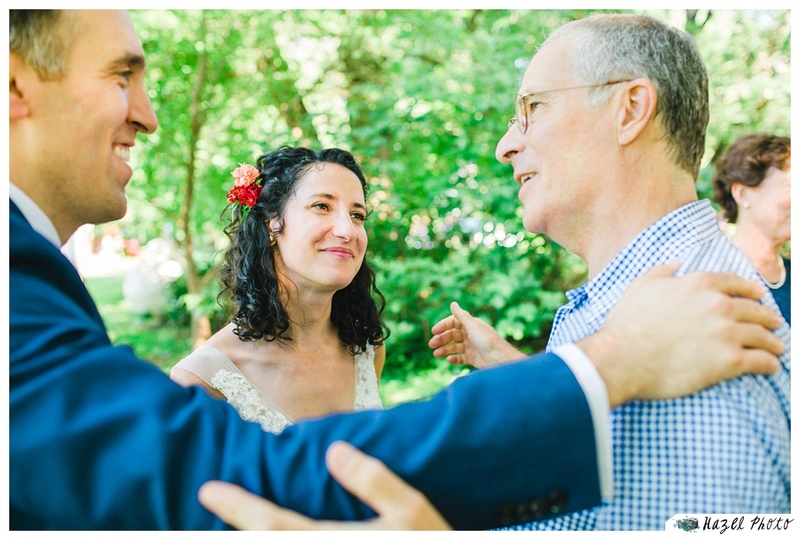 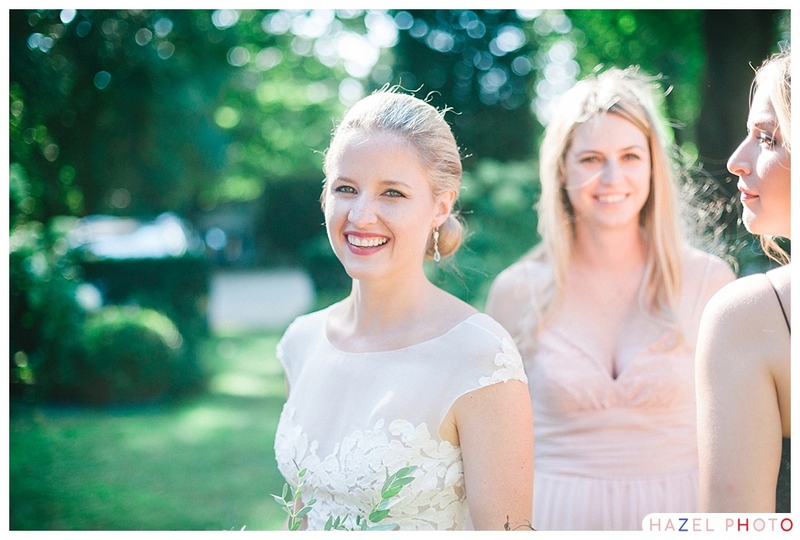 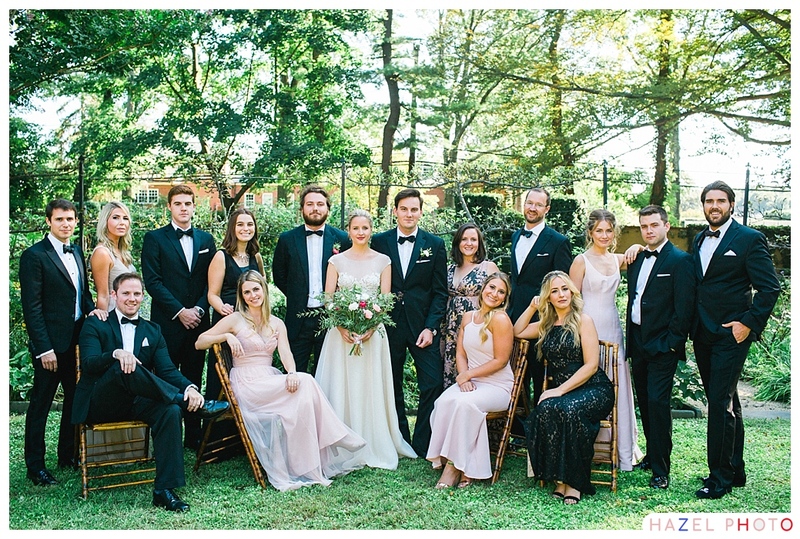 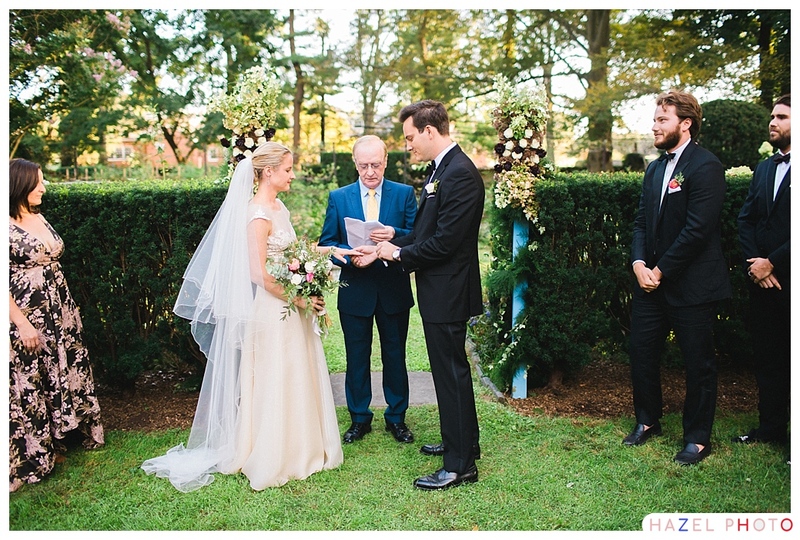 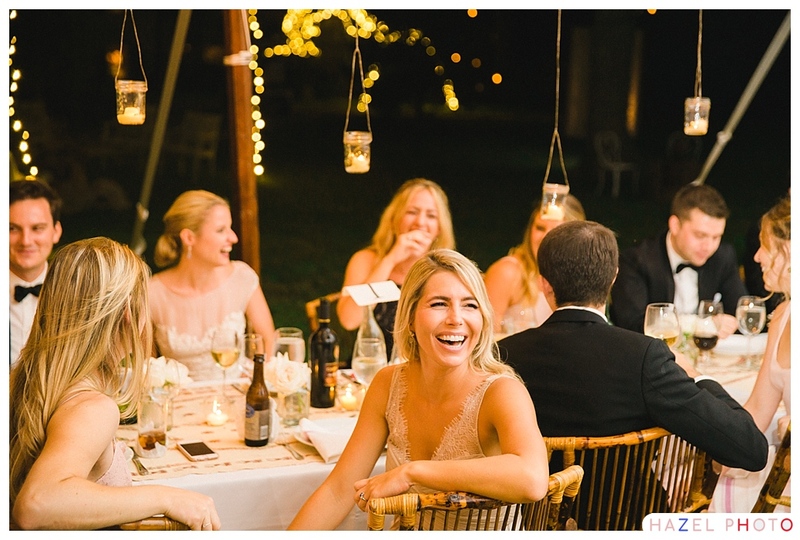 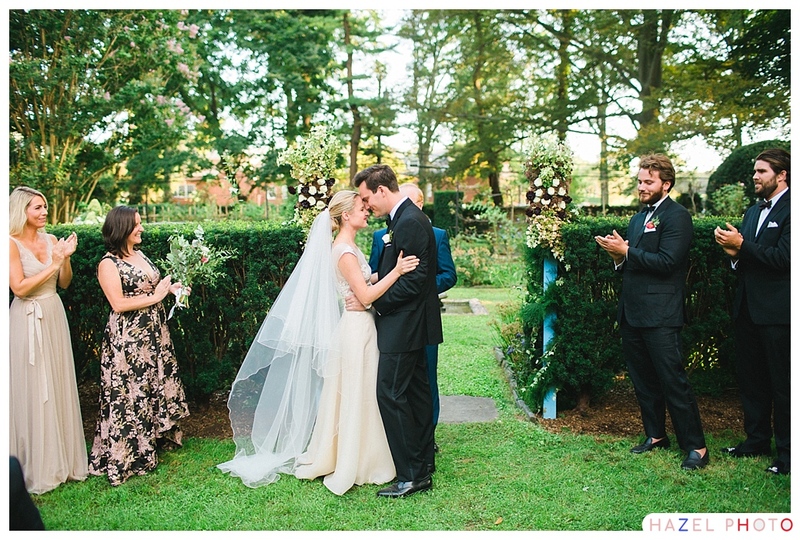 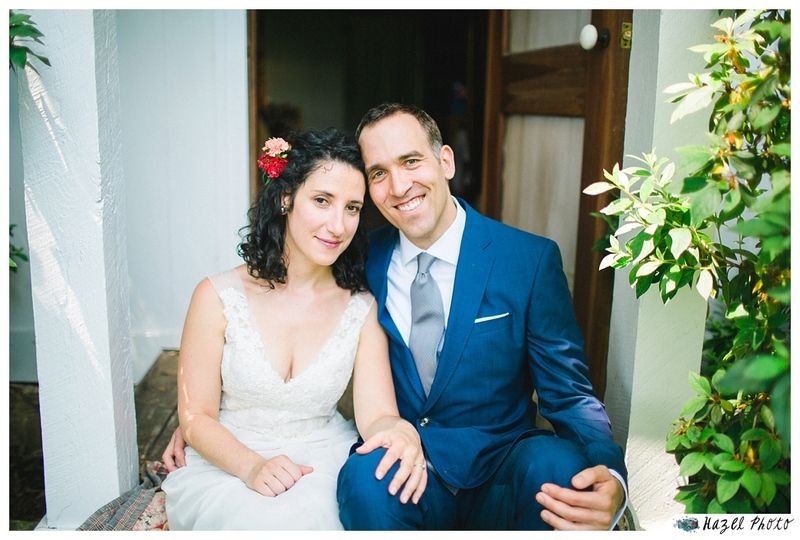 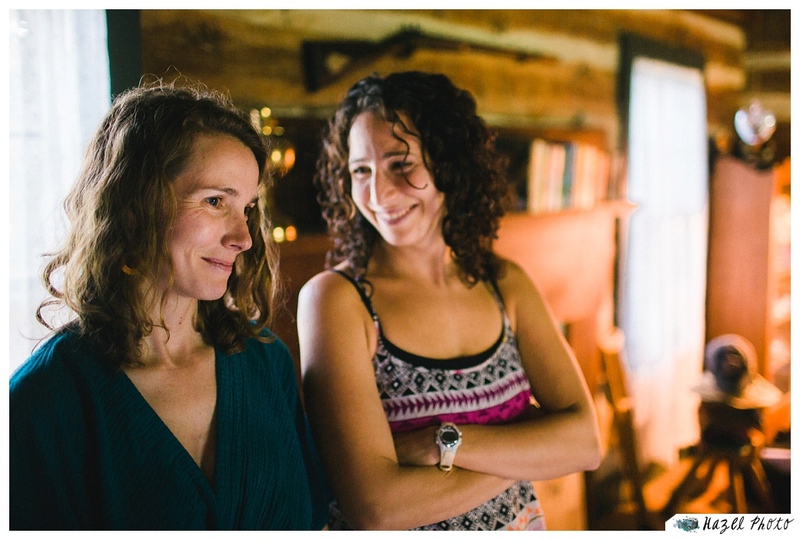 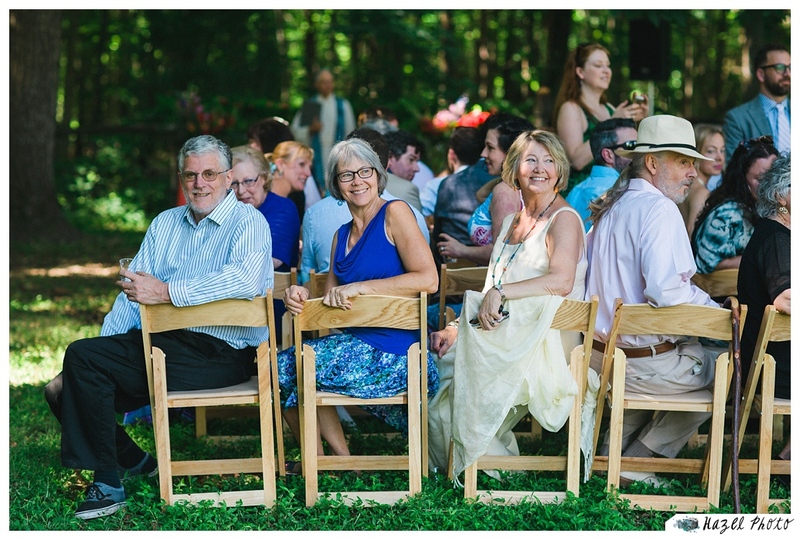 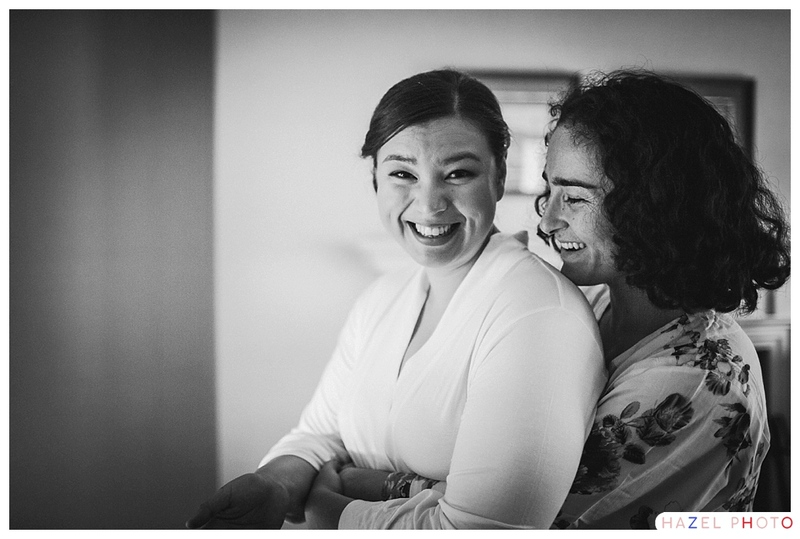 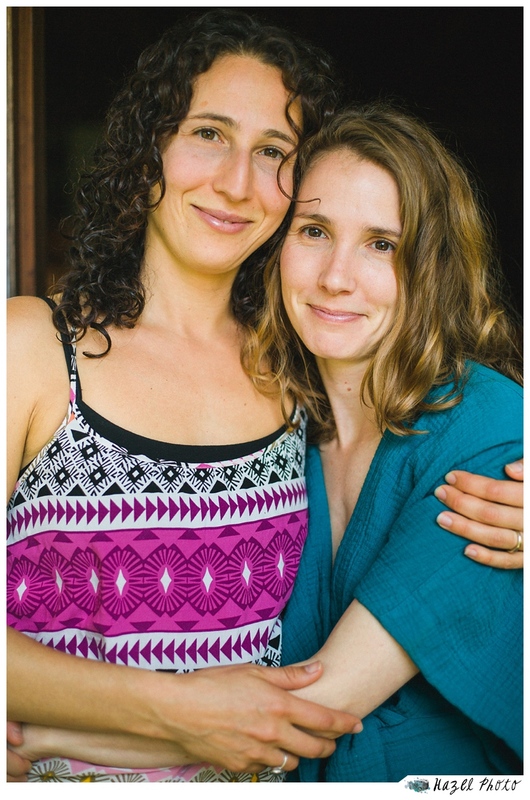 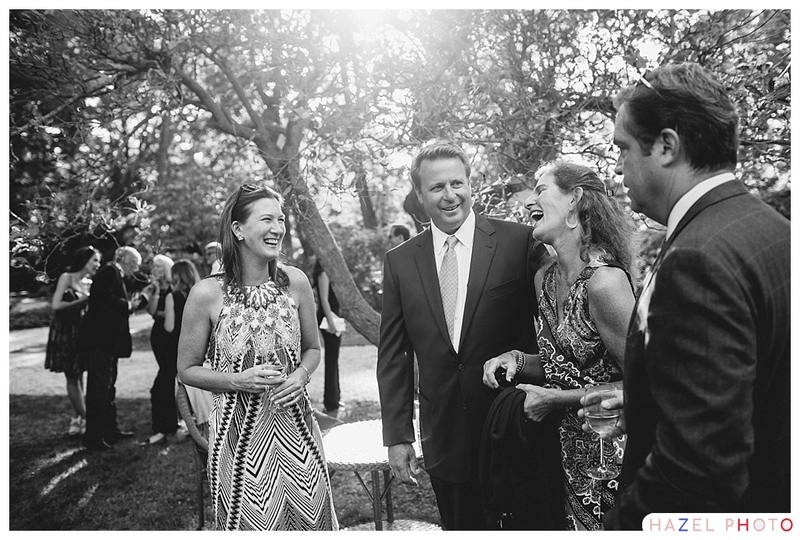 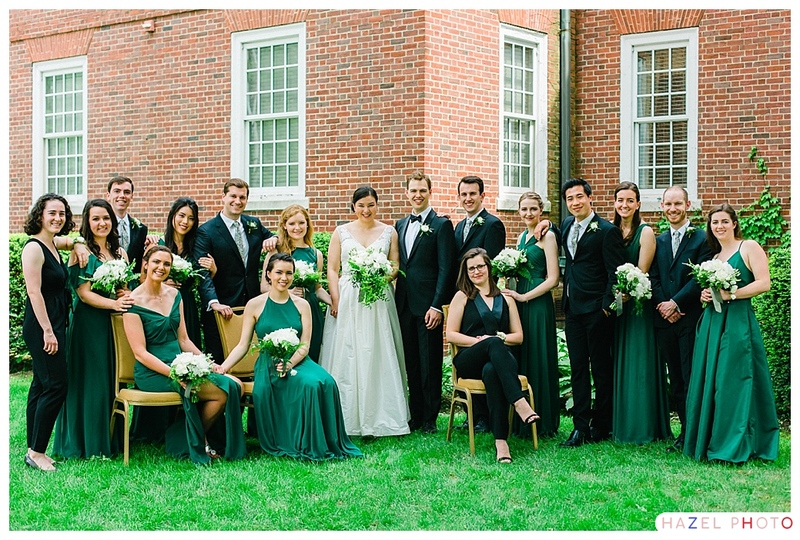 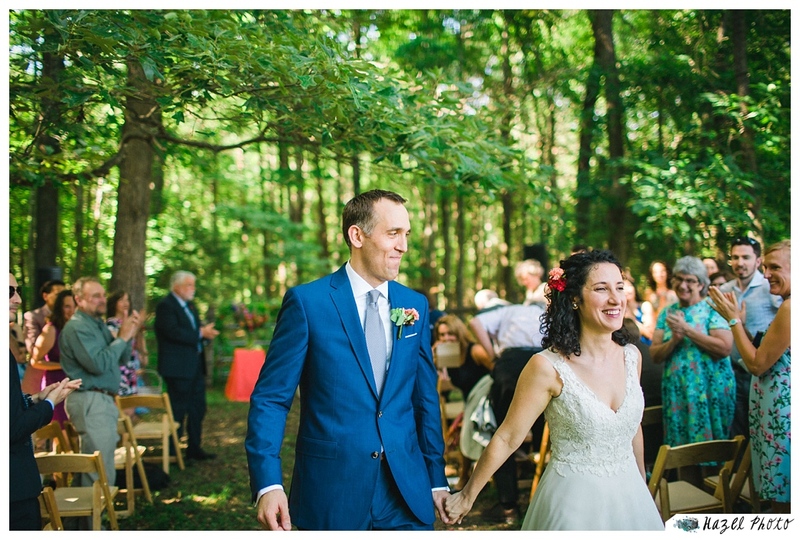 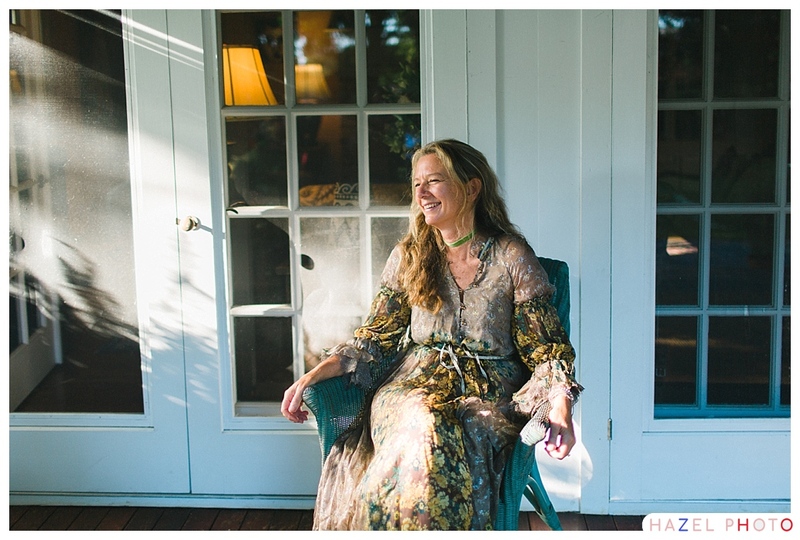 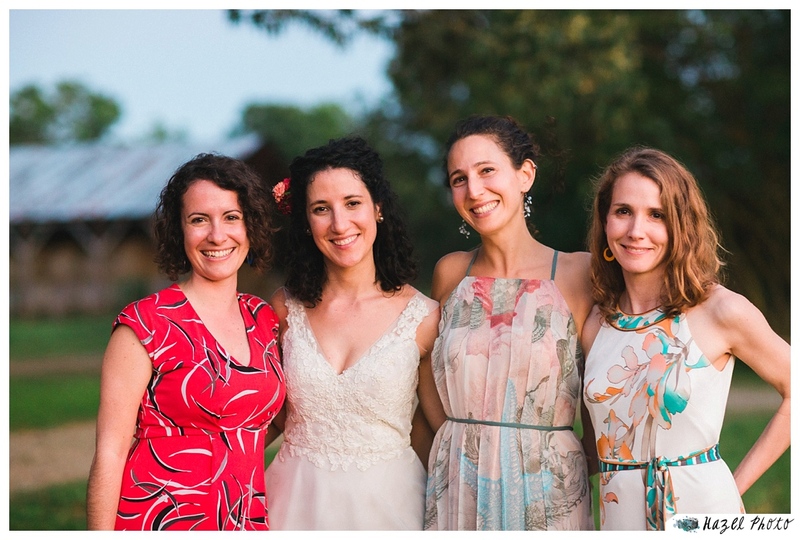 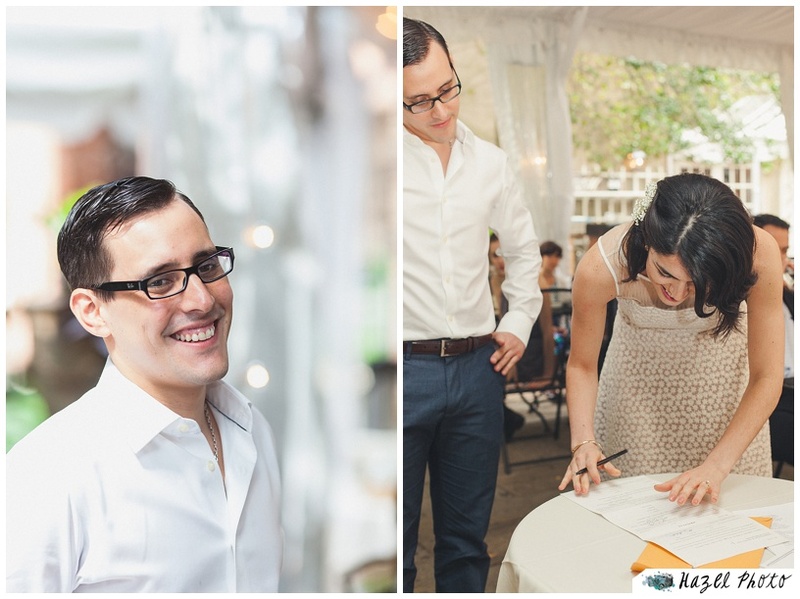 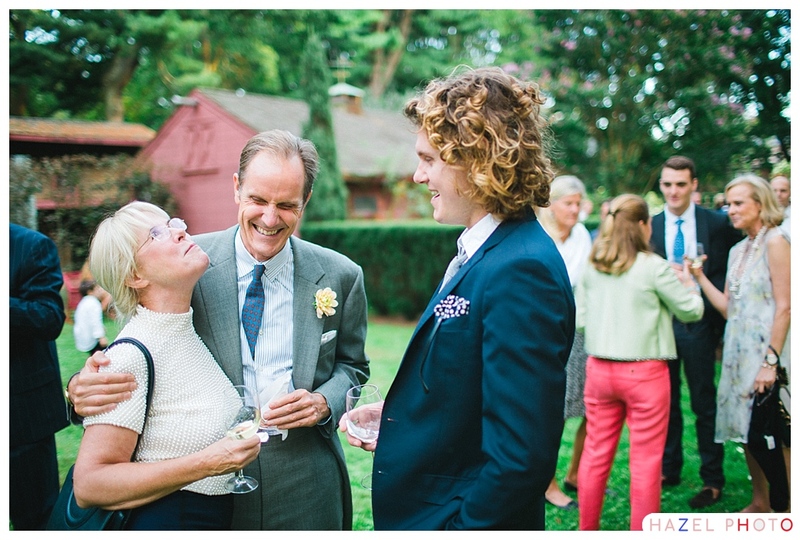 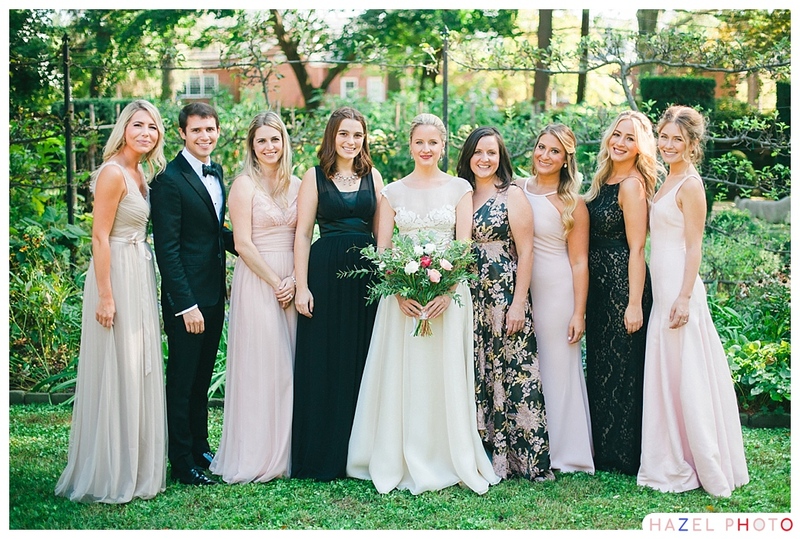 Nestled into the shade, Amelia and Mark’s friends and family shared readings and laughter. 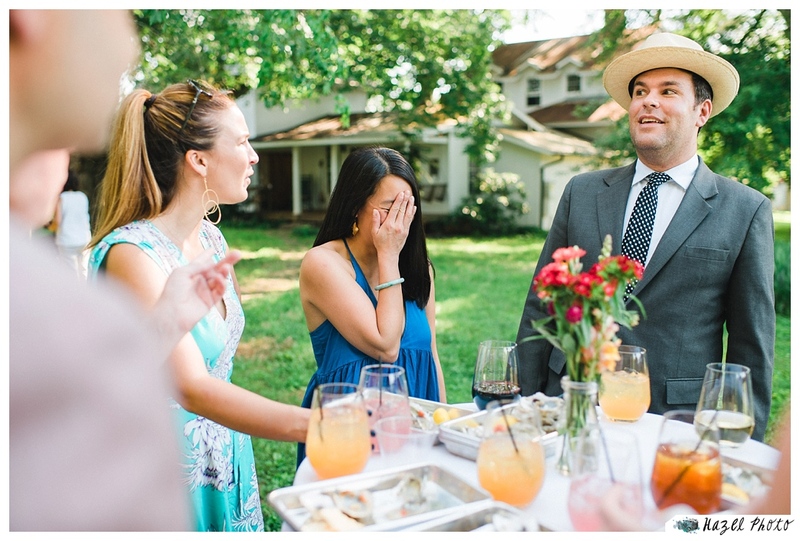 During cocktail hour guests sheltered from the sun under parasols and ate oysters. 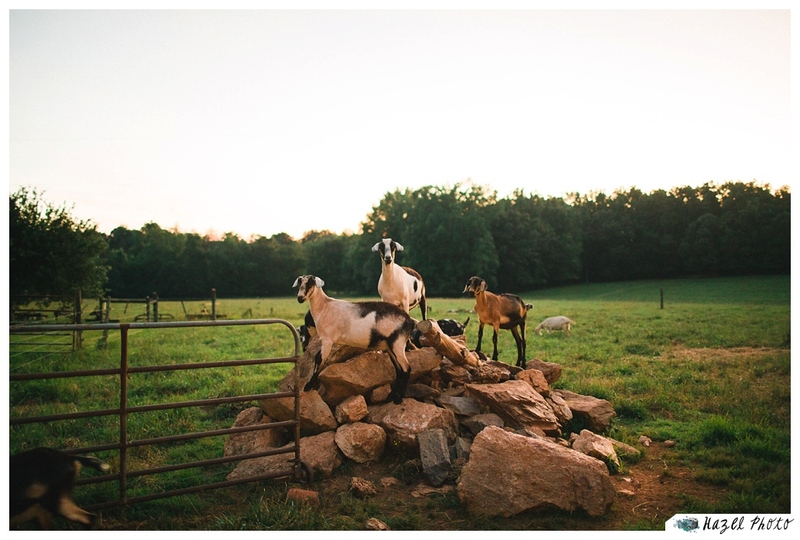 The barbecue dinner was scrumptious, the dancing lively, and the goats came out for a romp in the gloaming. 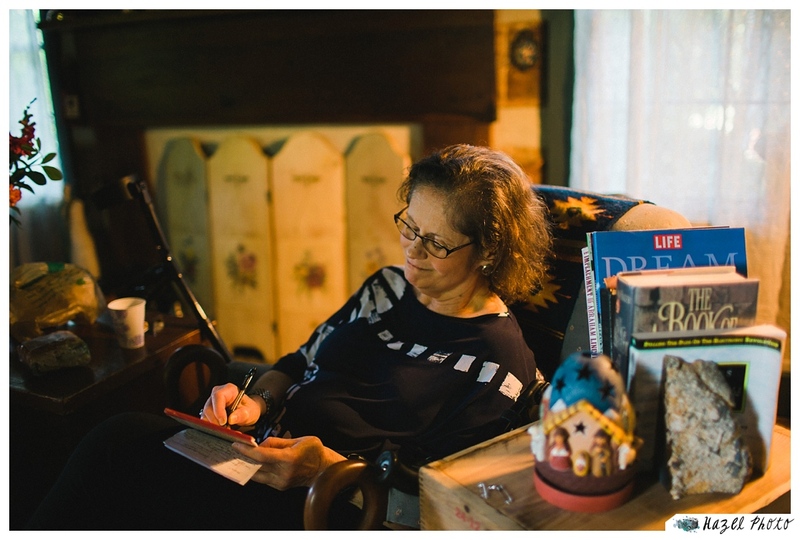 It was a storybook day that I was honored to document. 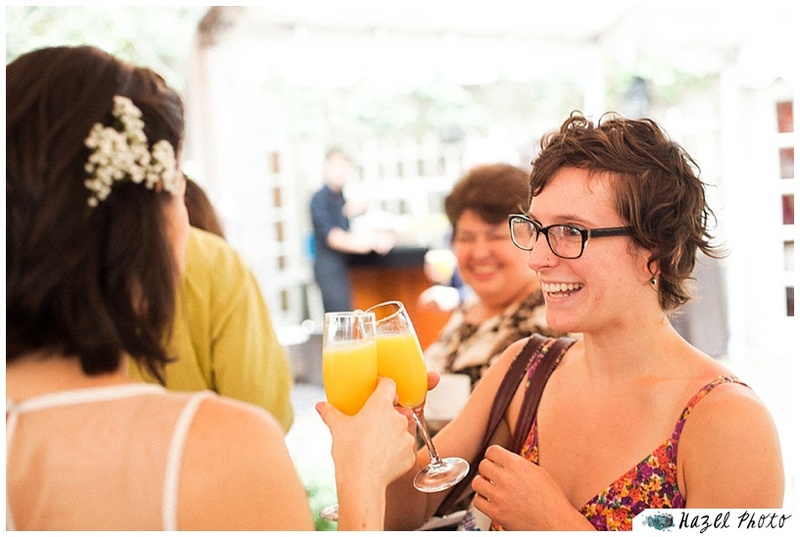 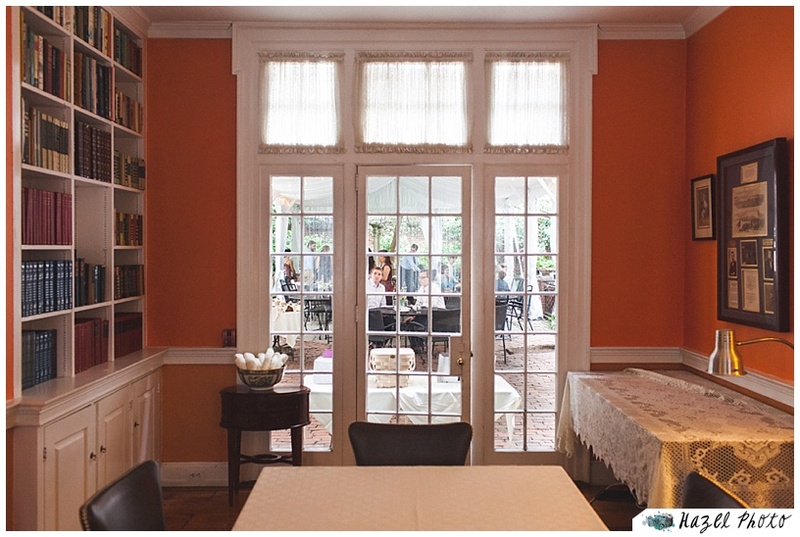 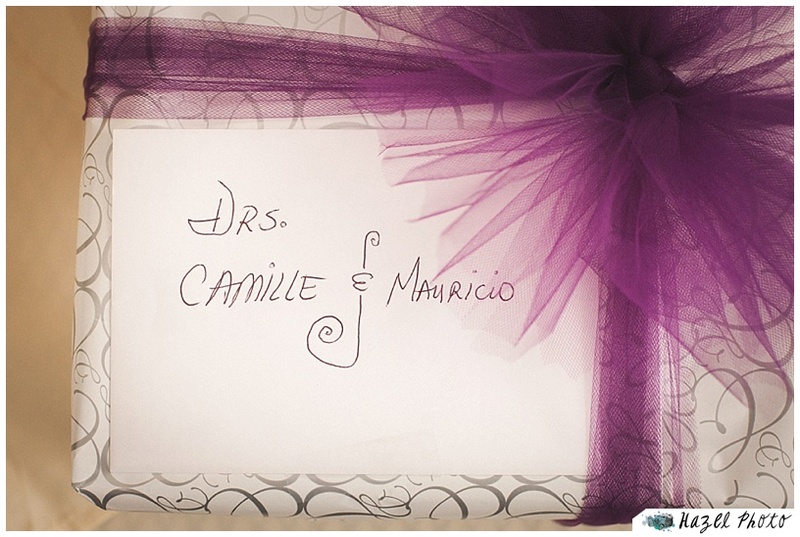 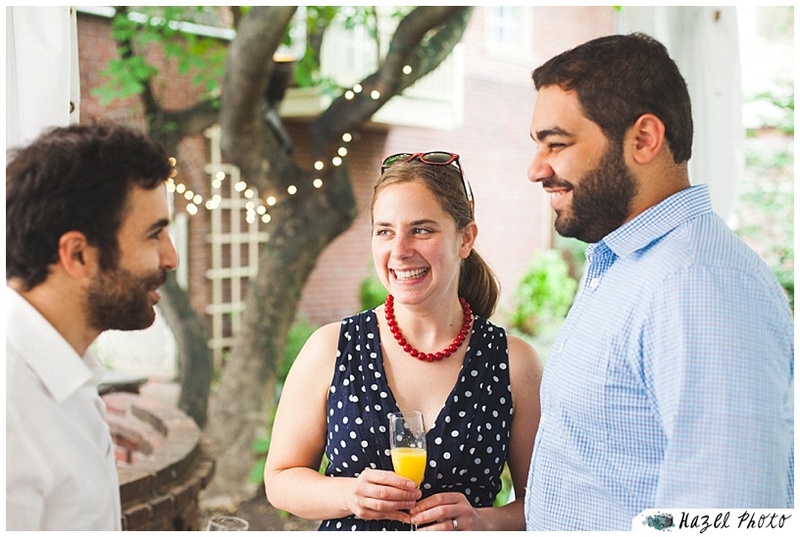 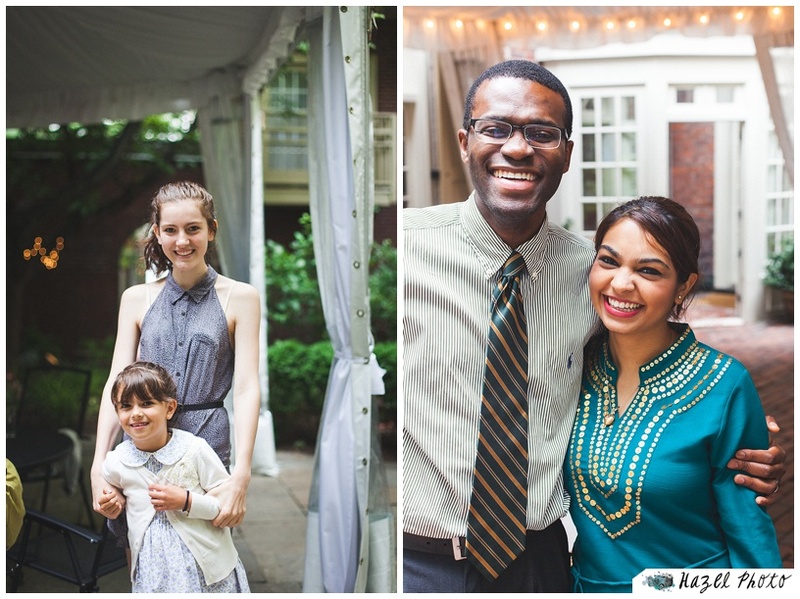 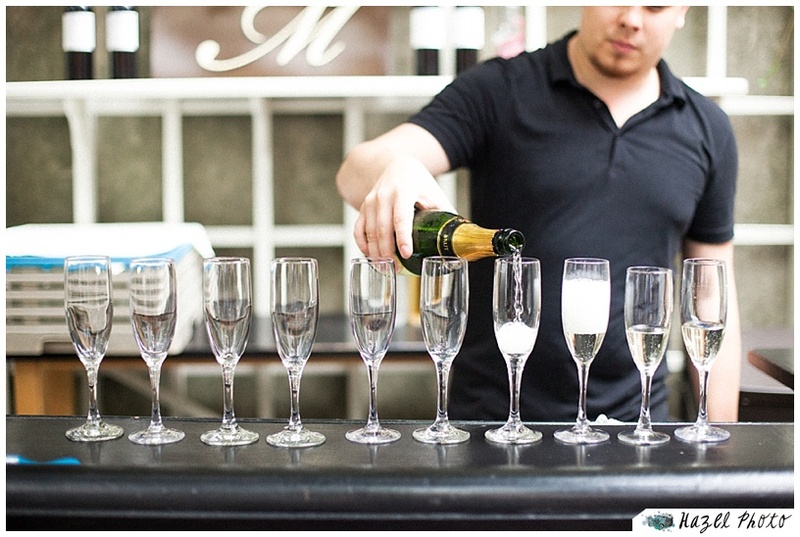 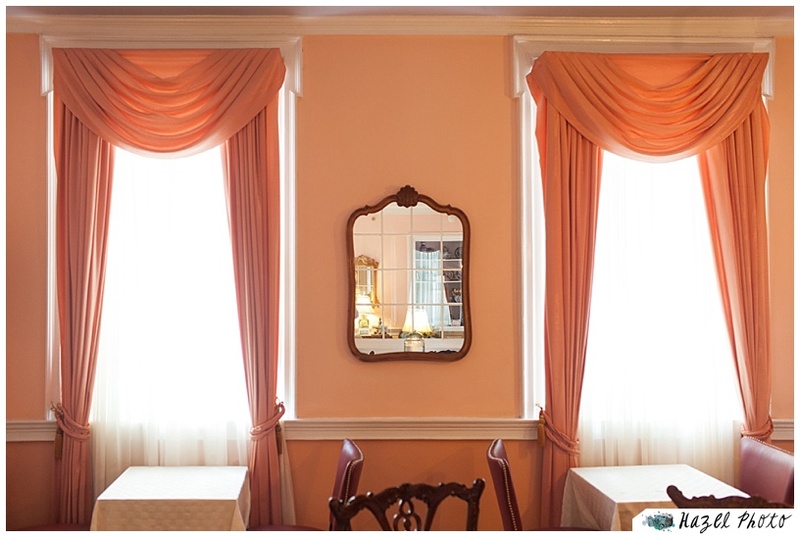 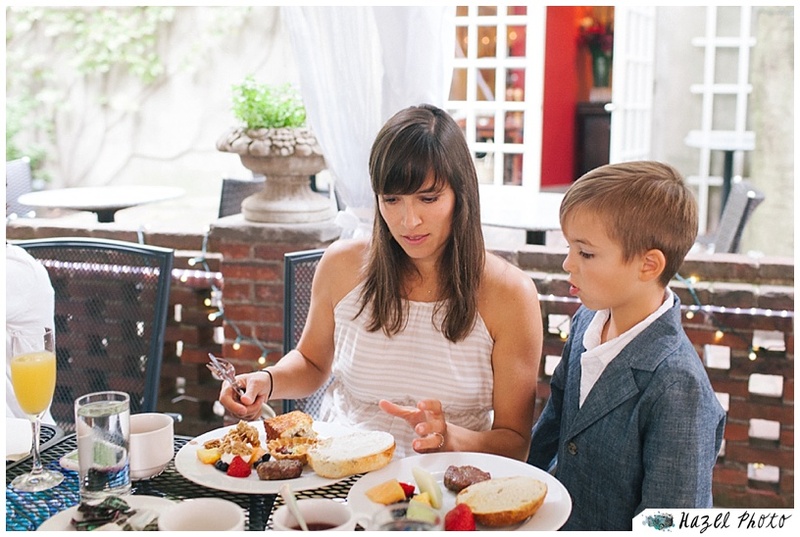 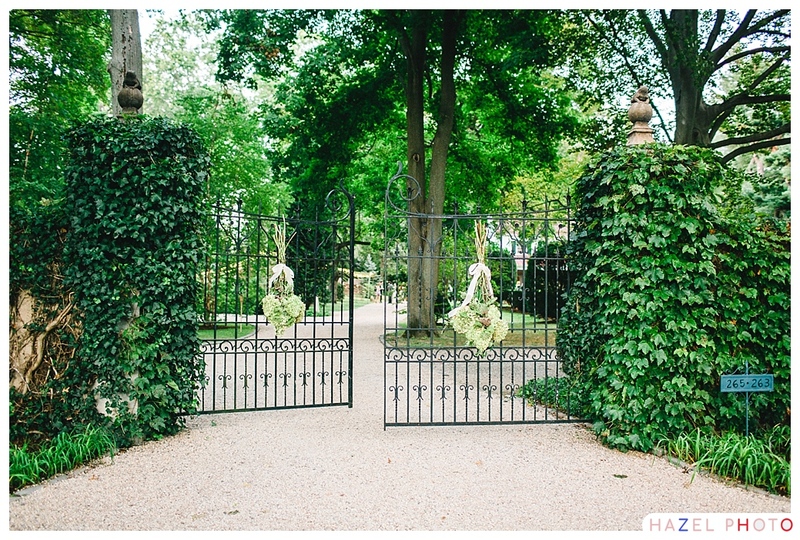 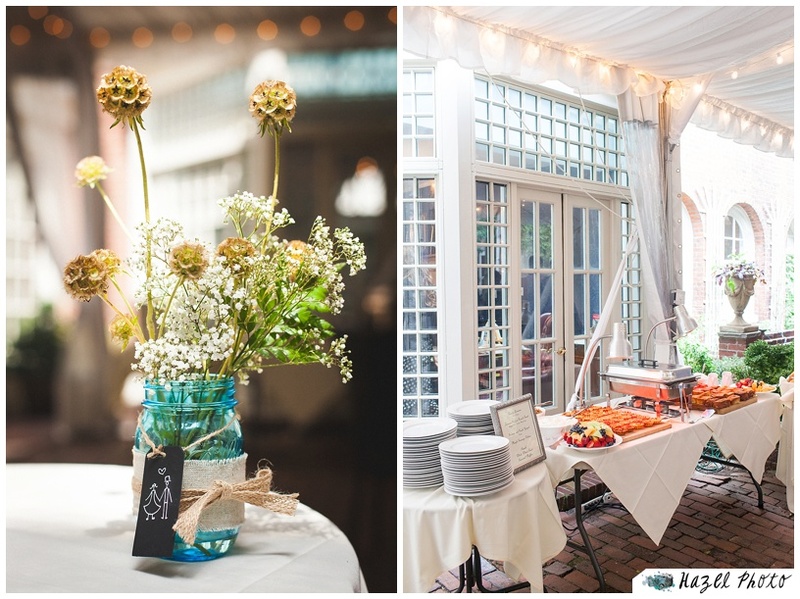 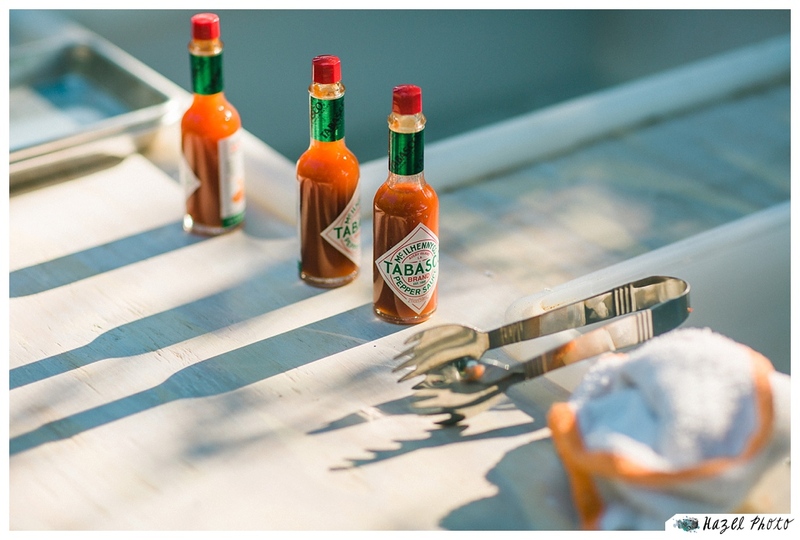 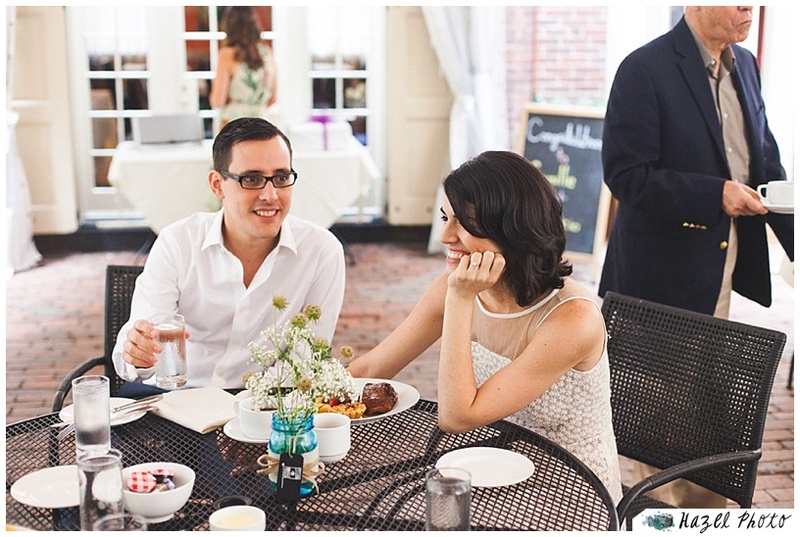 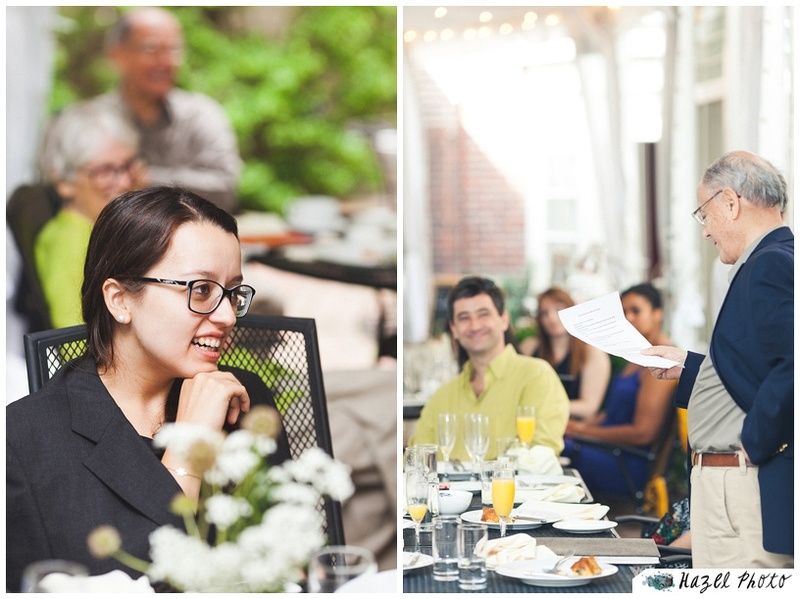 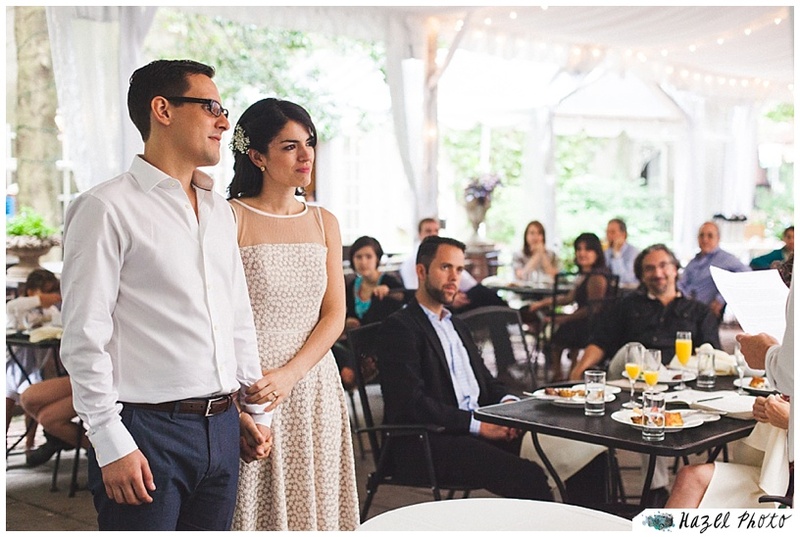 Catering: ACME Food & Beverage Co.
Camille & Mauricio had a delightful Brunch wedding at Philadelphia’s Morris House Hotel. 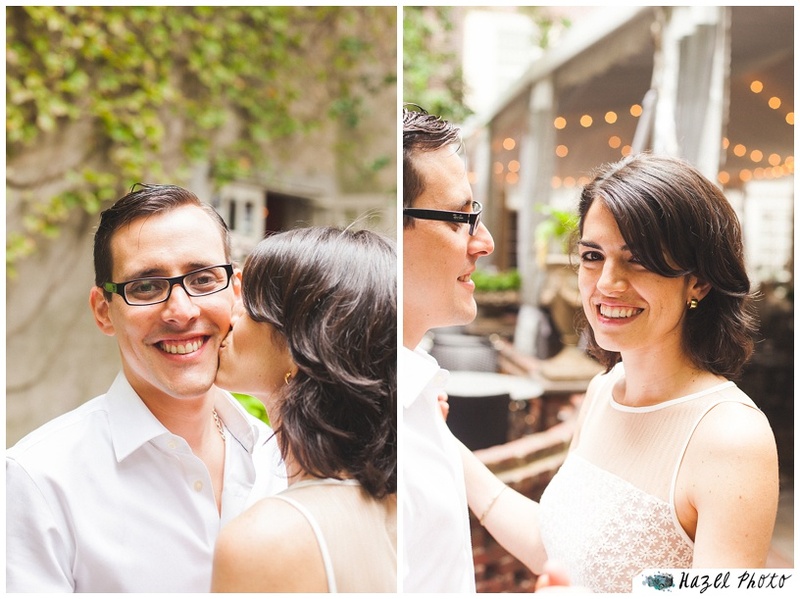 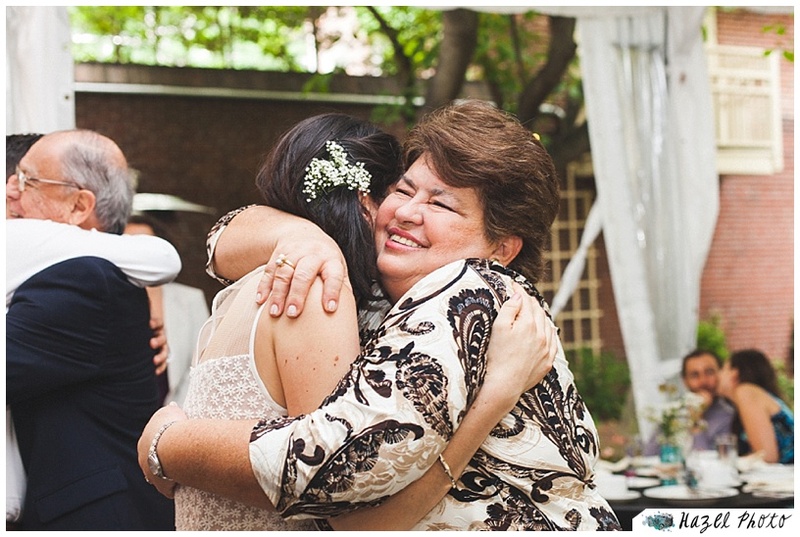 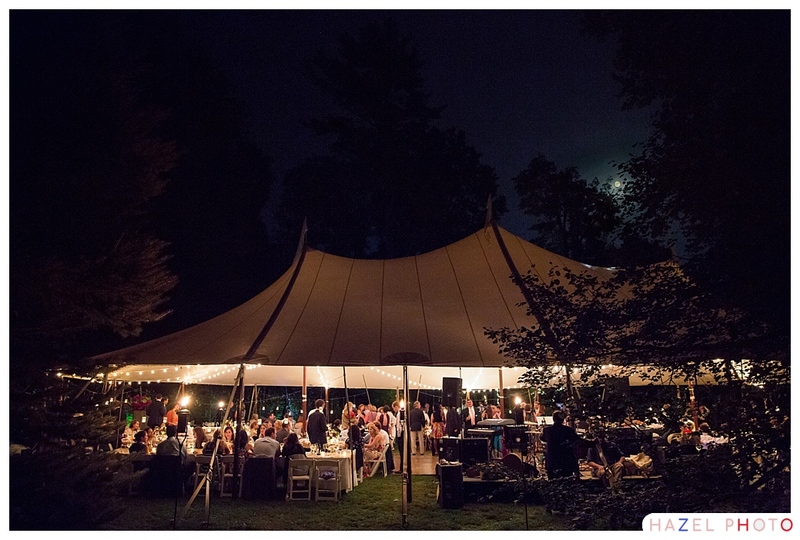 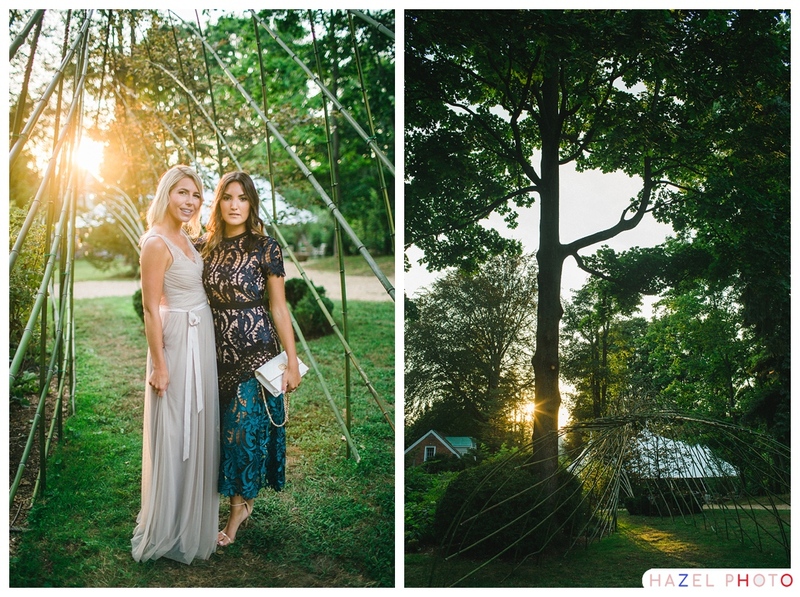 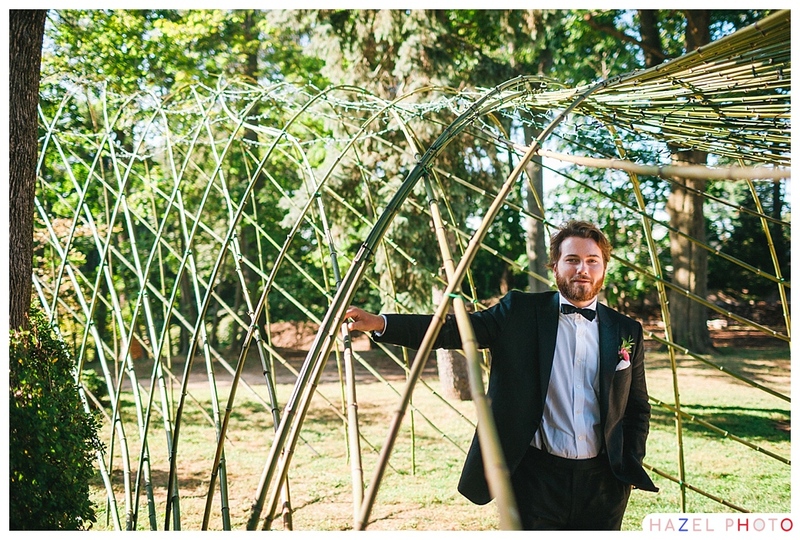 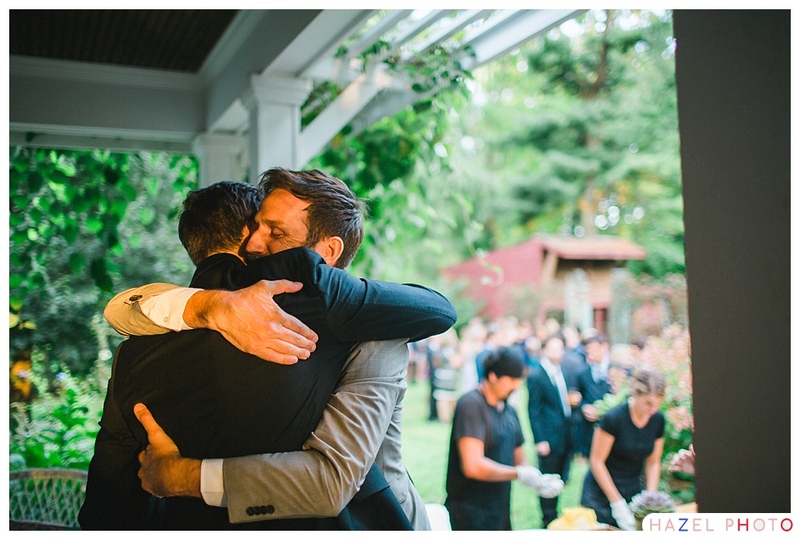 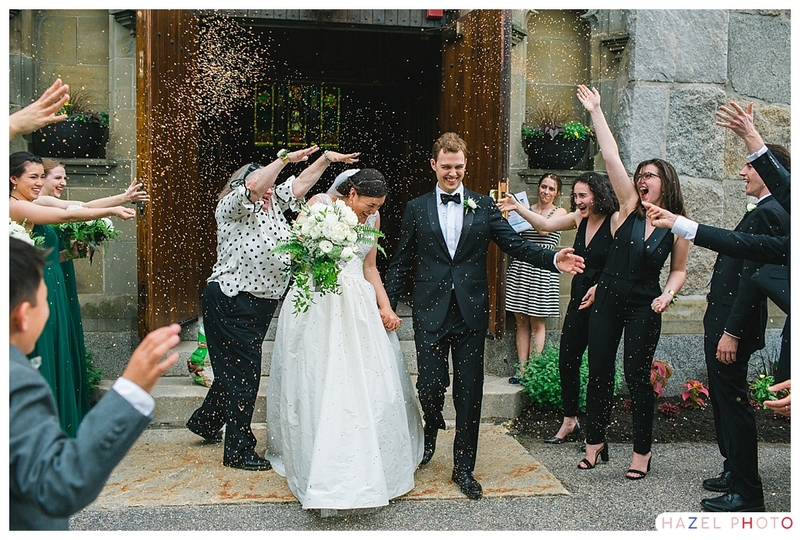 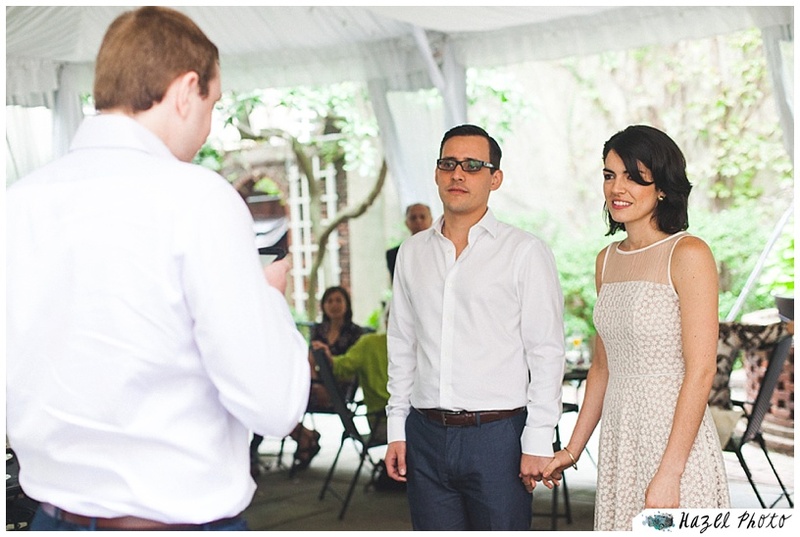 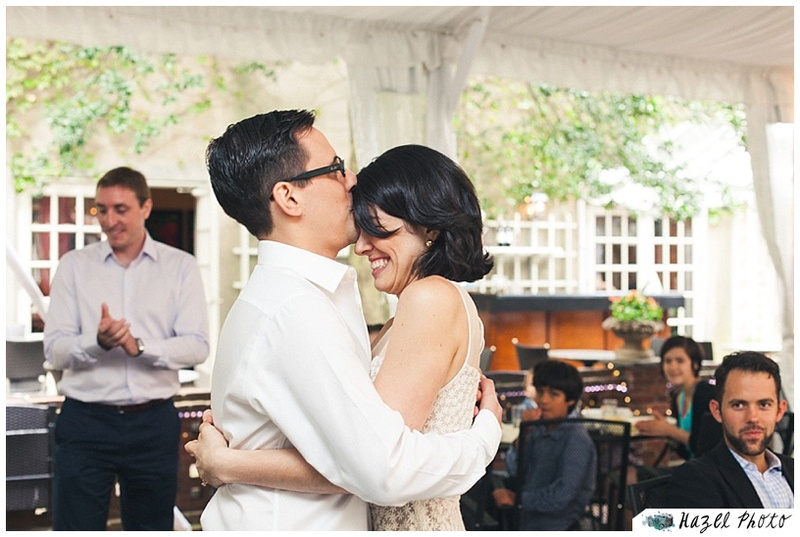 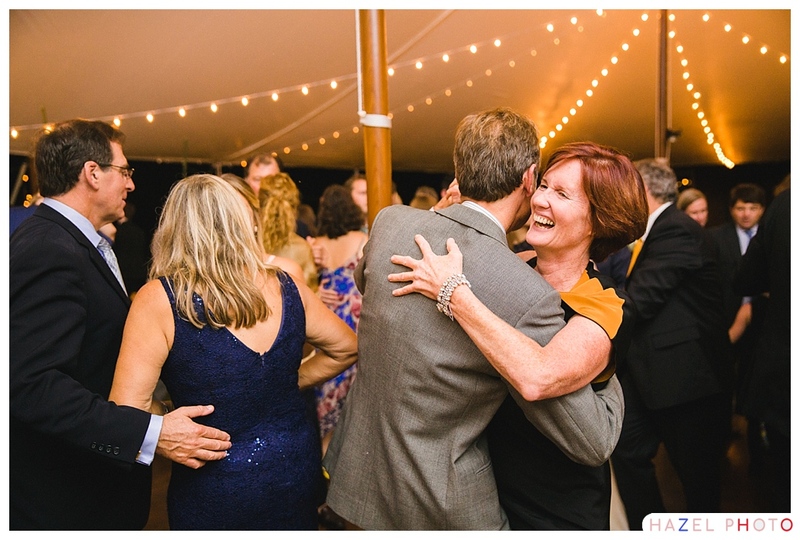 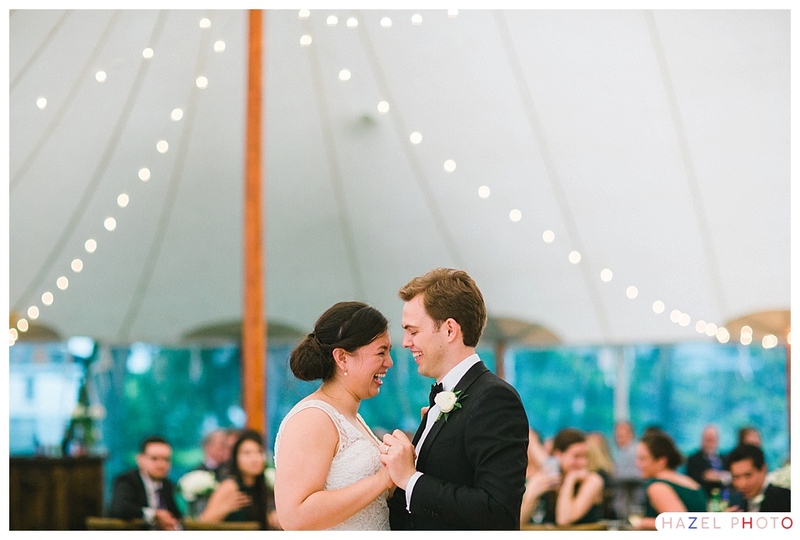 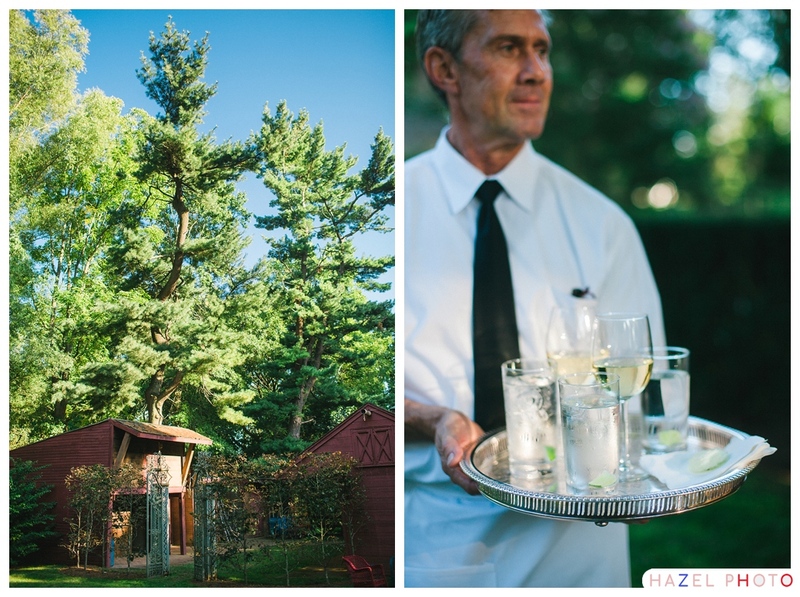 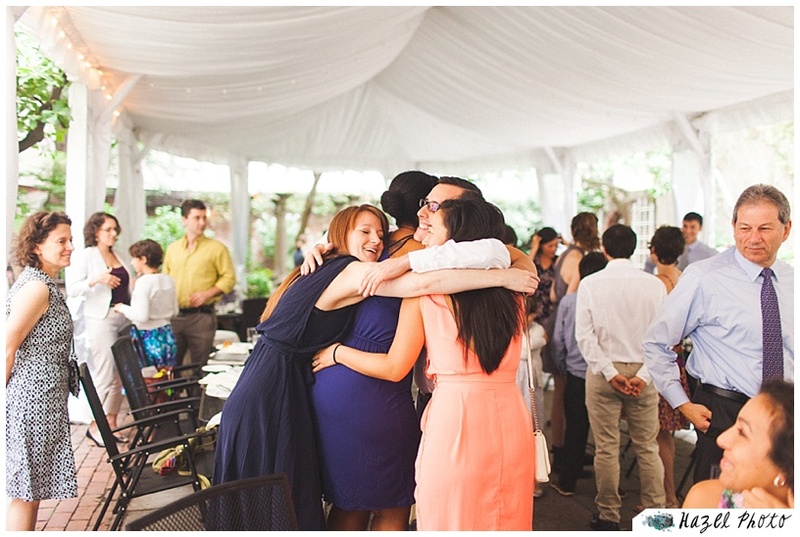 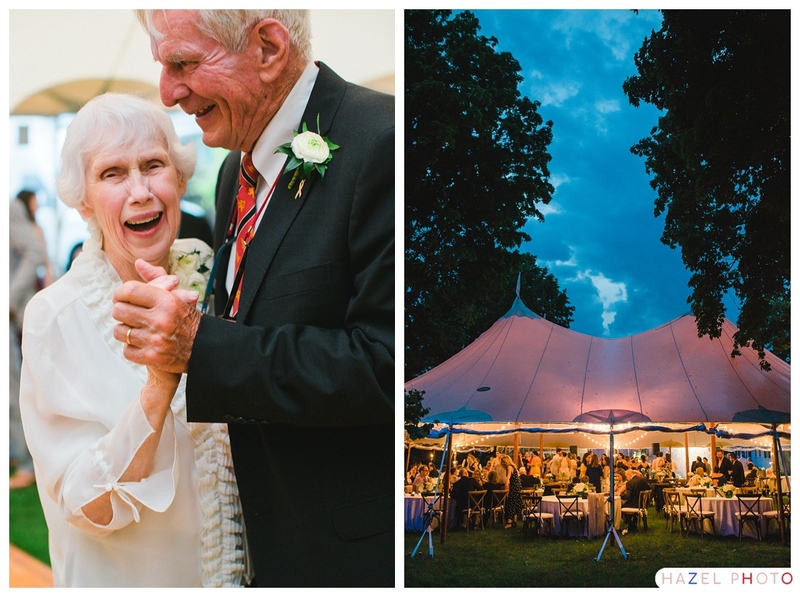 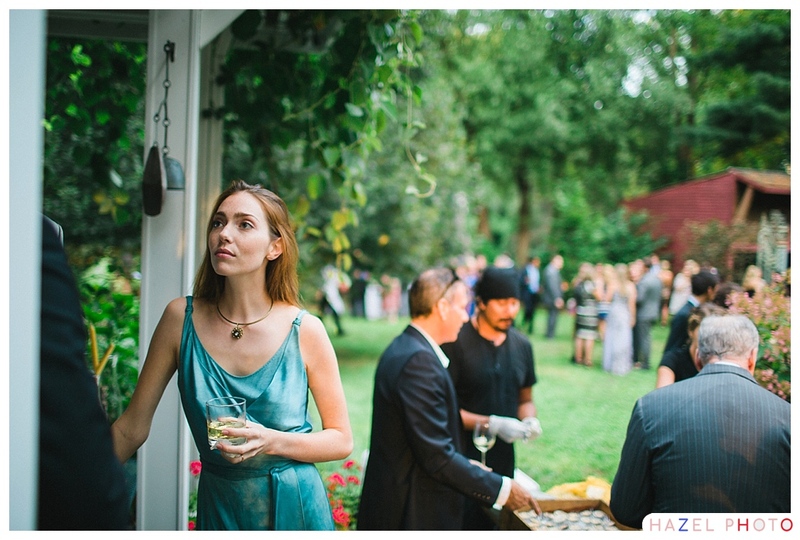 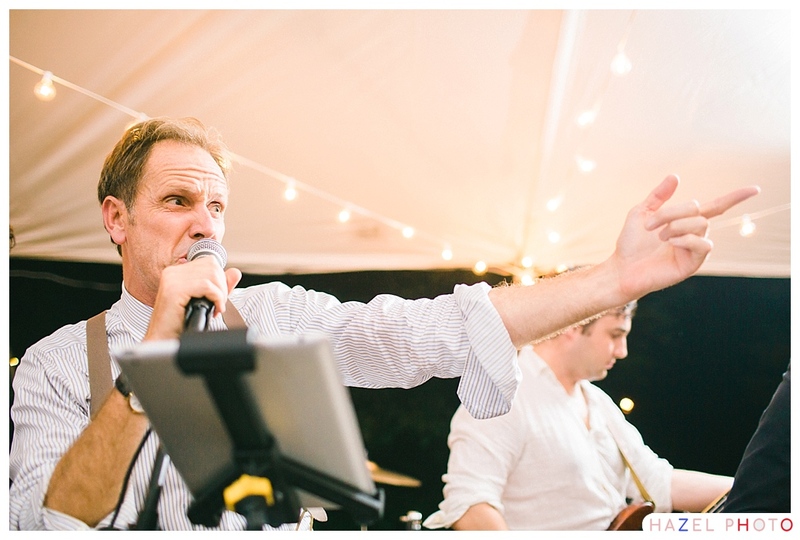 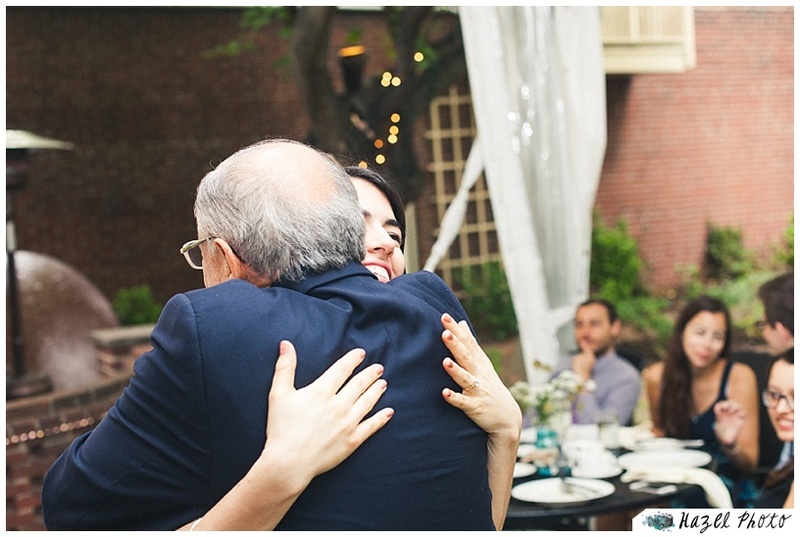 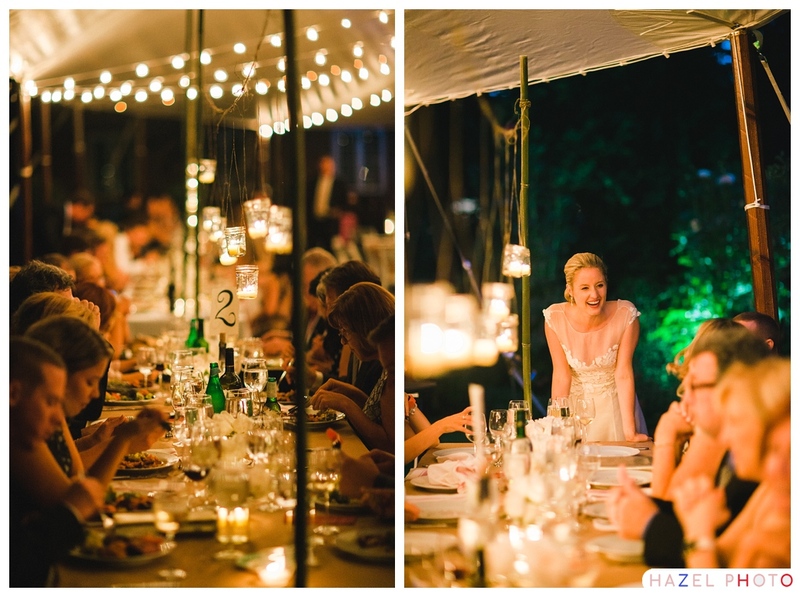 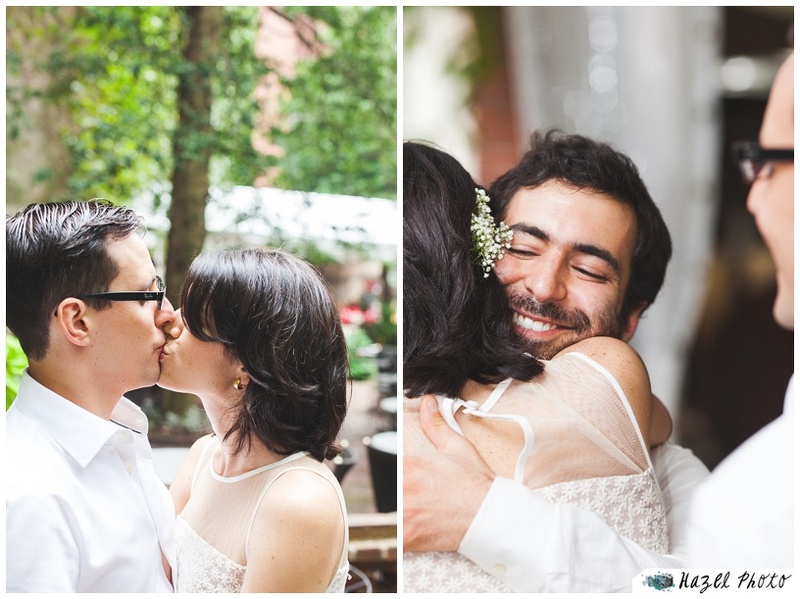 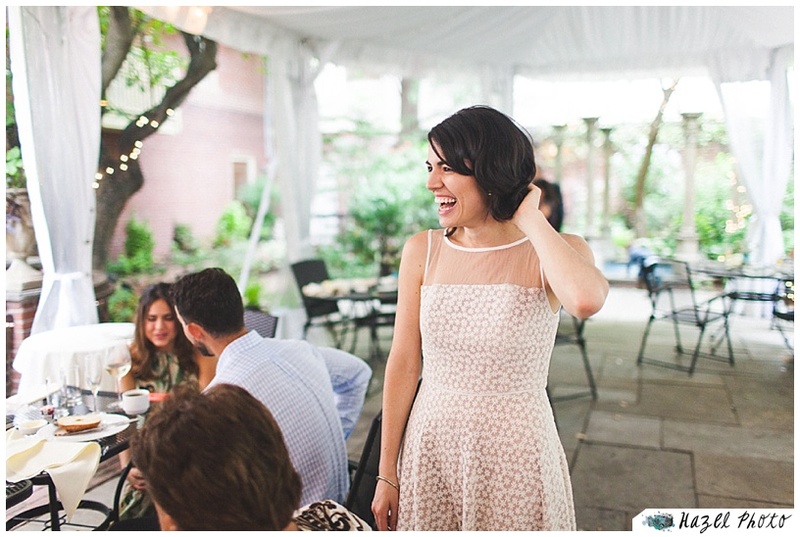 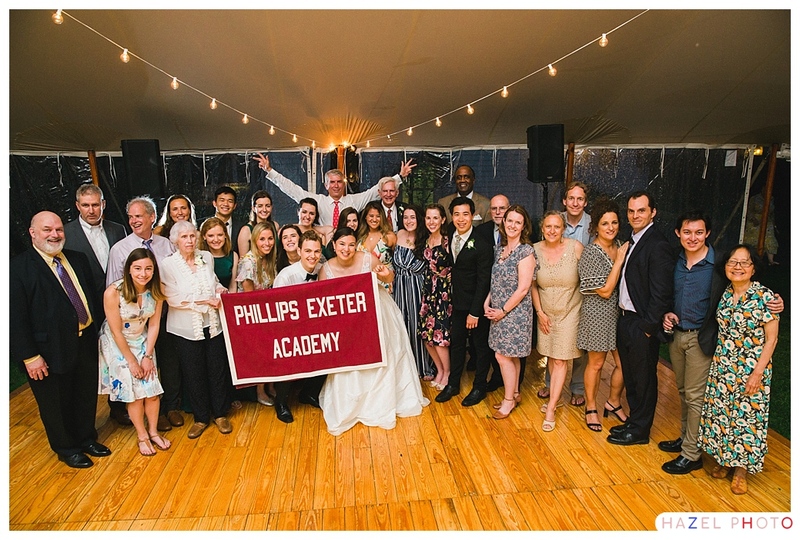 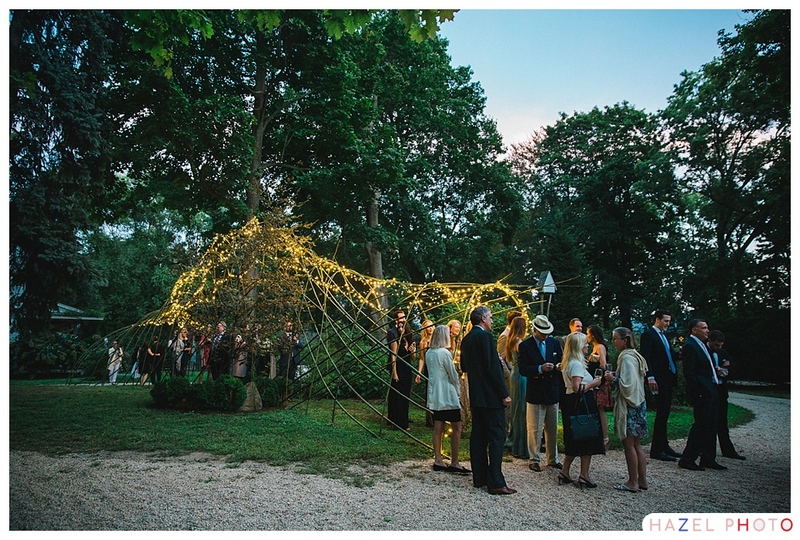 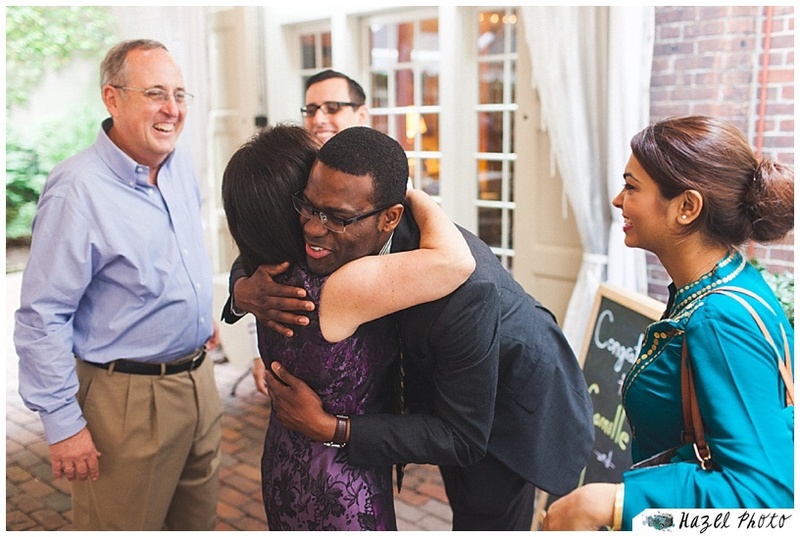 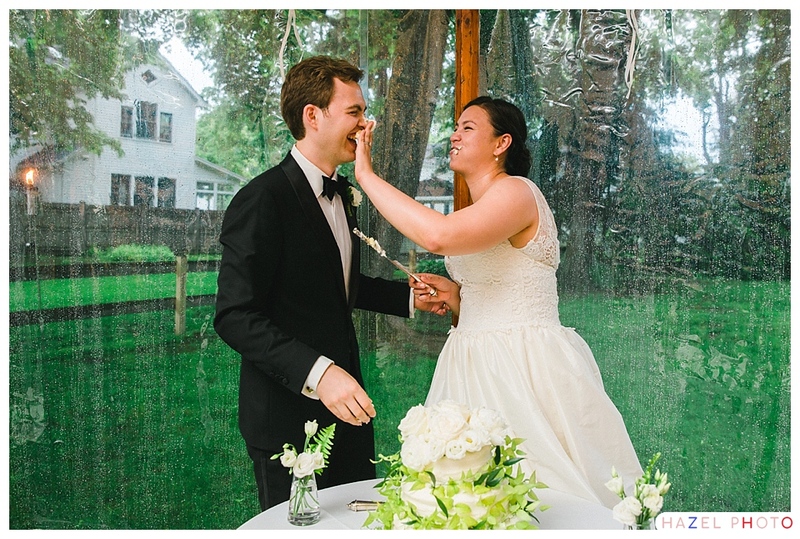 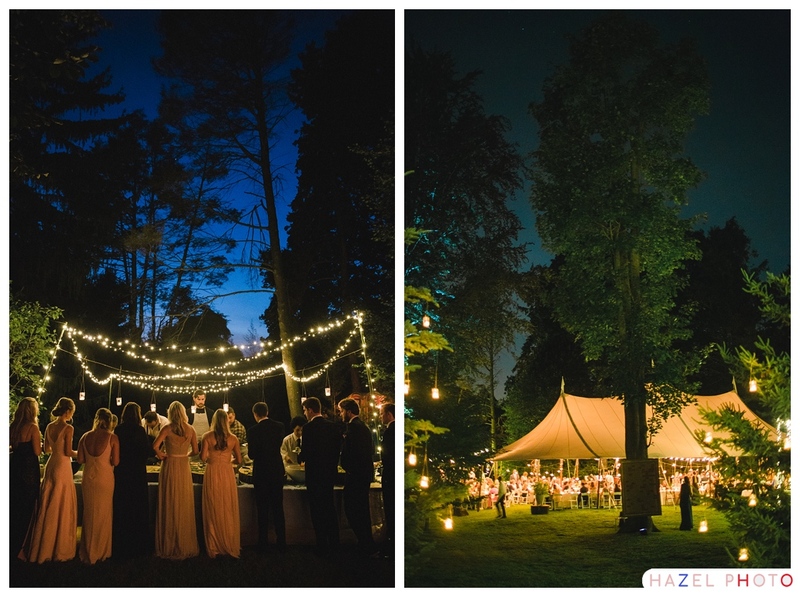 Under a tent, in the lush courtyard, family and friends gathered round to shower them with love. 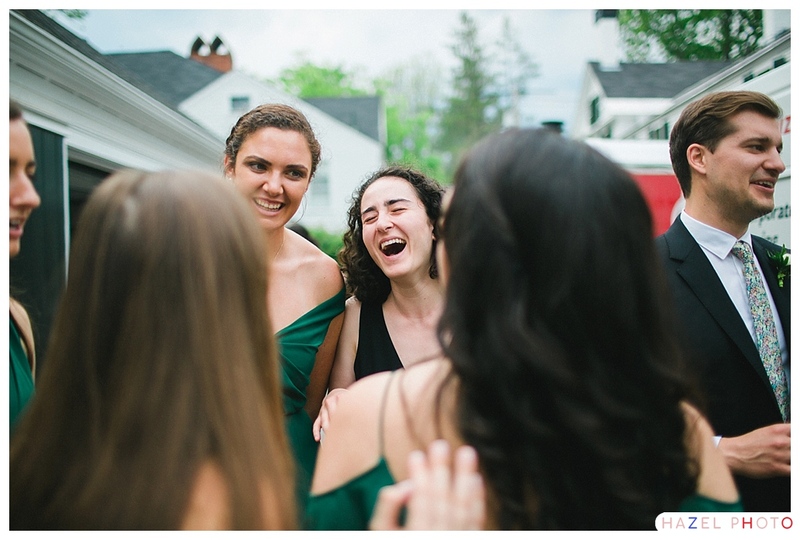 My favorite part was when a large group of cousins regaled the two with a full-on play! 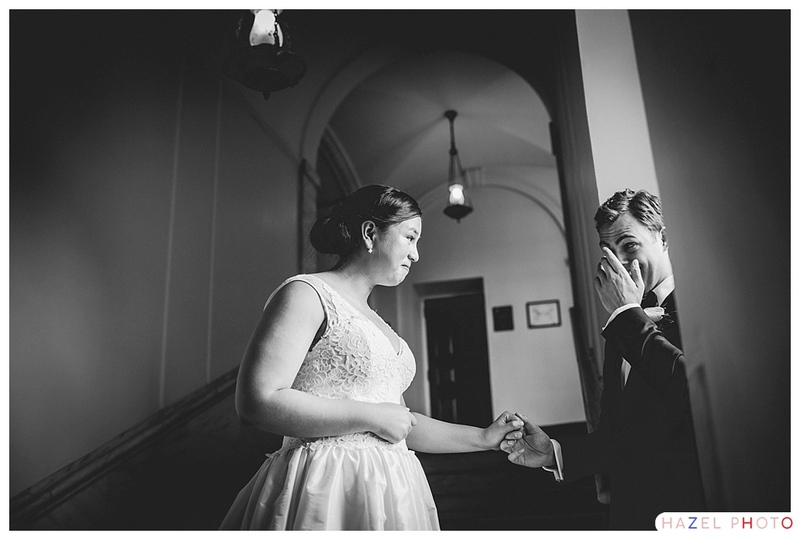 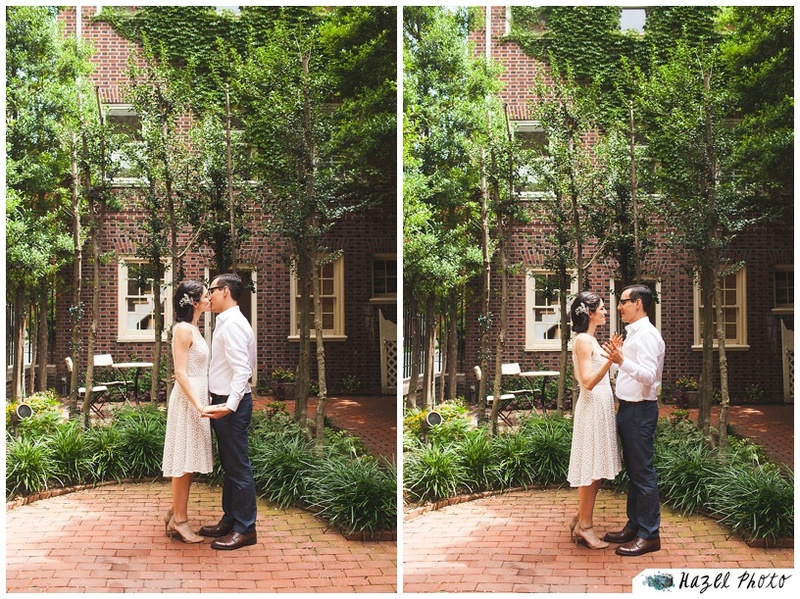 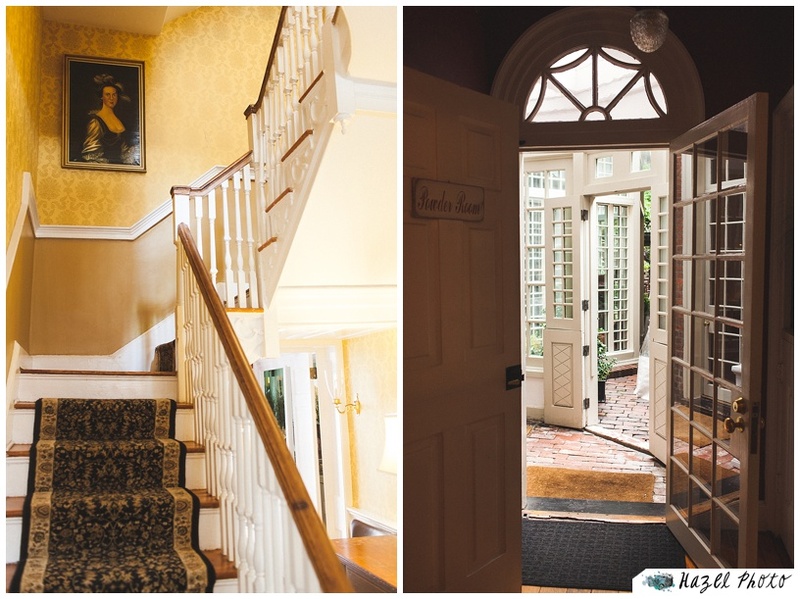 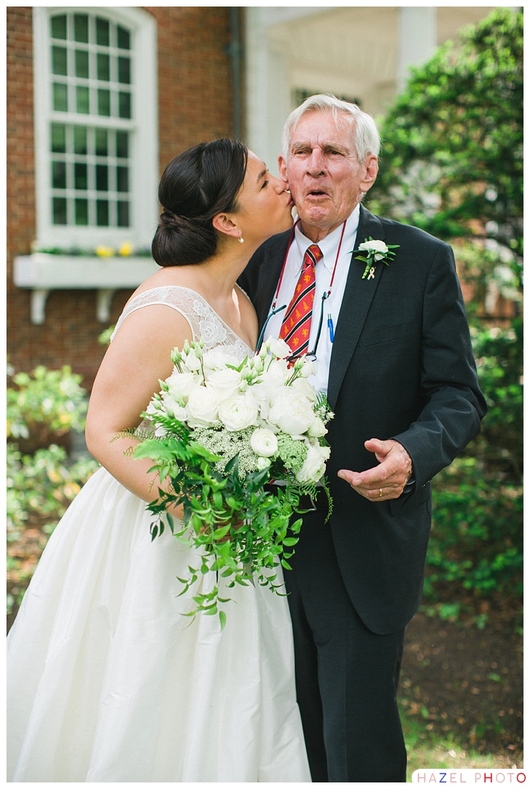 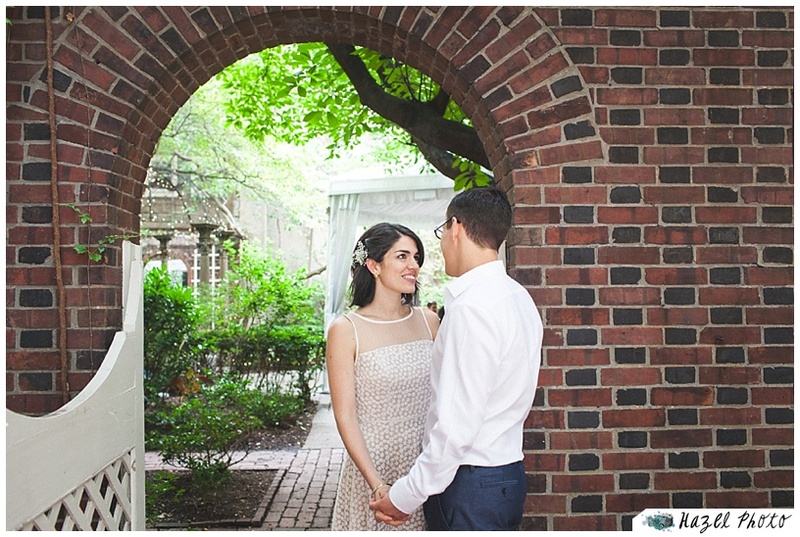 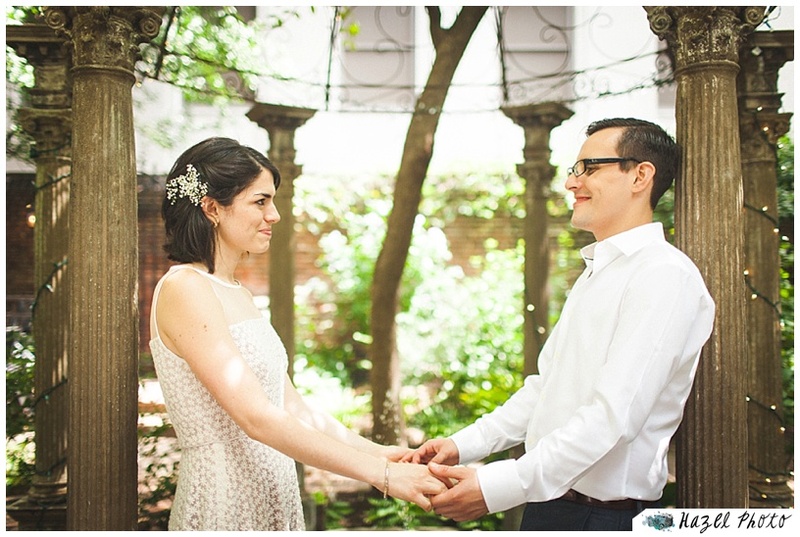 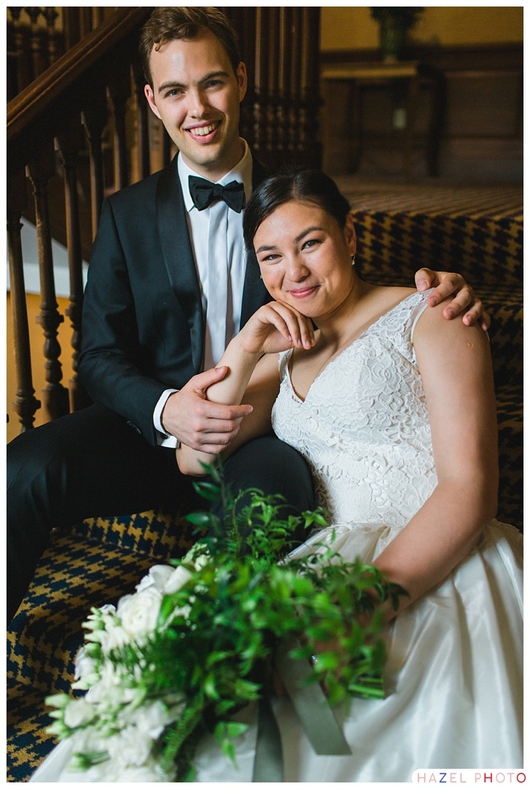 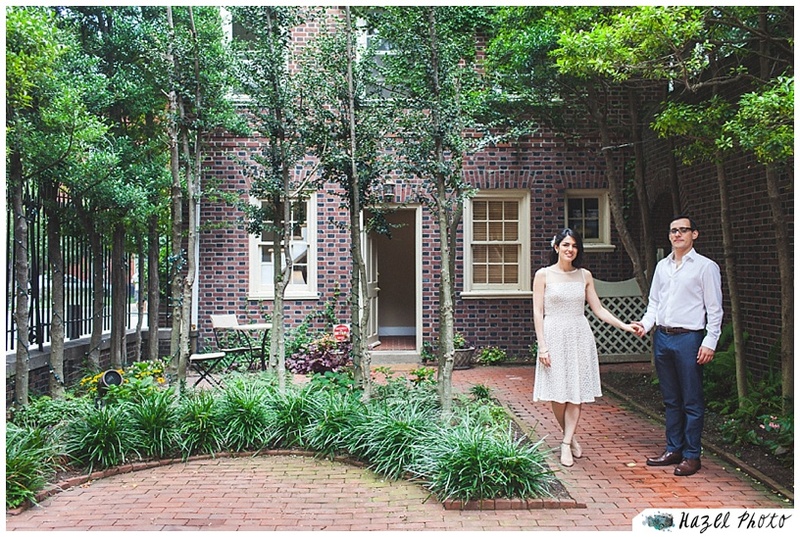 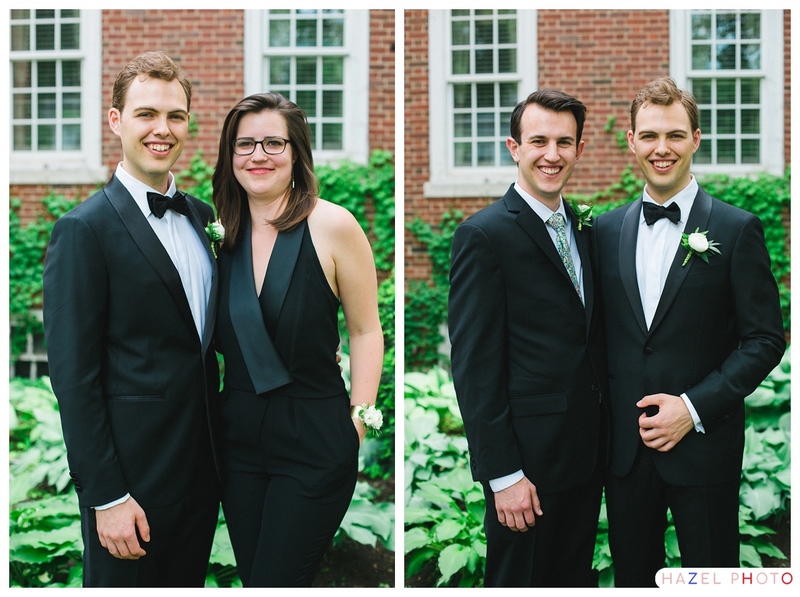 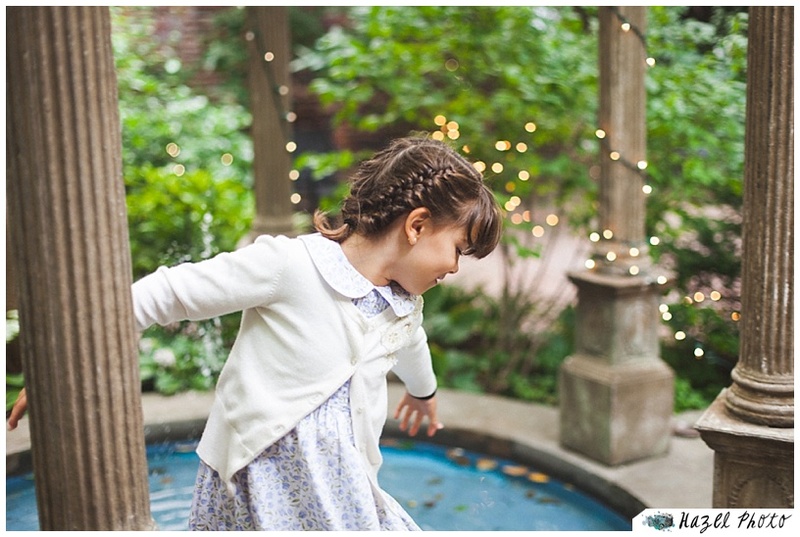 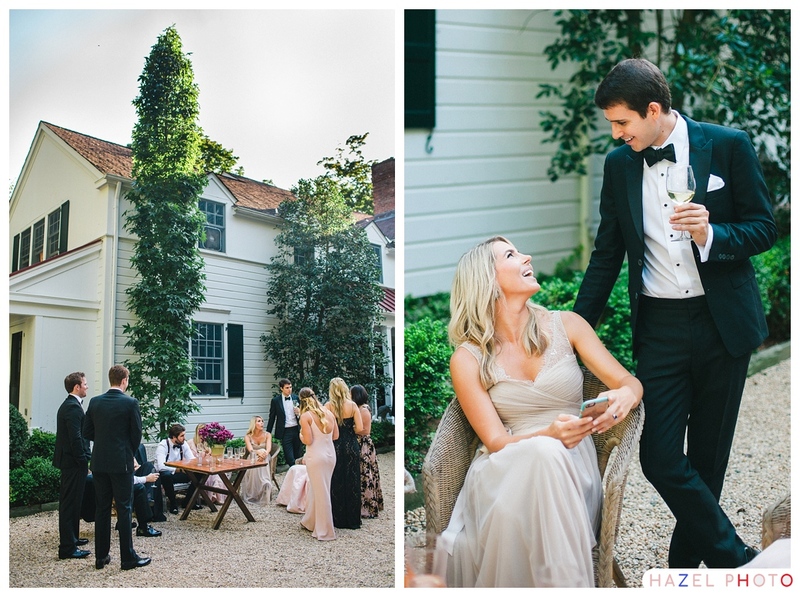 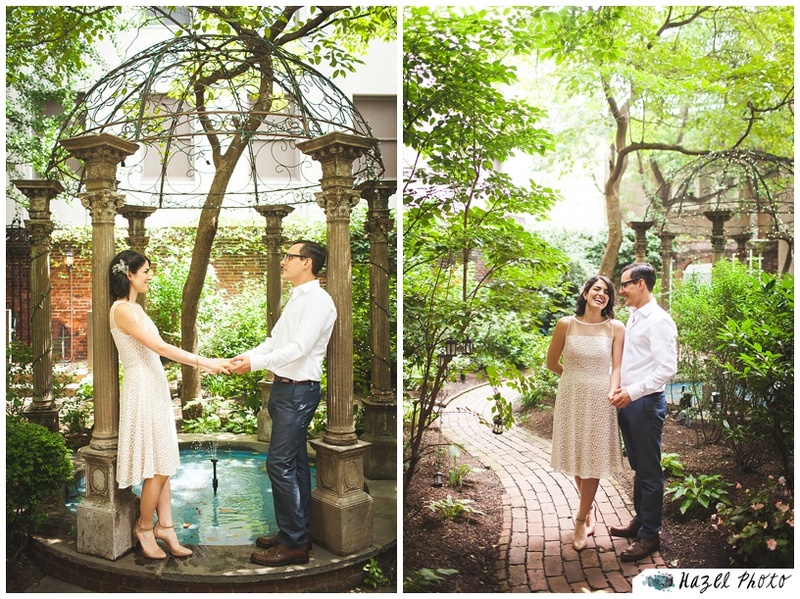 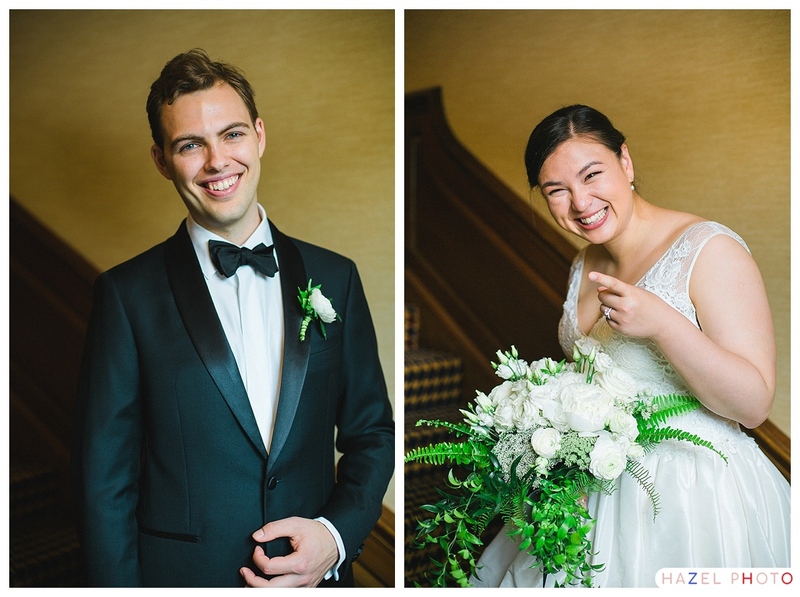 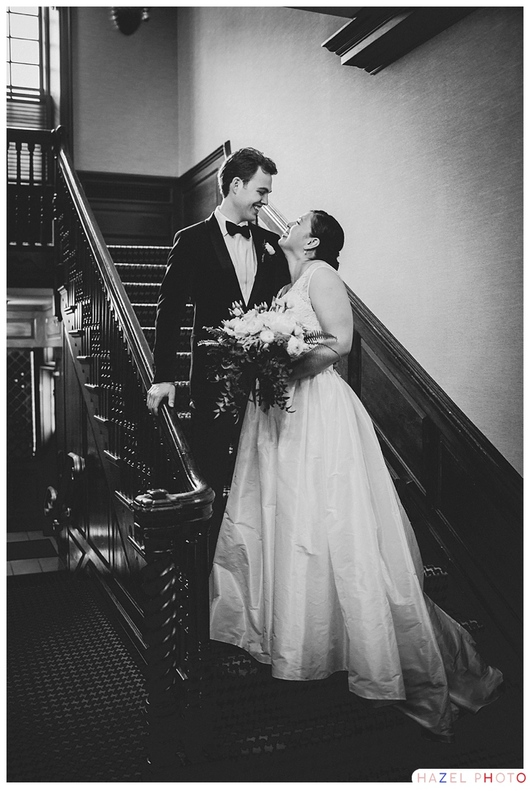 The Morris House Hotel is full of nooks, pergolas, fountains, brick, and vines so we had a wealth of choices for portraits. 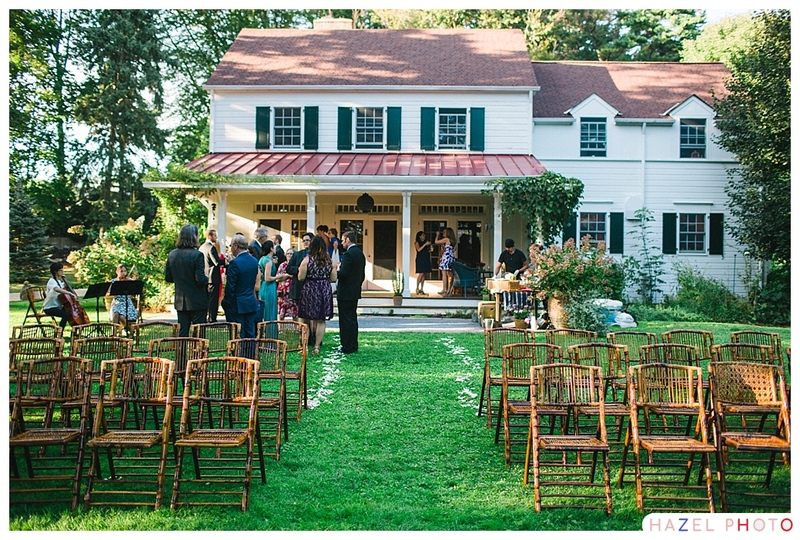 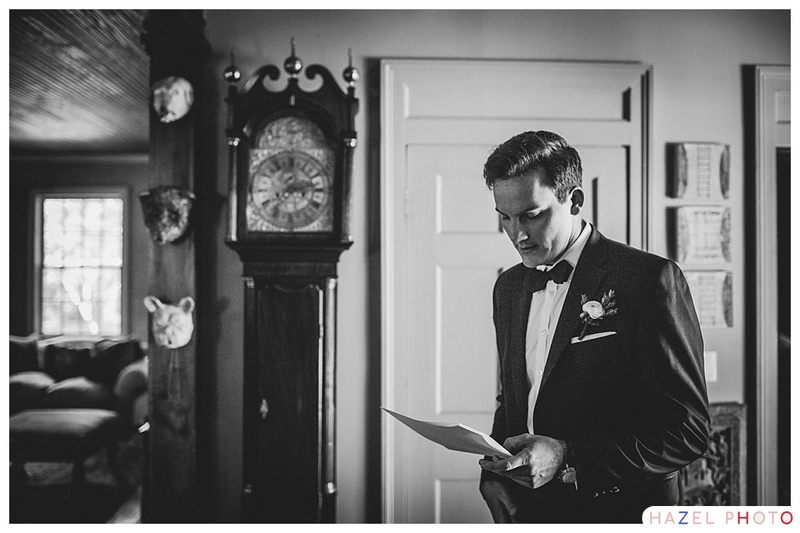 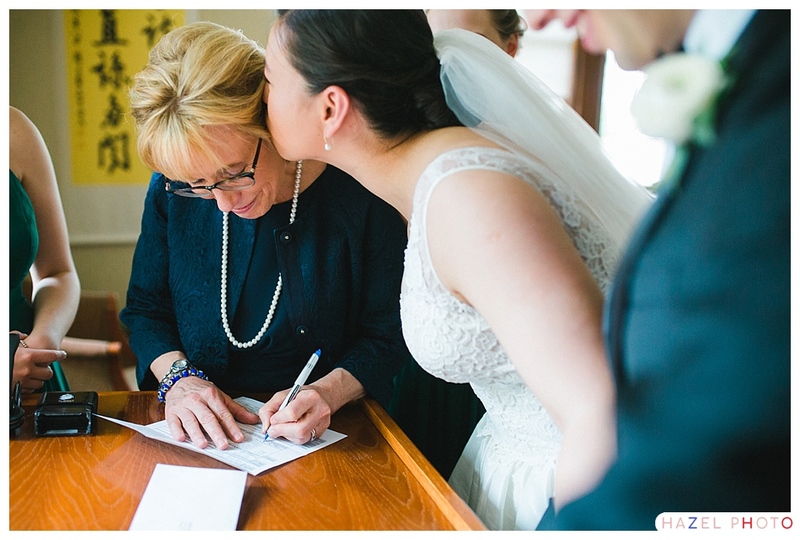 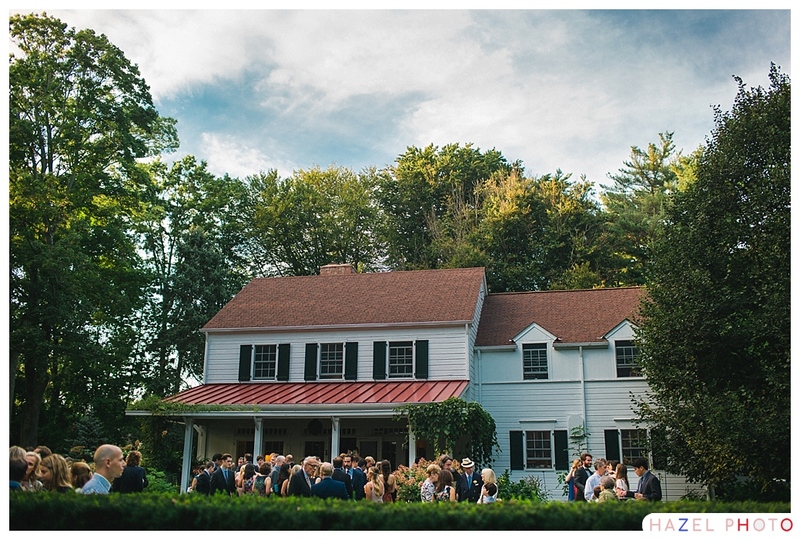 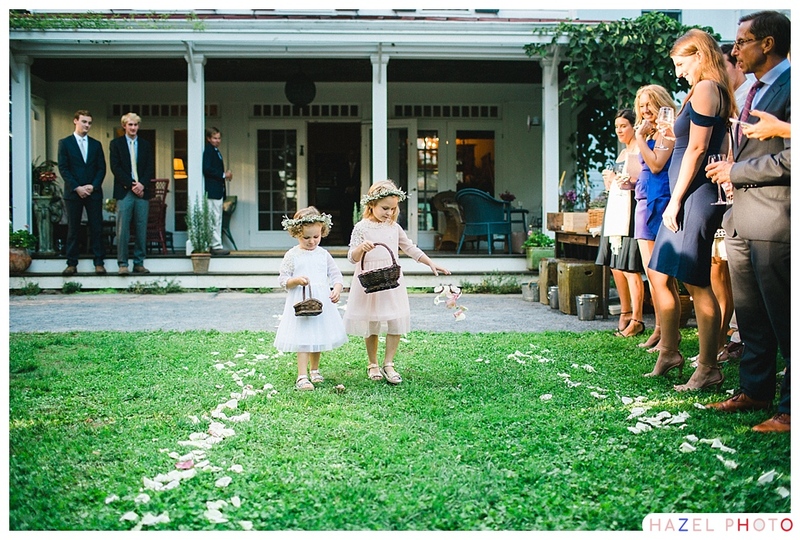 The Morris house is a perfect setting for a small wedding.